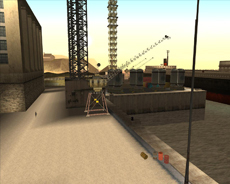 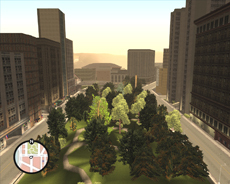 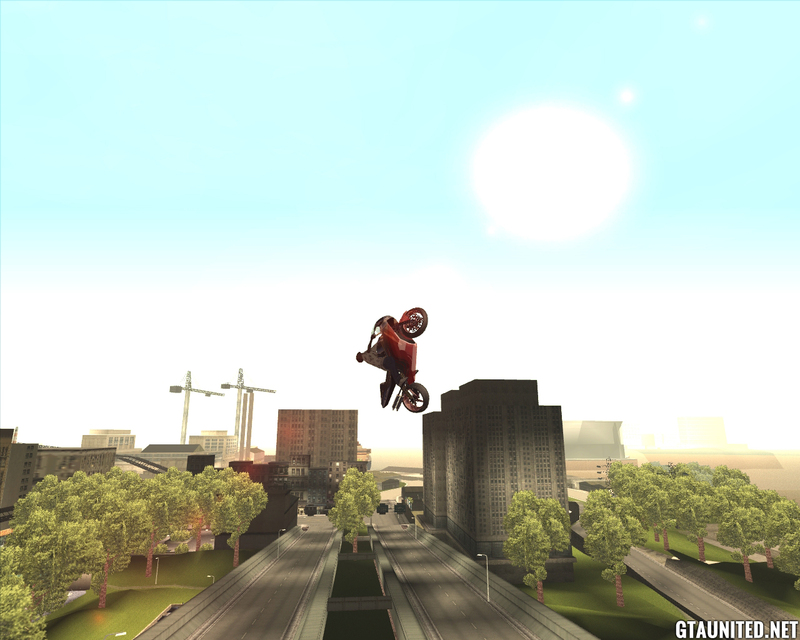 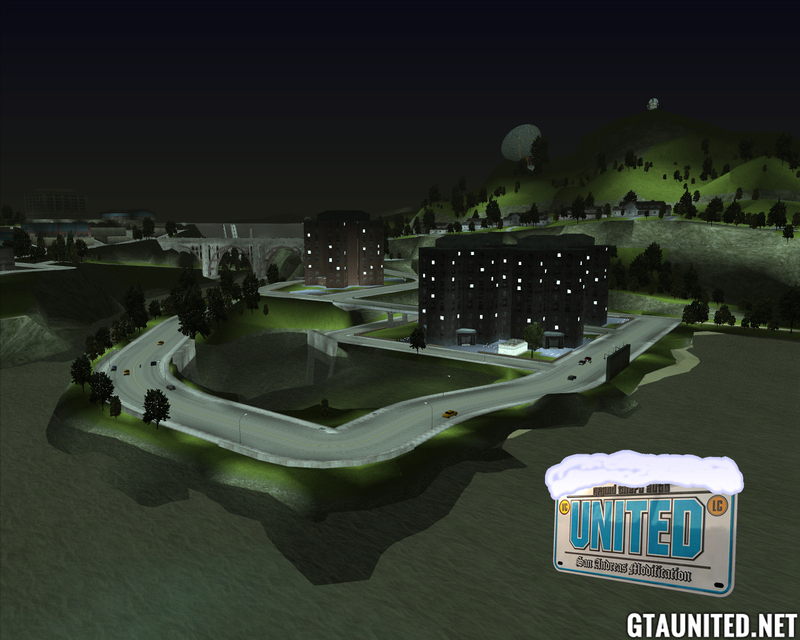 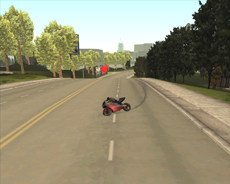 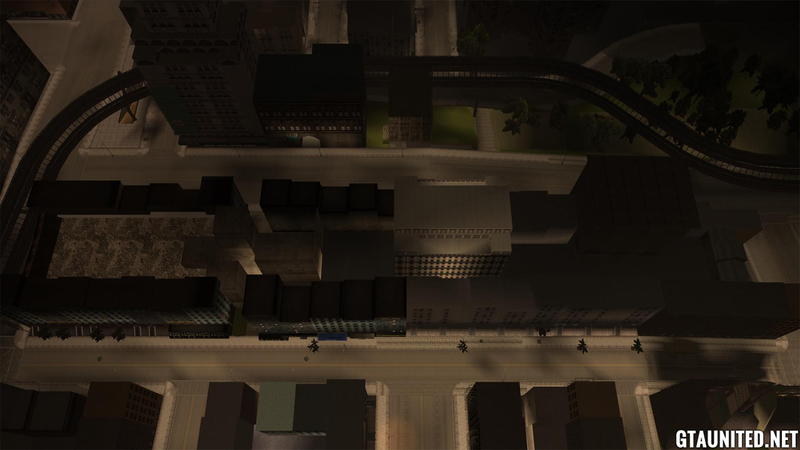 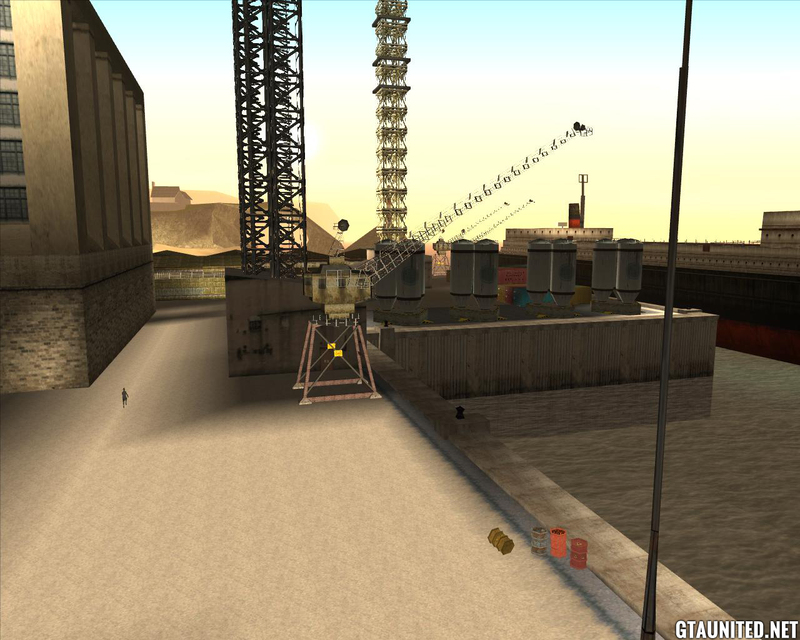 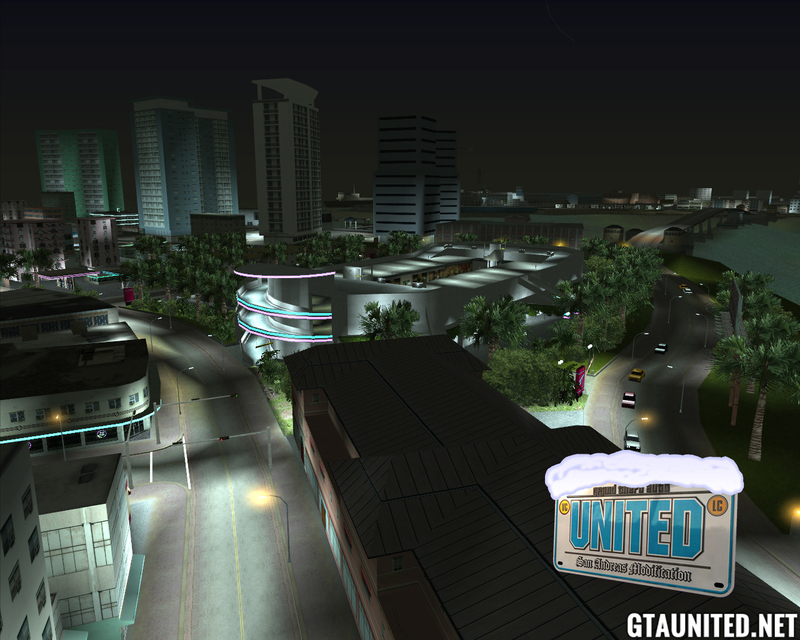 In this section you can see changes and fixes on the map of Grand Theft Auto United 1.2 in detail. 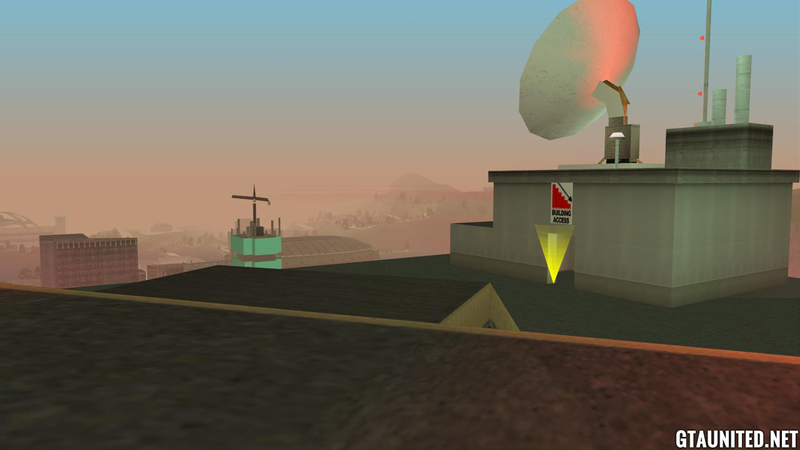 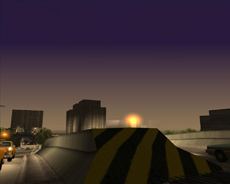 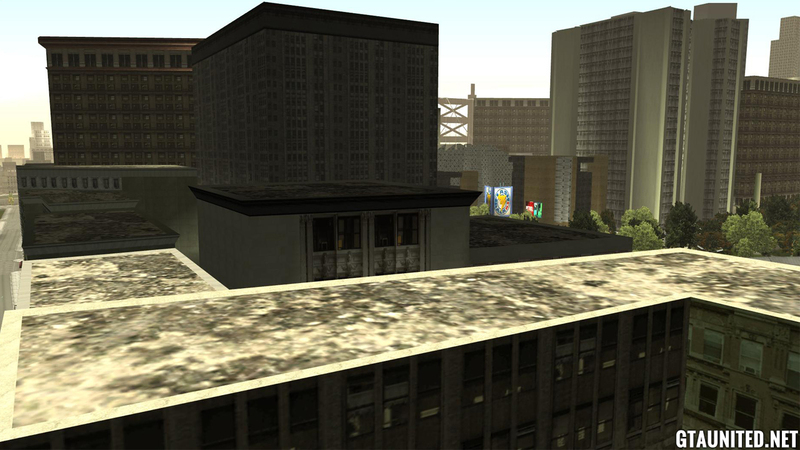 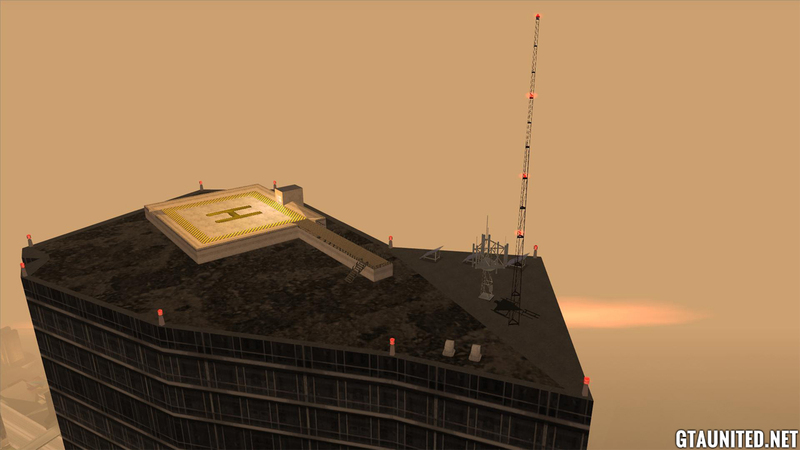 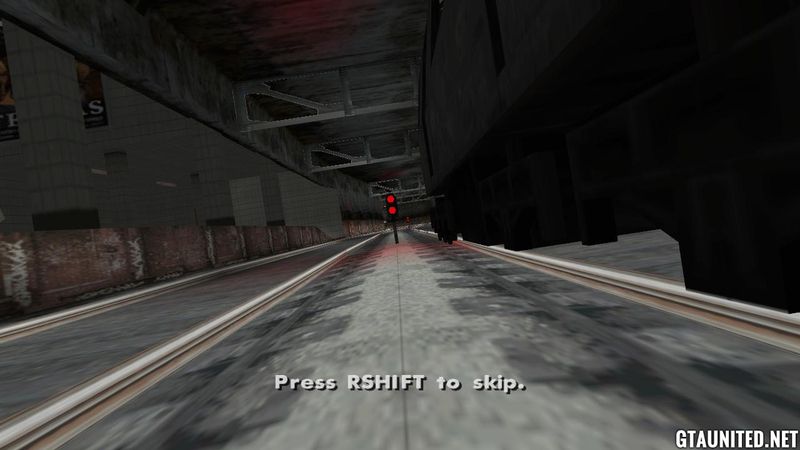 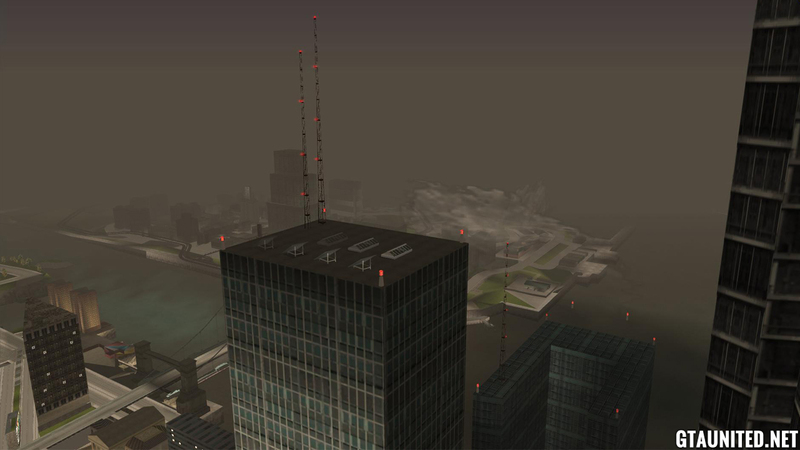 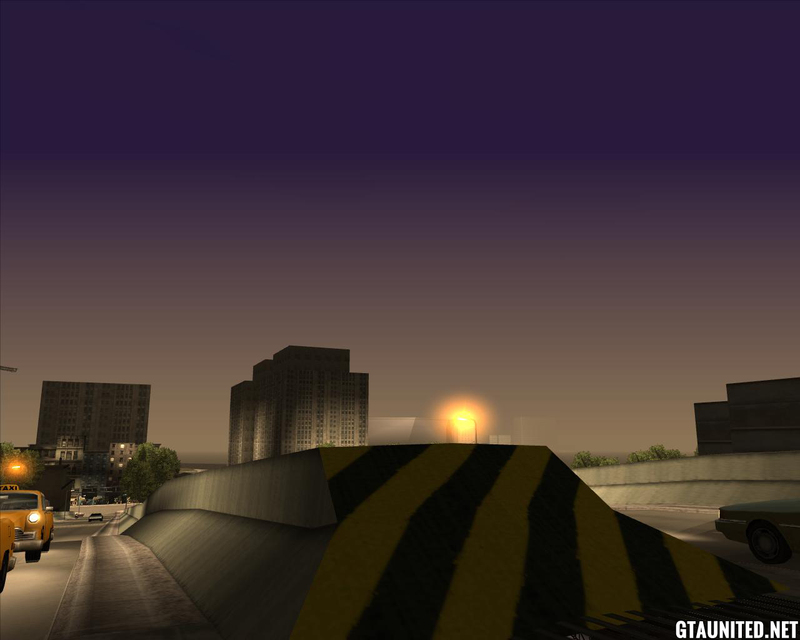 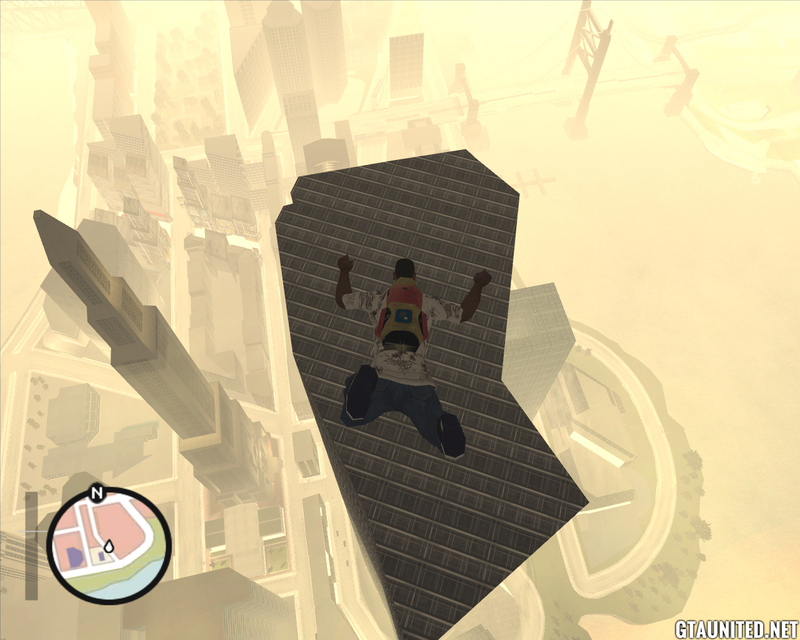 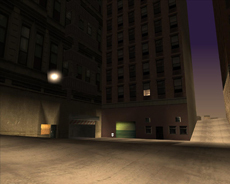 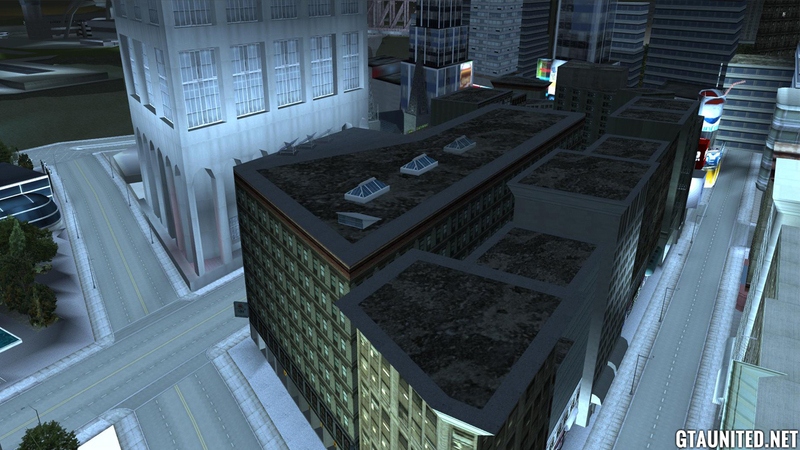 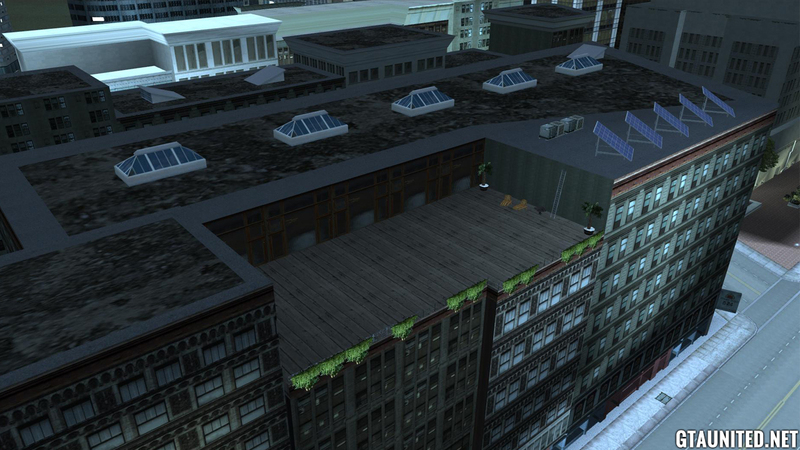 In GTA III the roofs of many buildings where not solid. 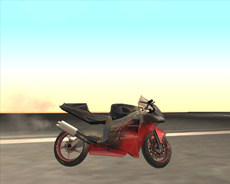 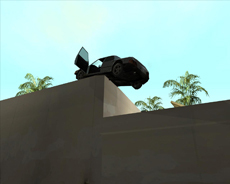 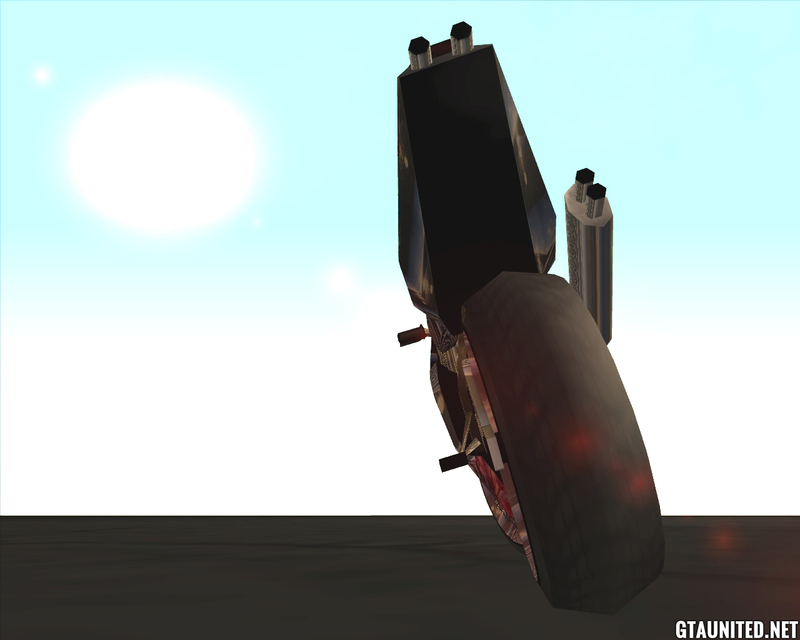 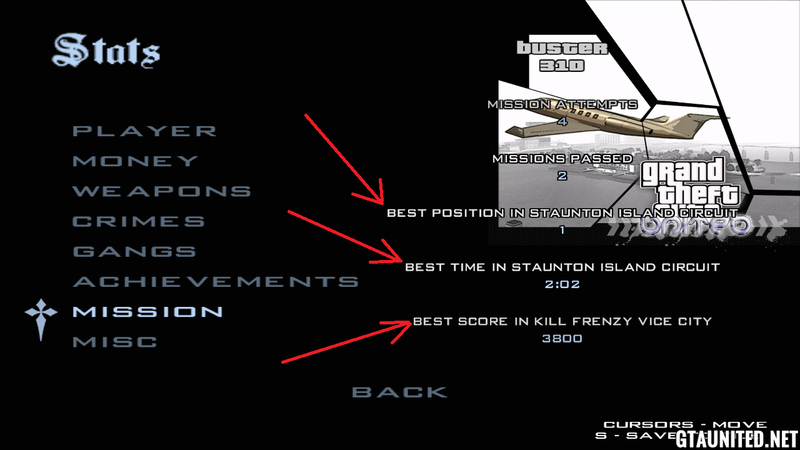 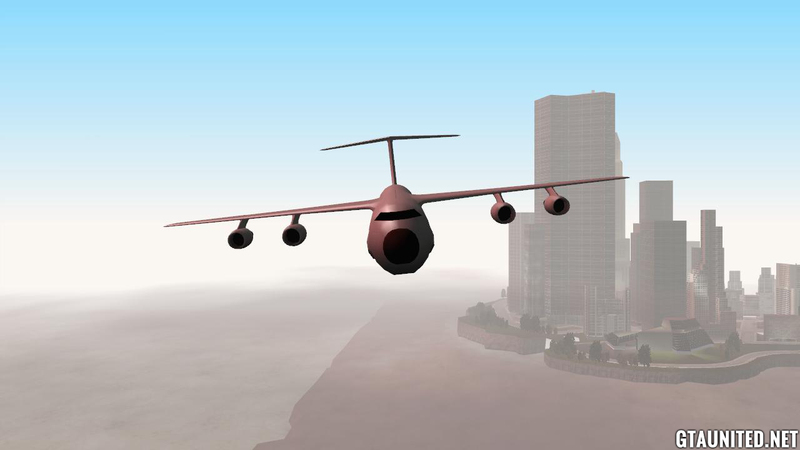 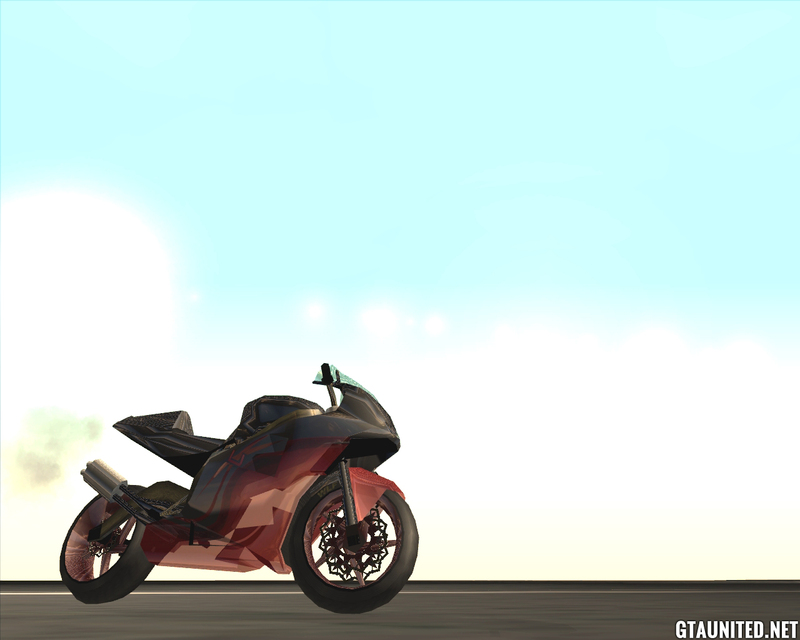 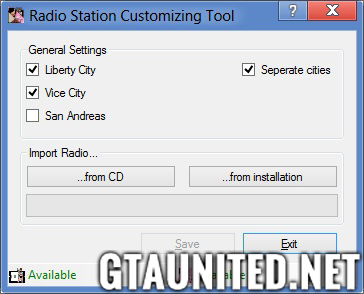 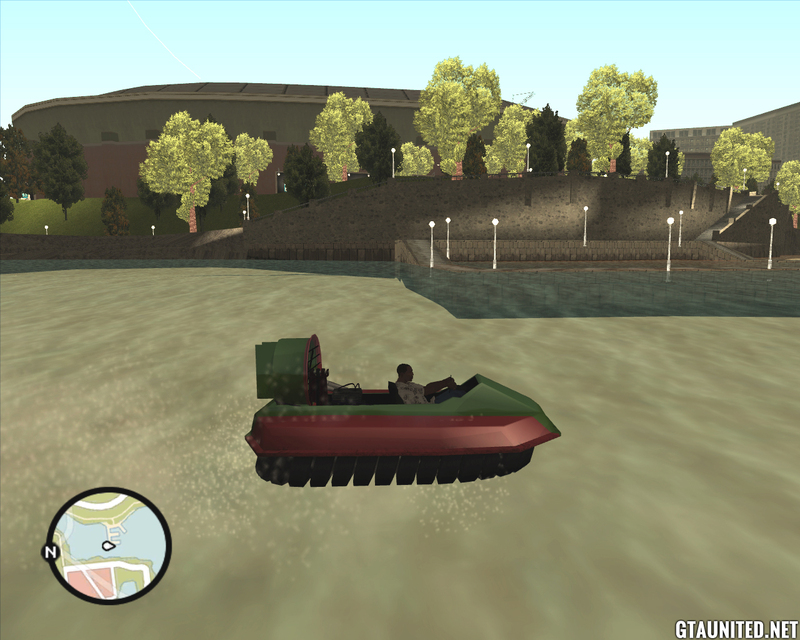 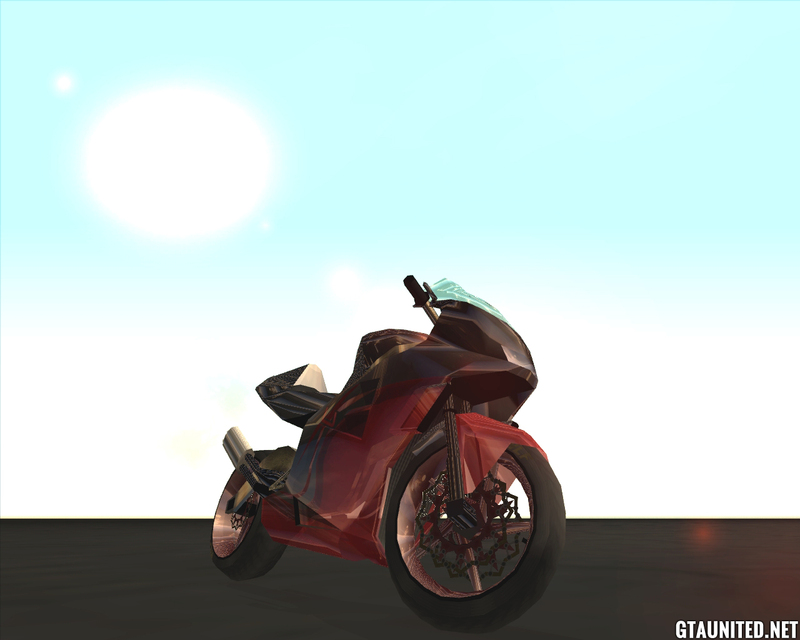 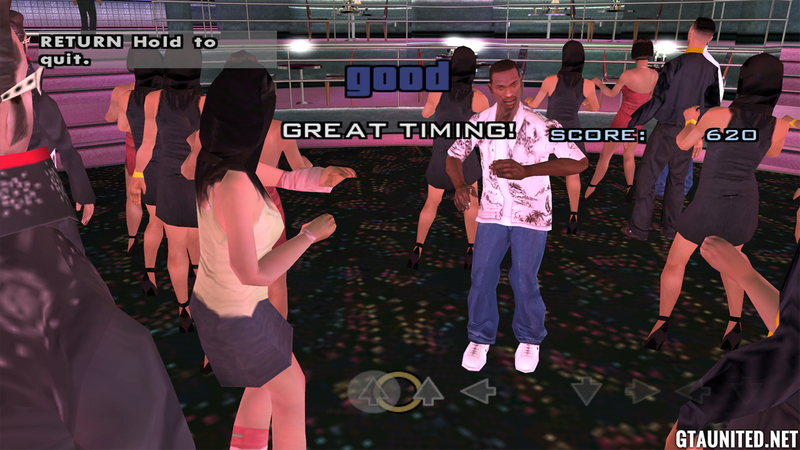 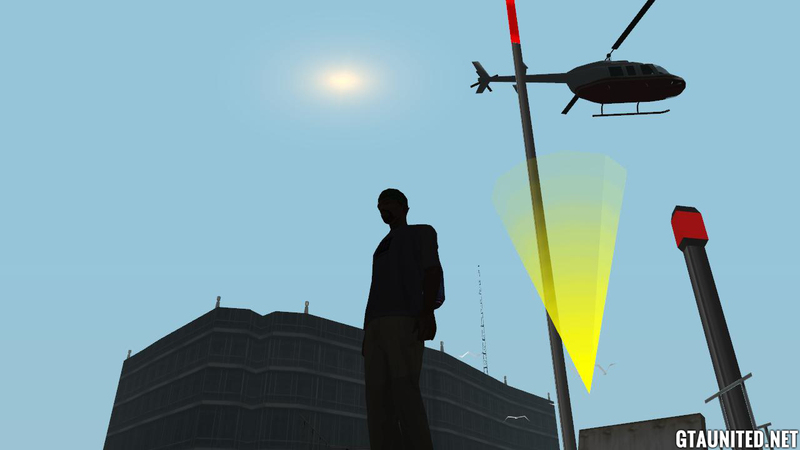 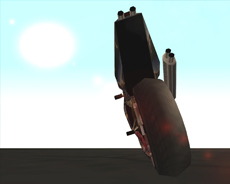 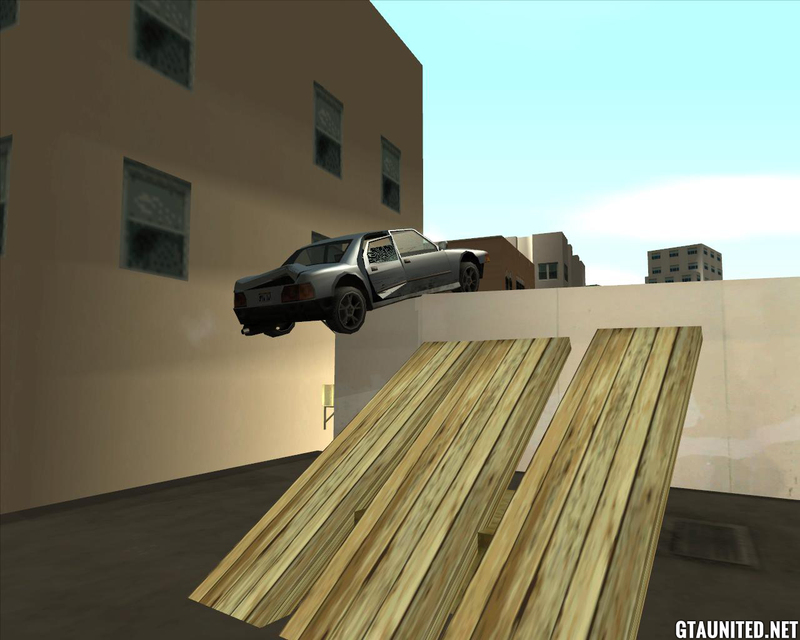 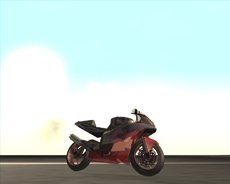 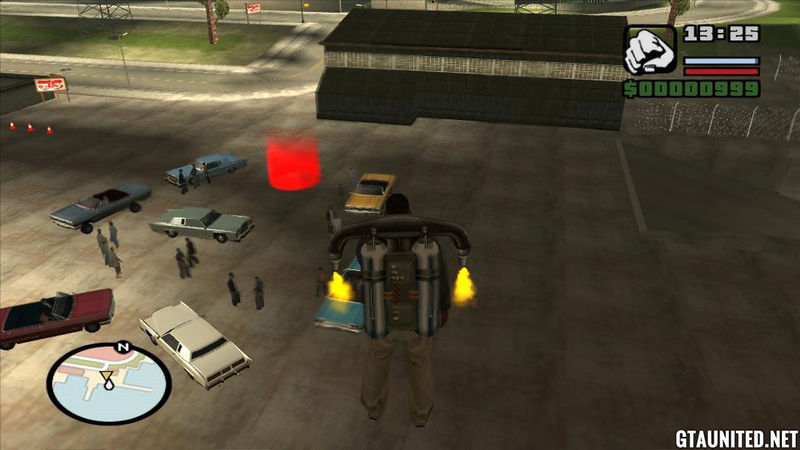 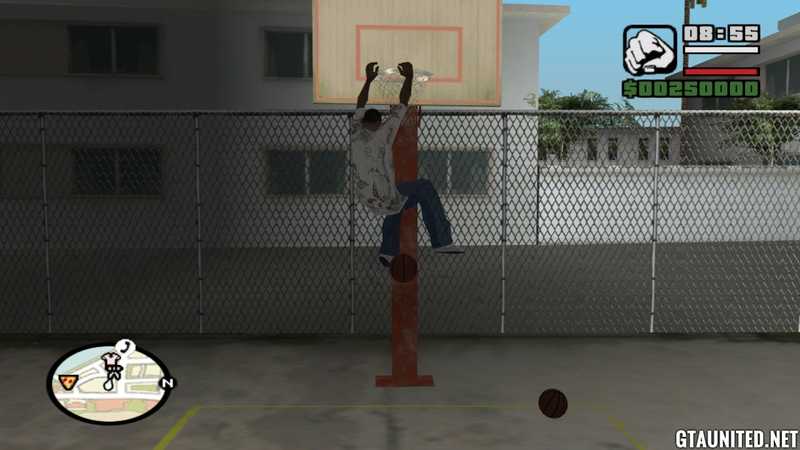 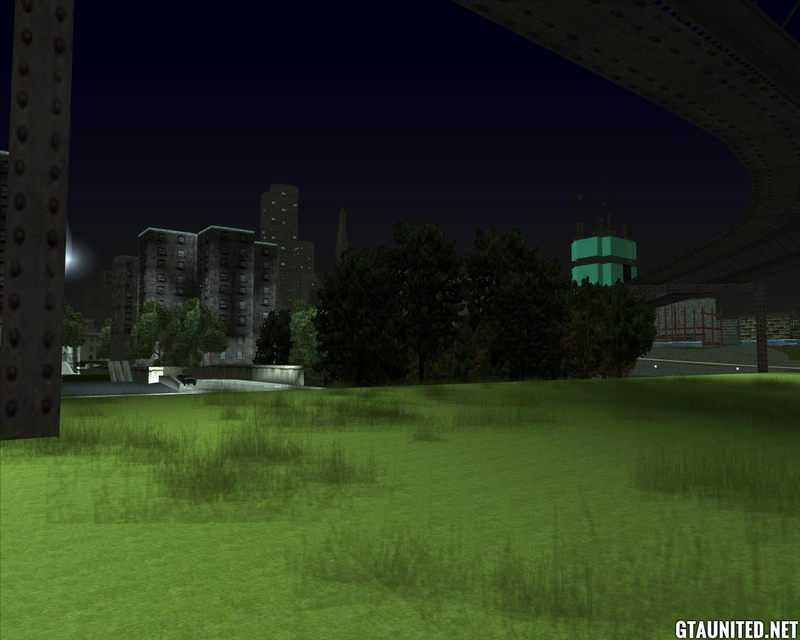 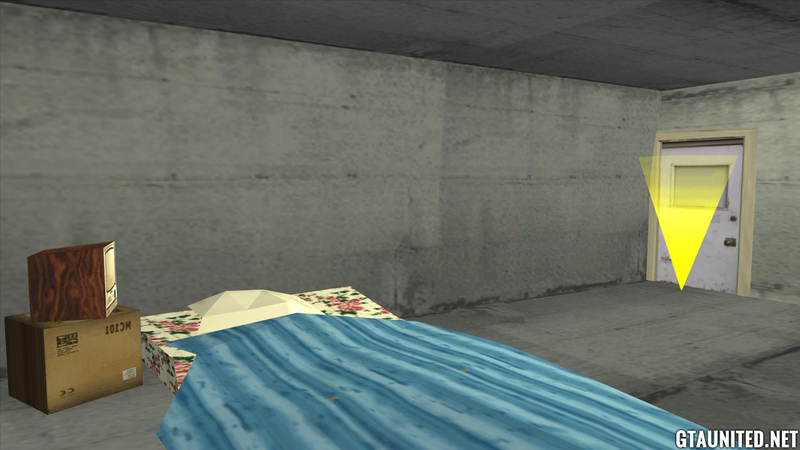 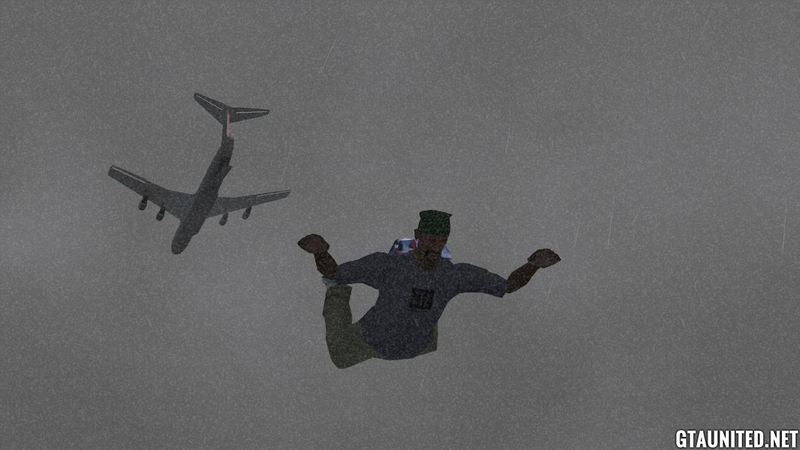 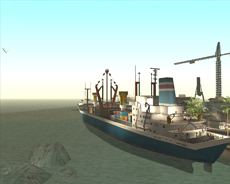 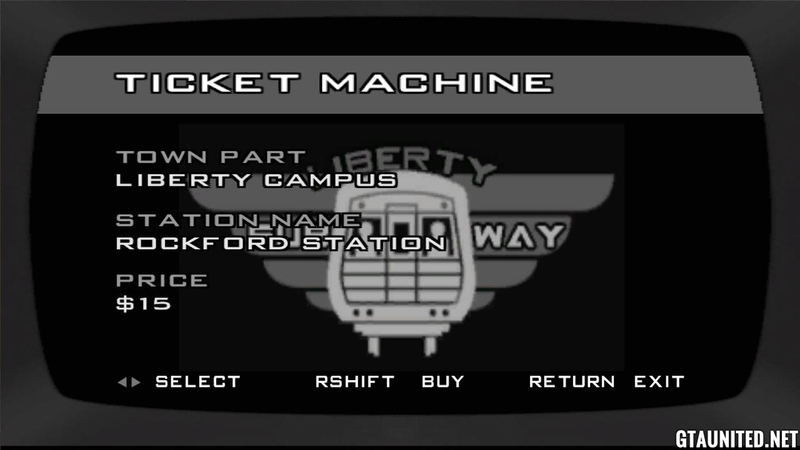 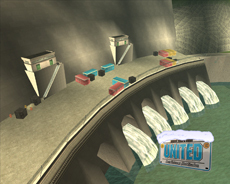 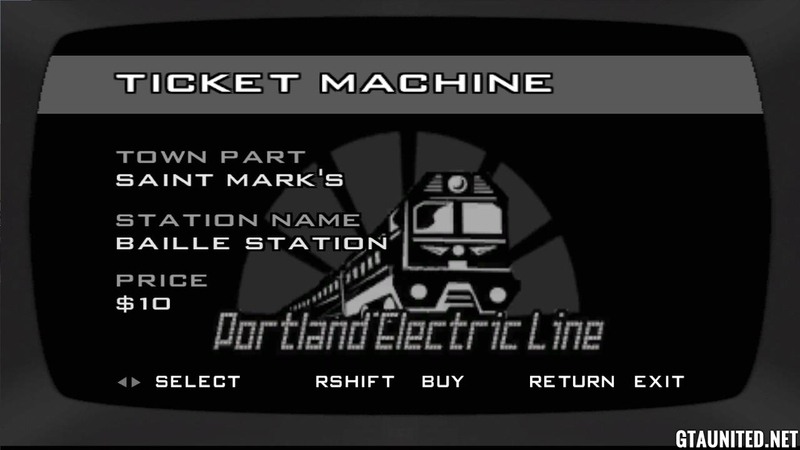 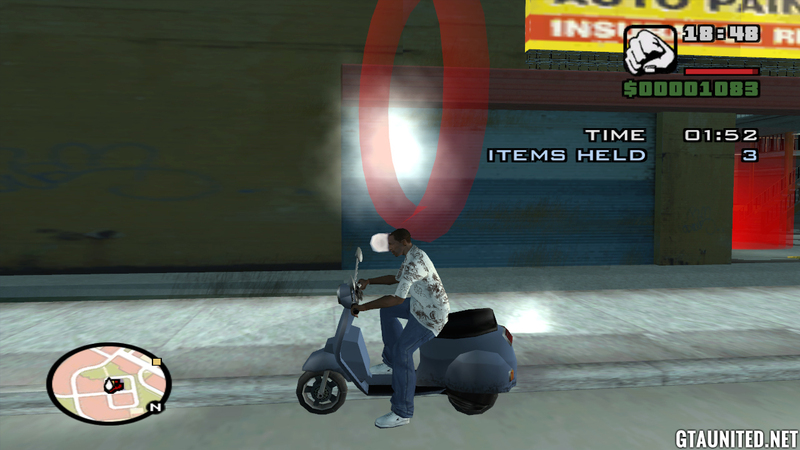 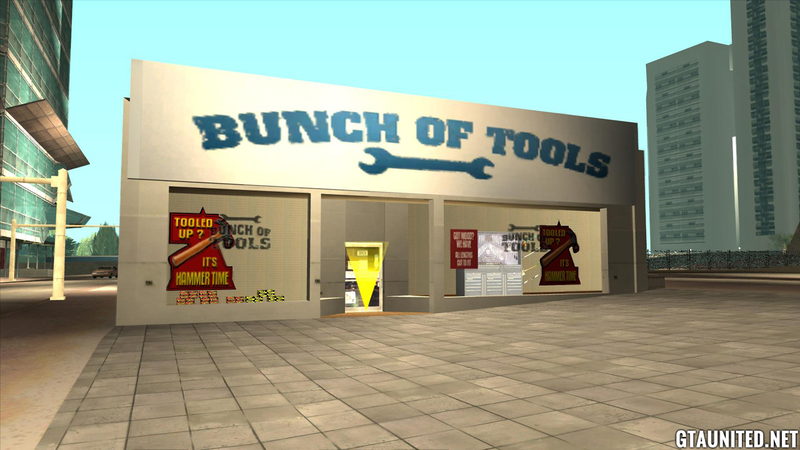 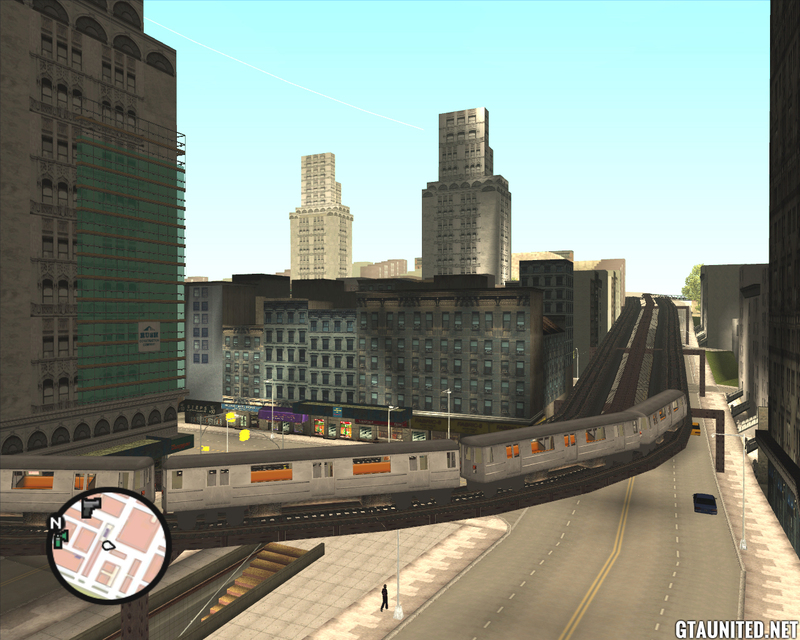 So in Grand Theft Auto United 1.2, they're all fixed.  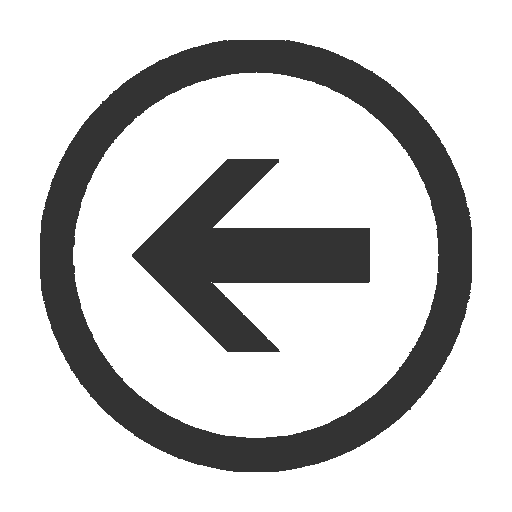 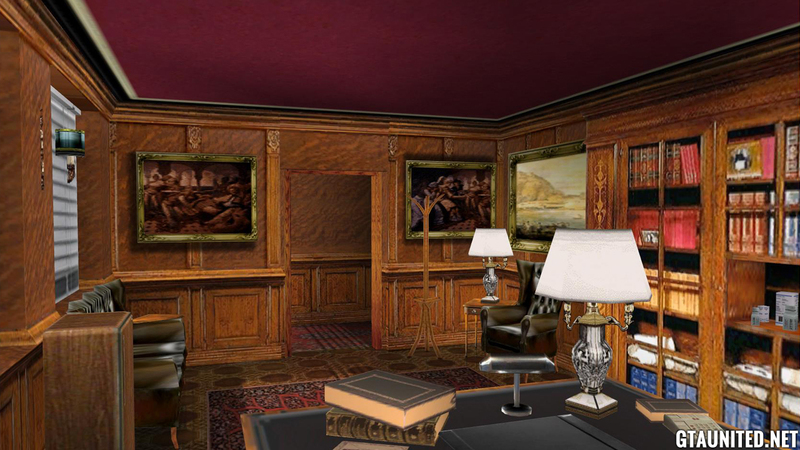 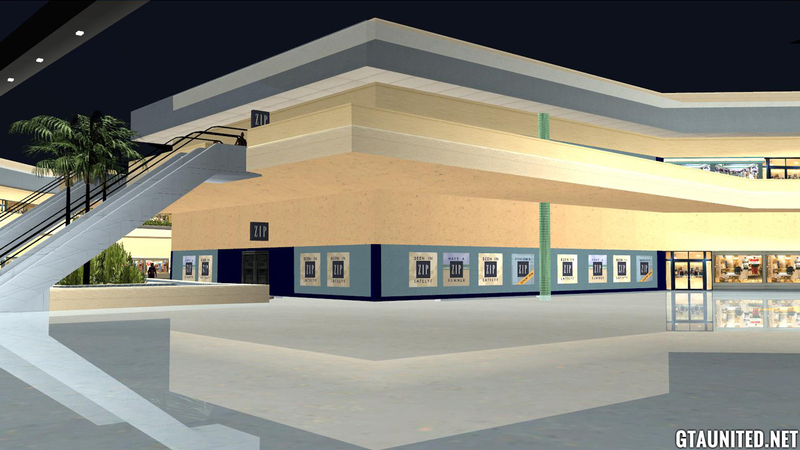 This gallery only shows some examples. 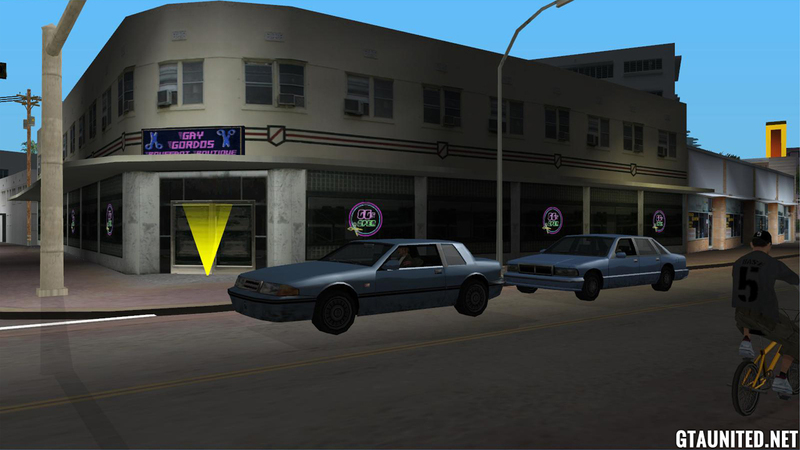 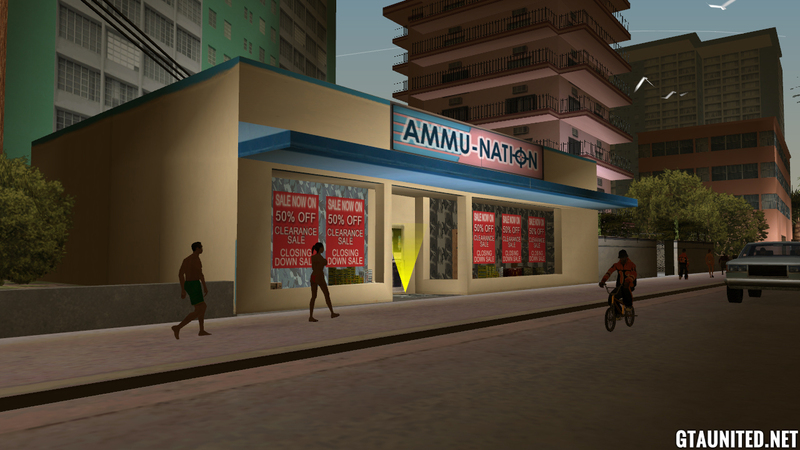 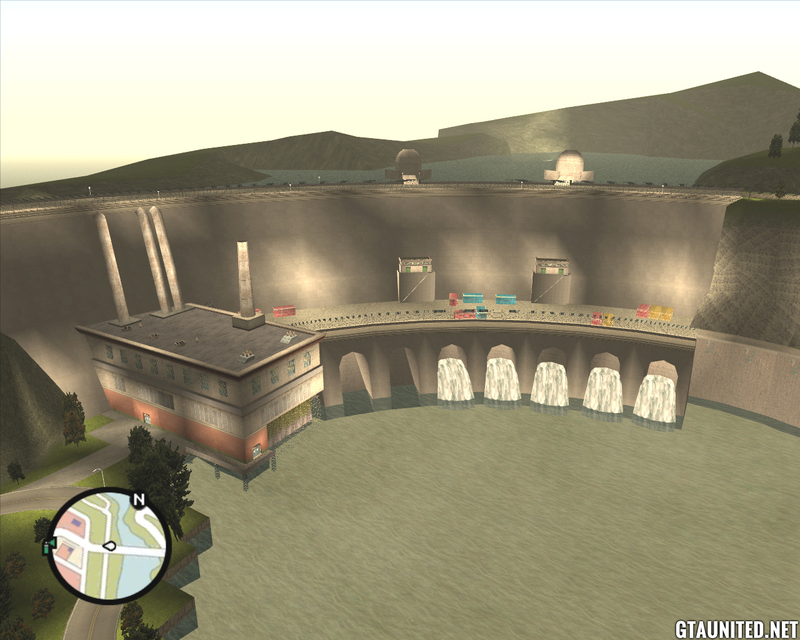 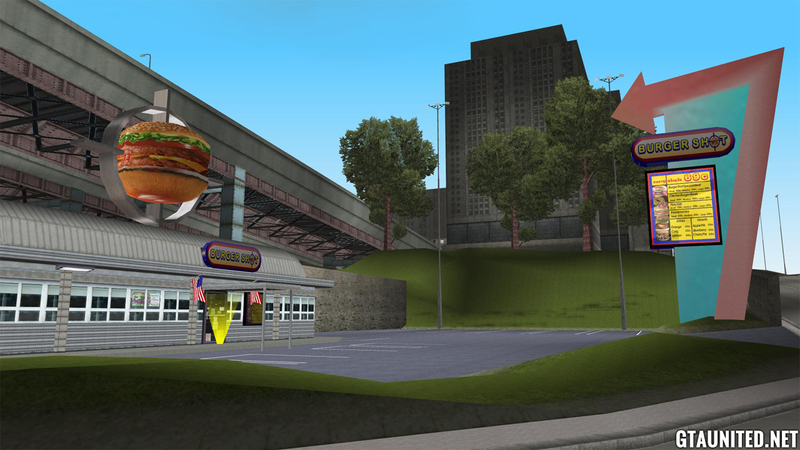 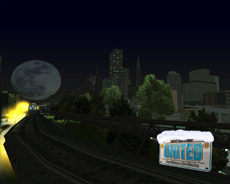 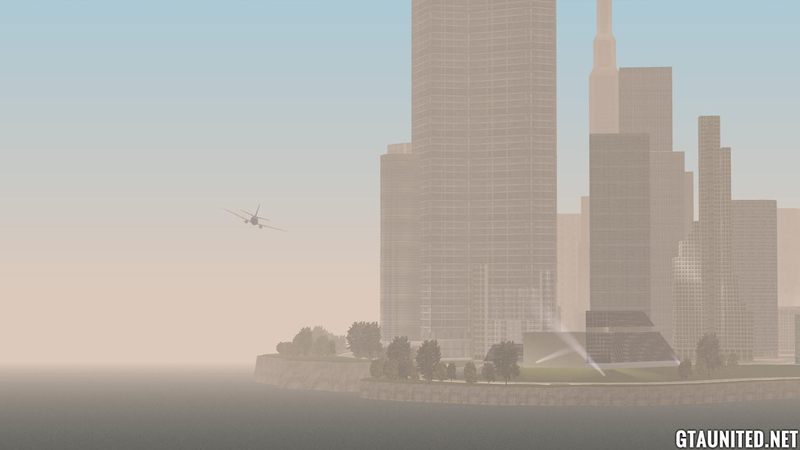 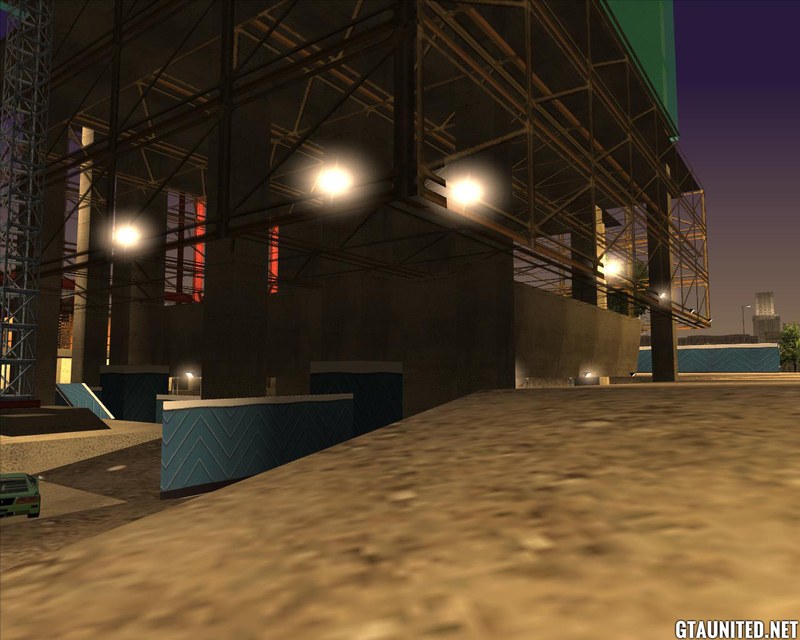 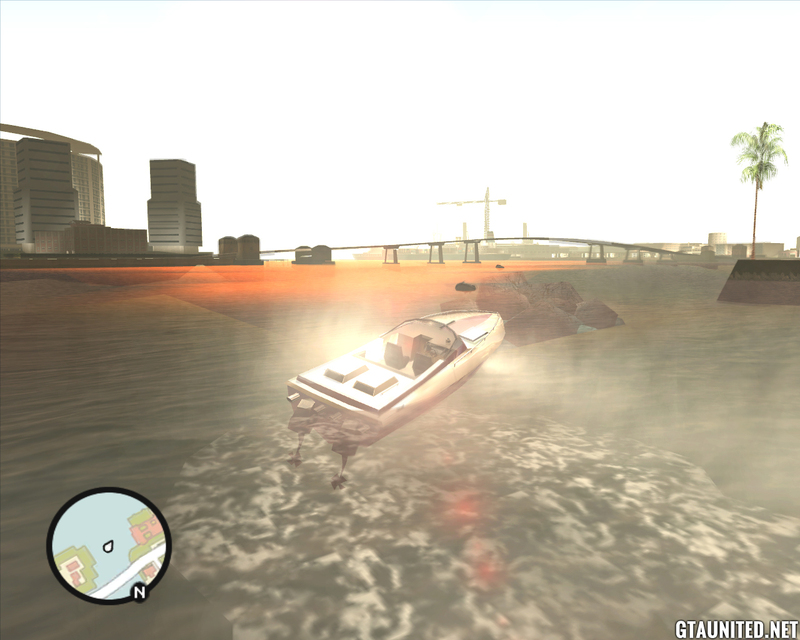 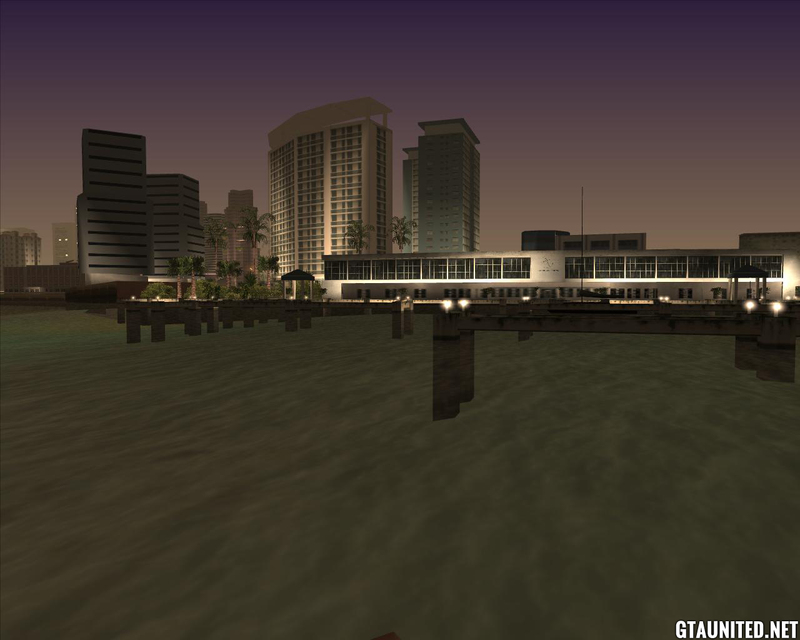 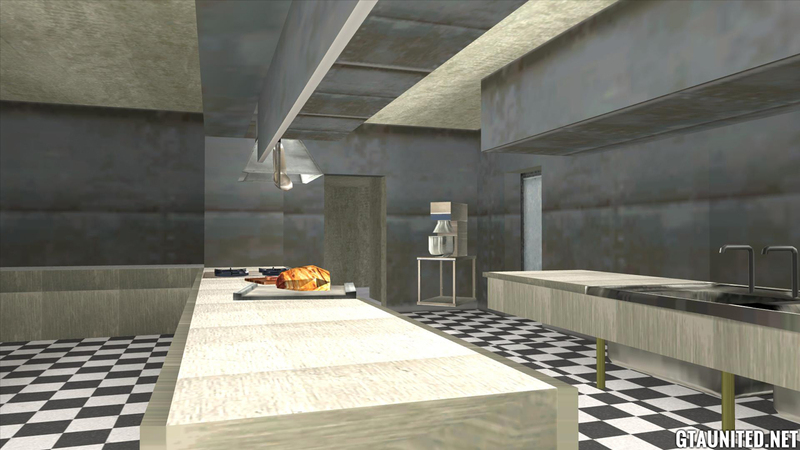 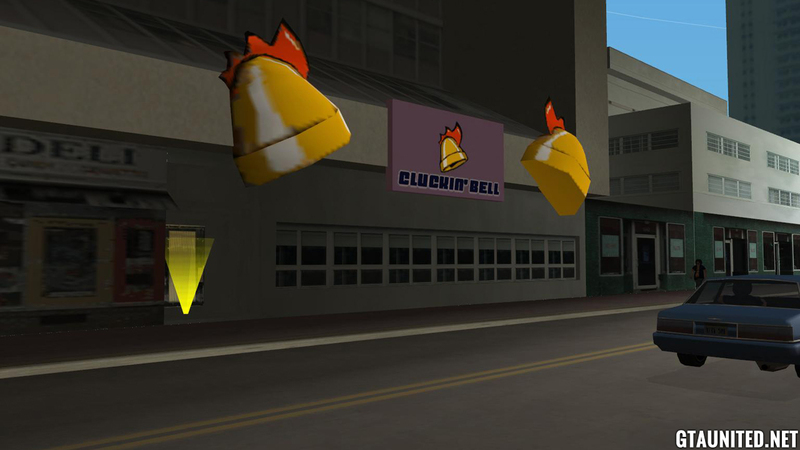 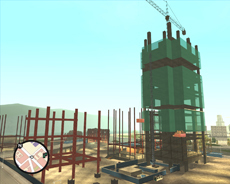 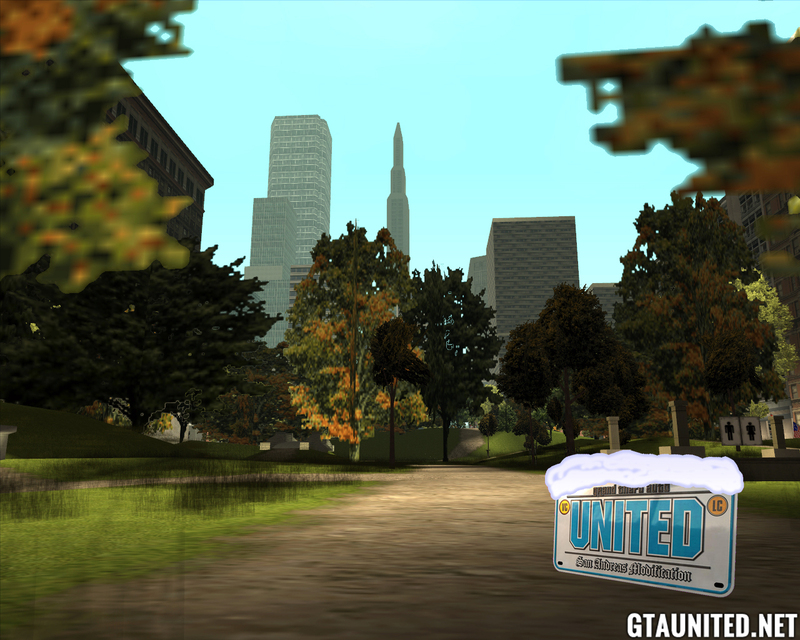 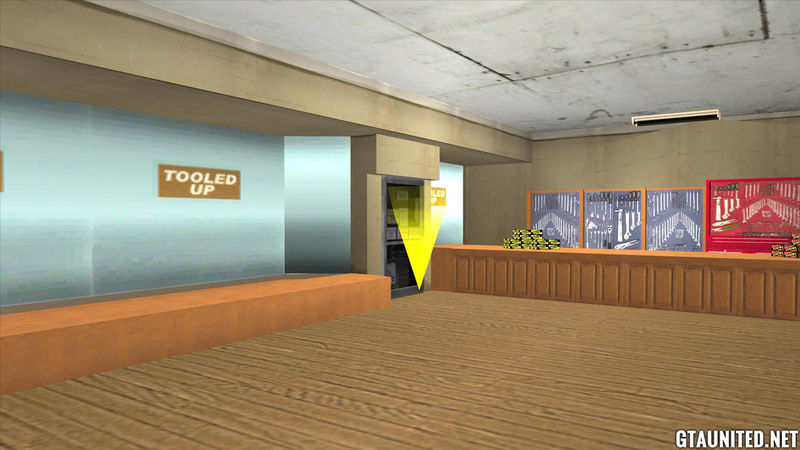 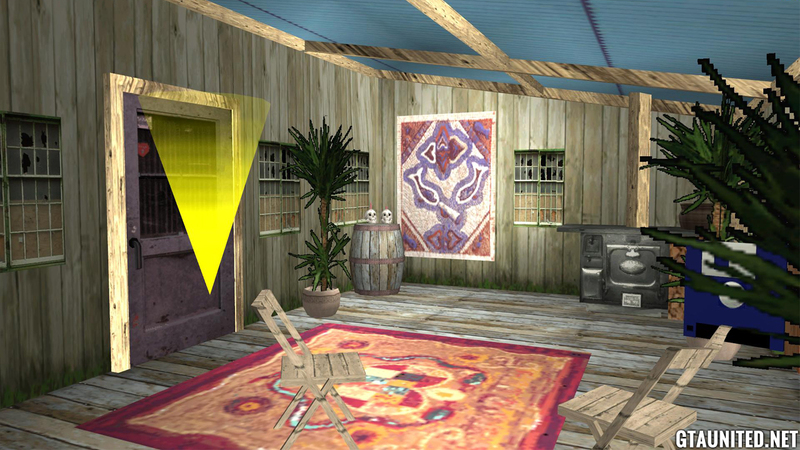 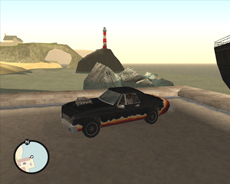 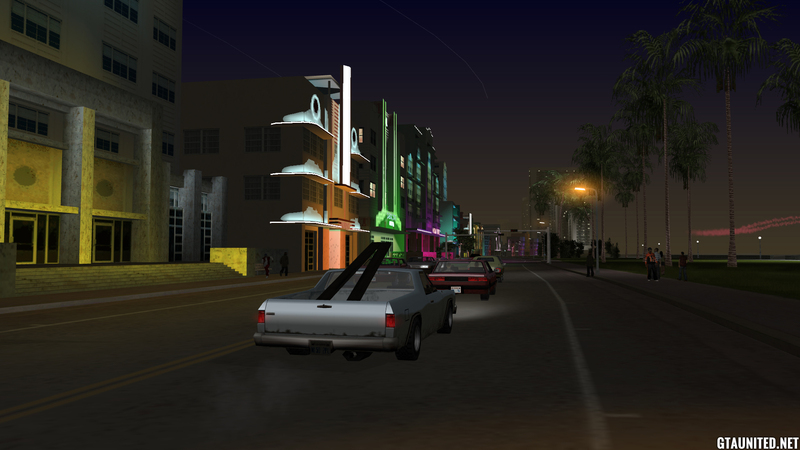 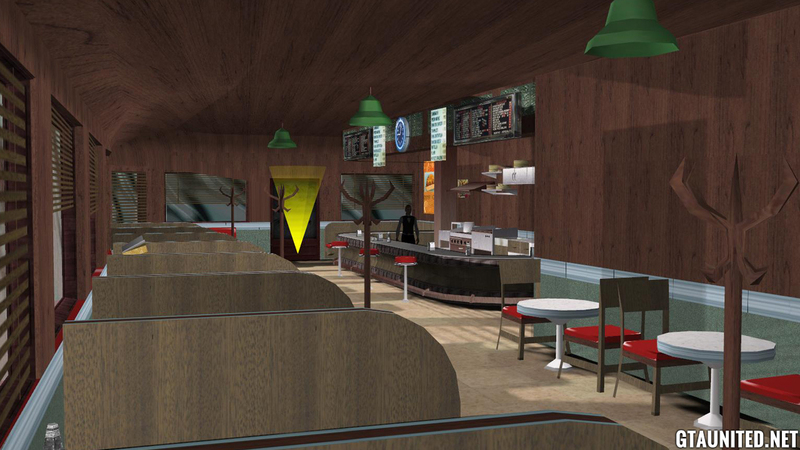 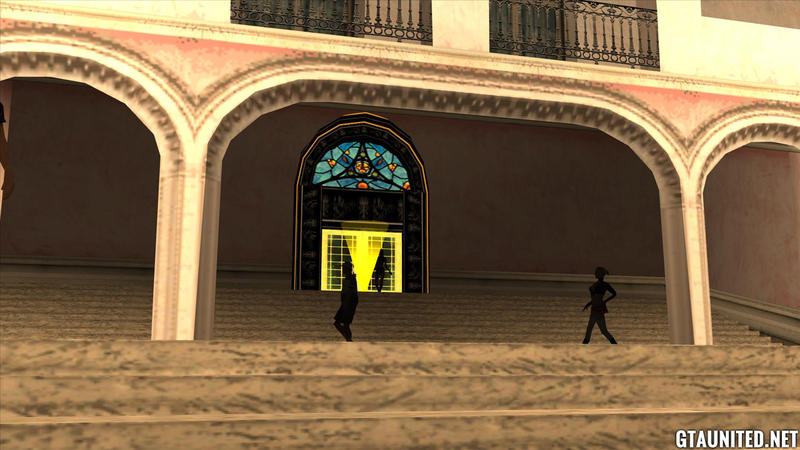 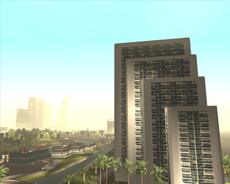 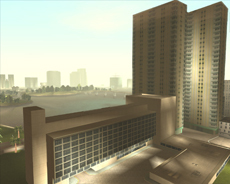 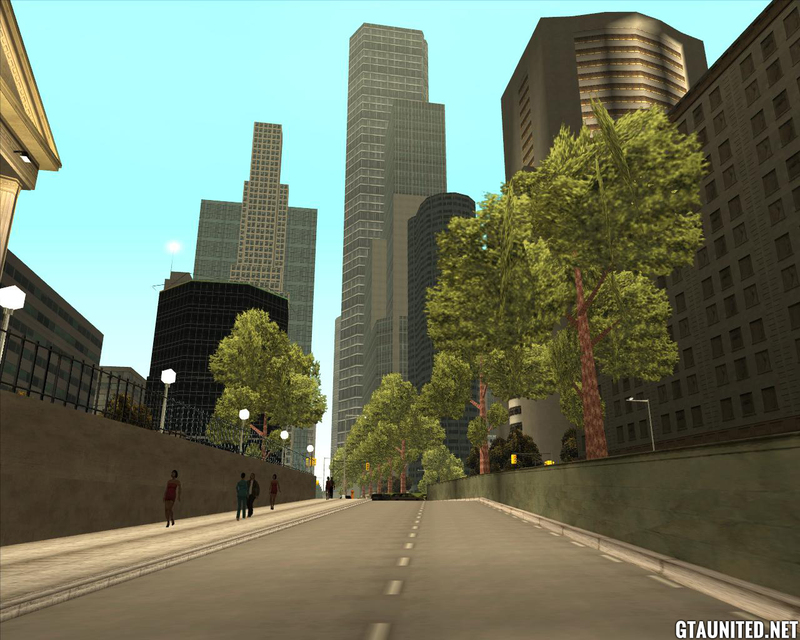 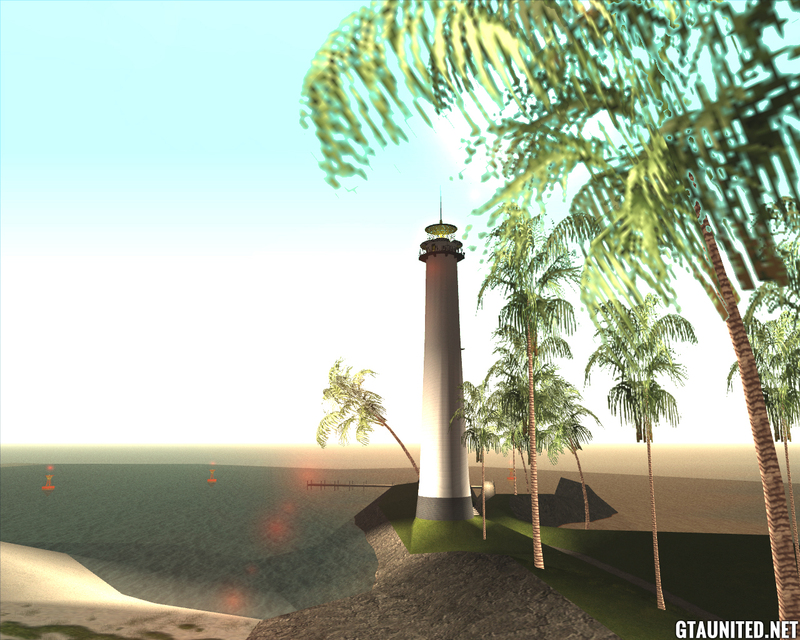 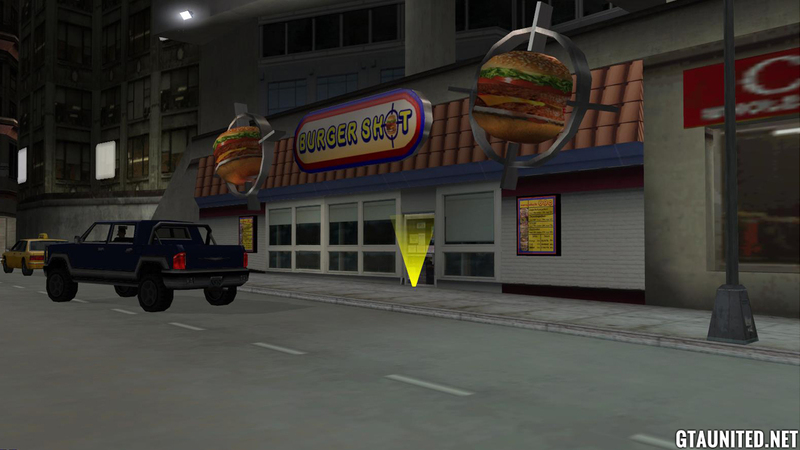 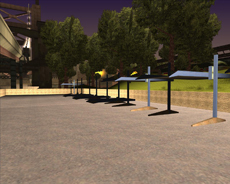 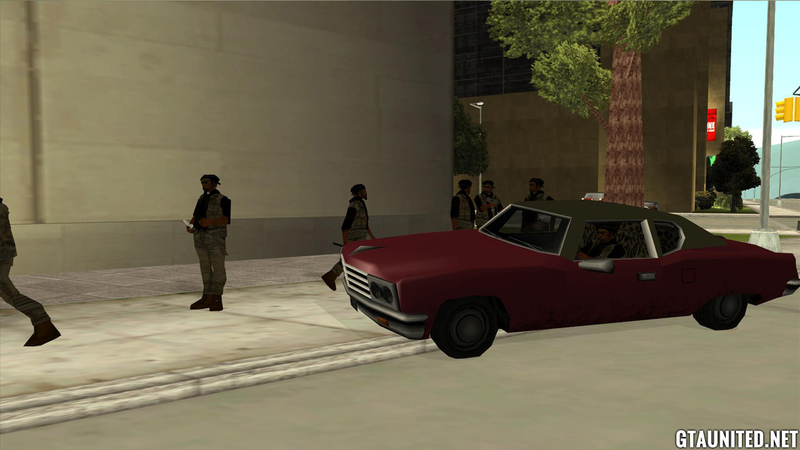 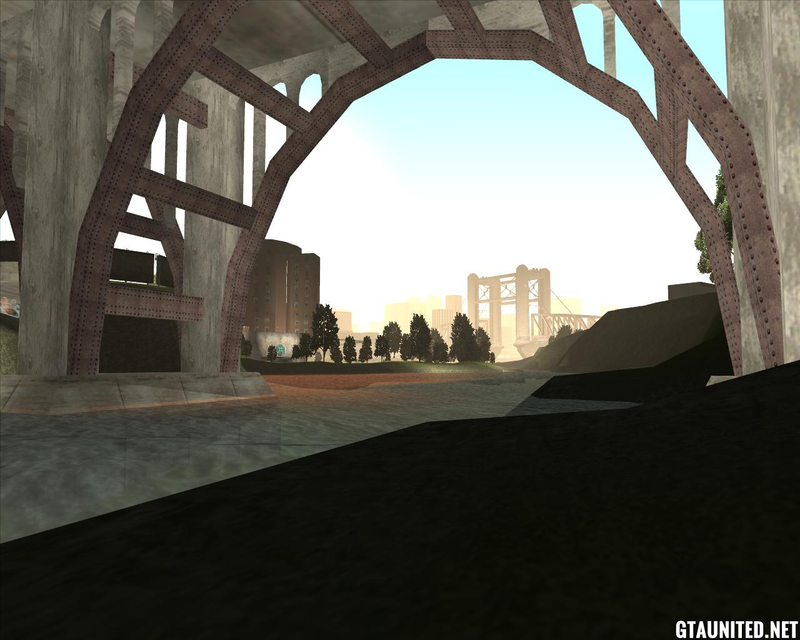 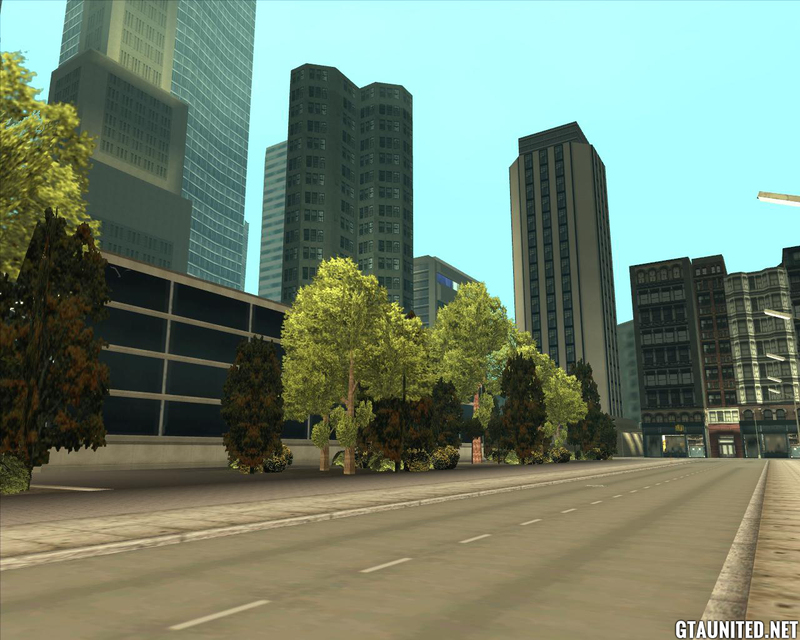 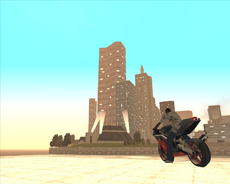 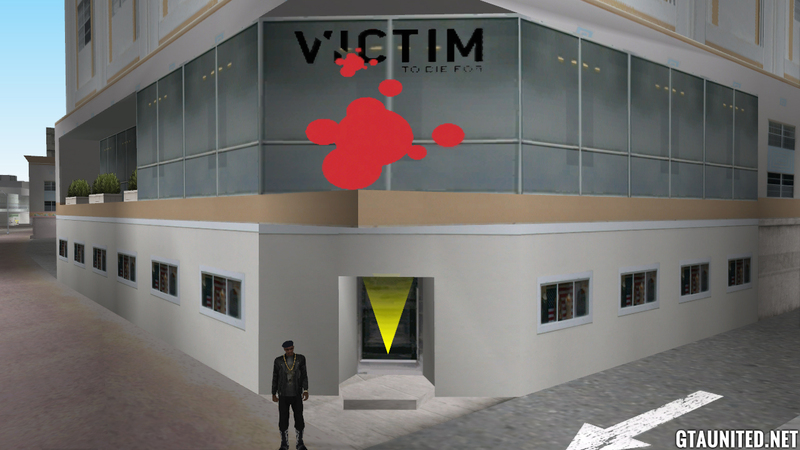 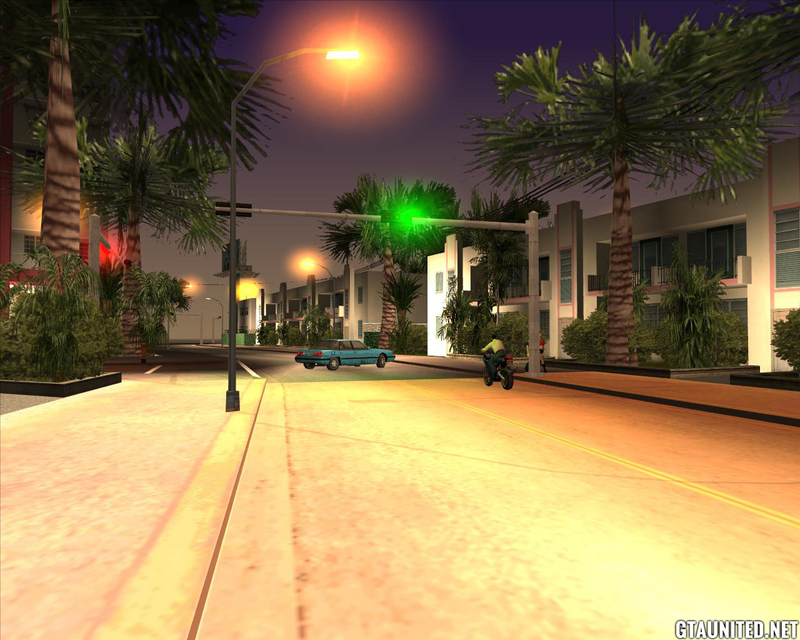 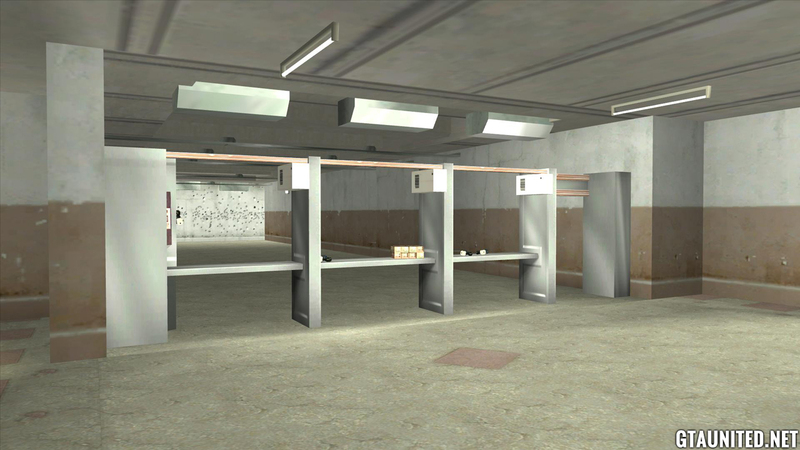 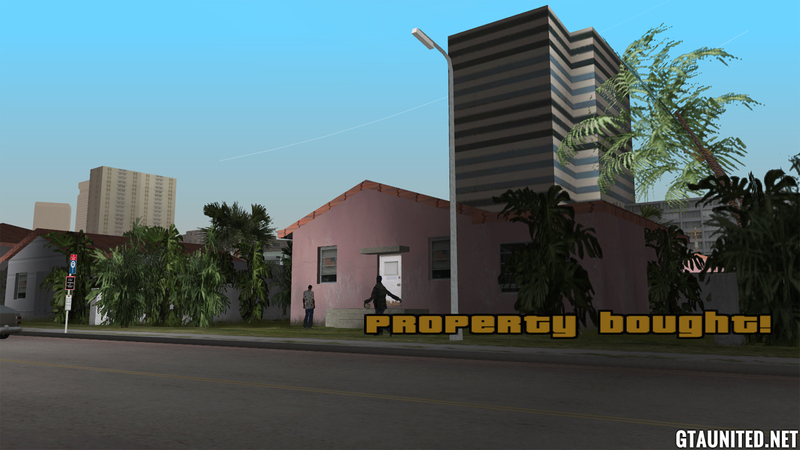 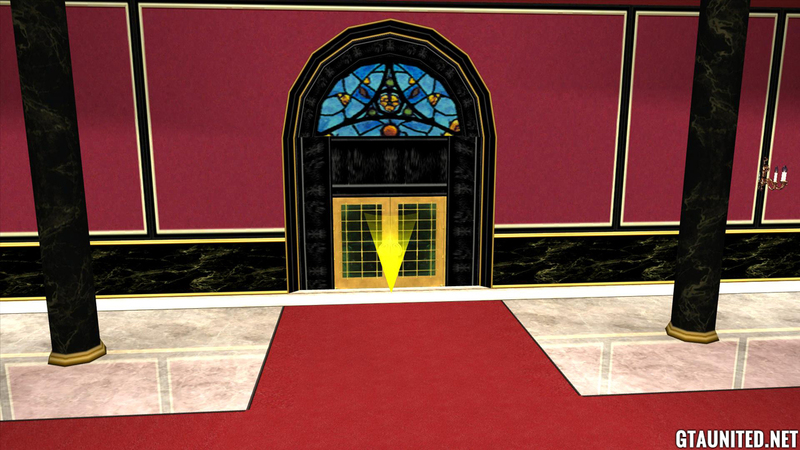 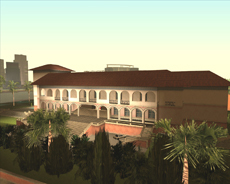 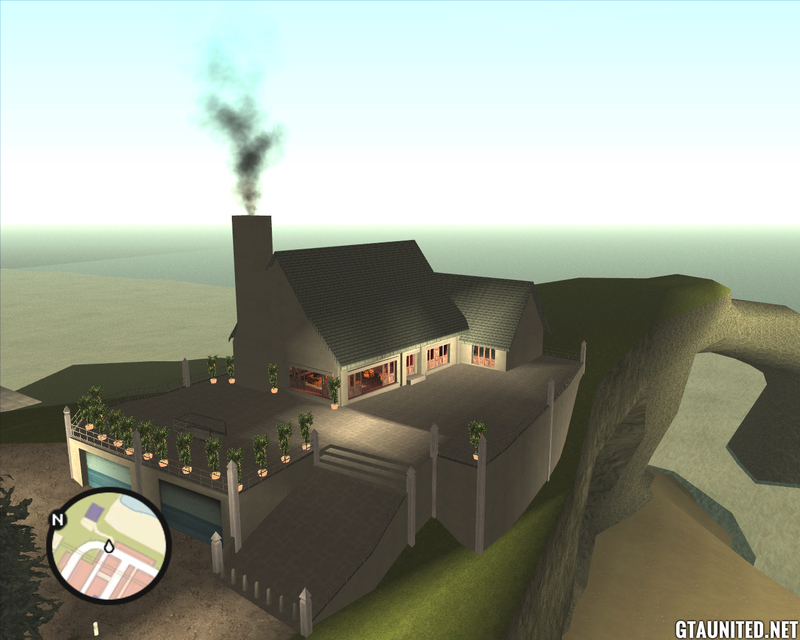 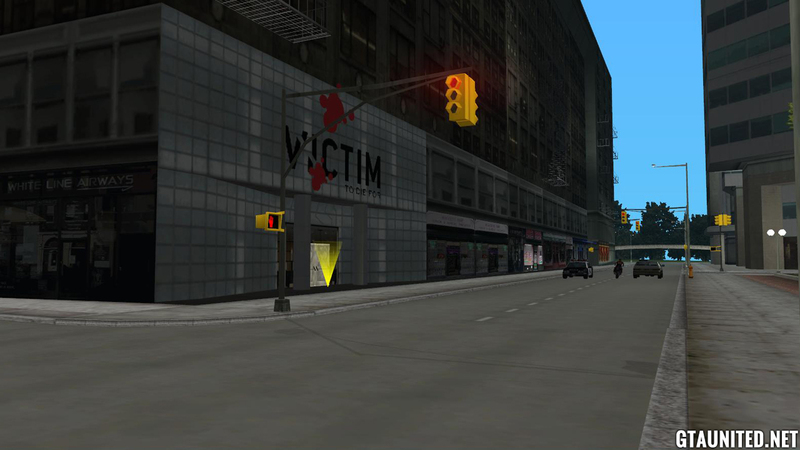 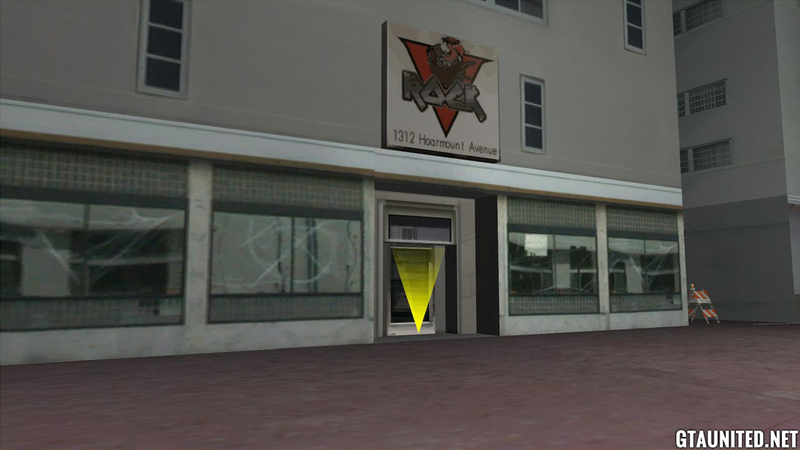 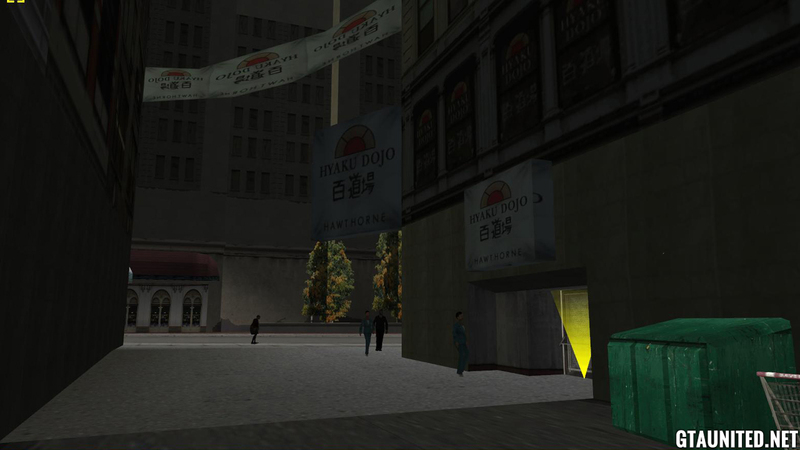 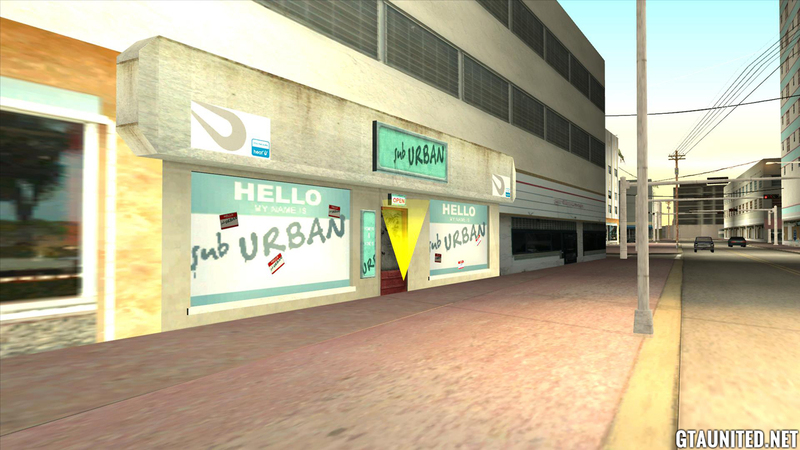 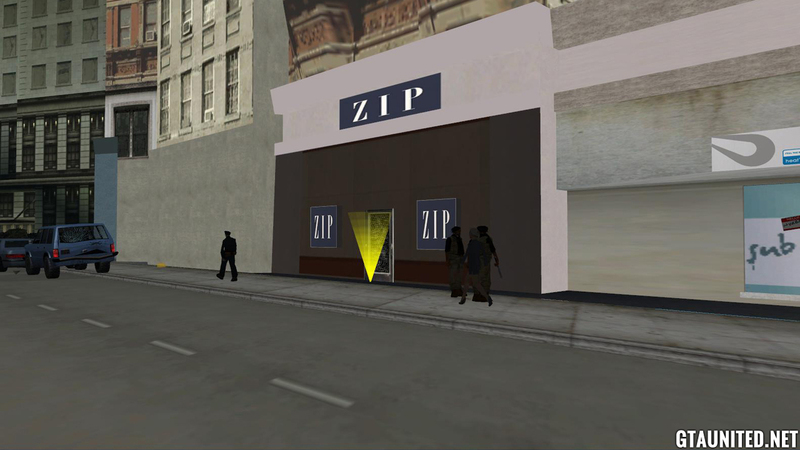 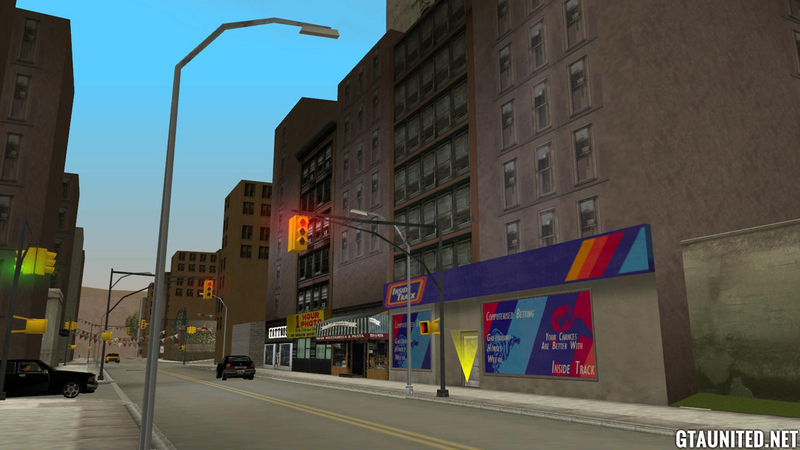 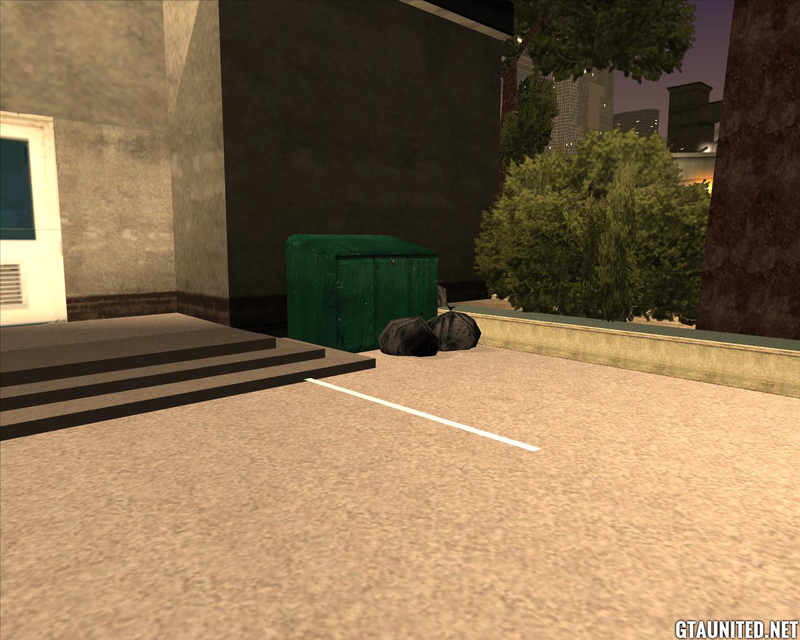 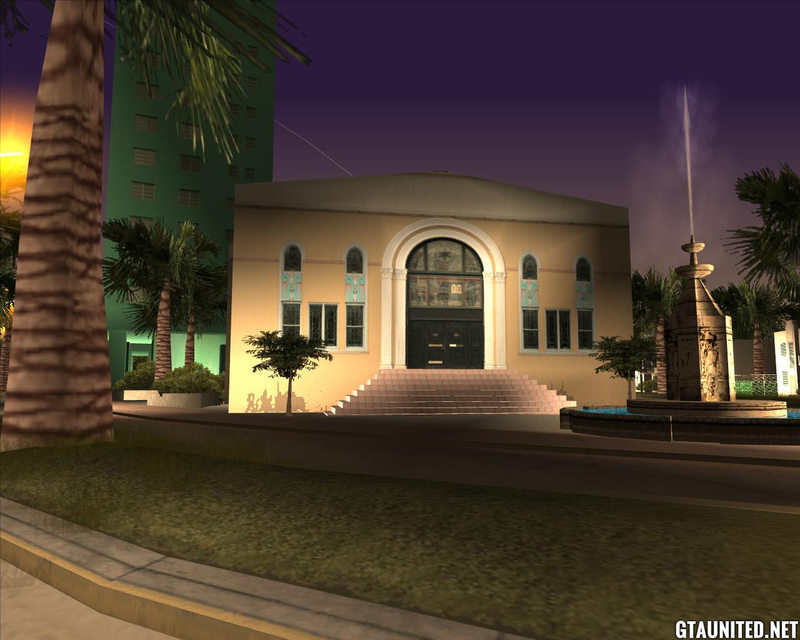 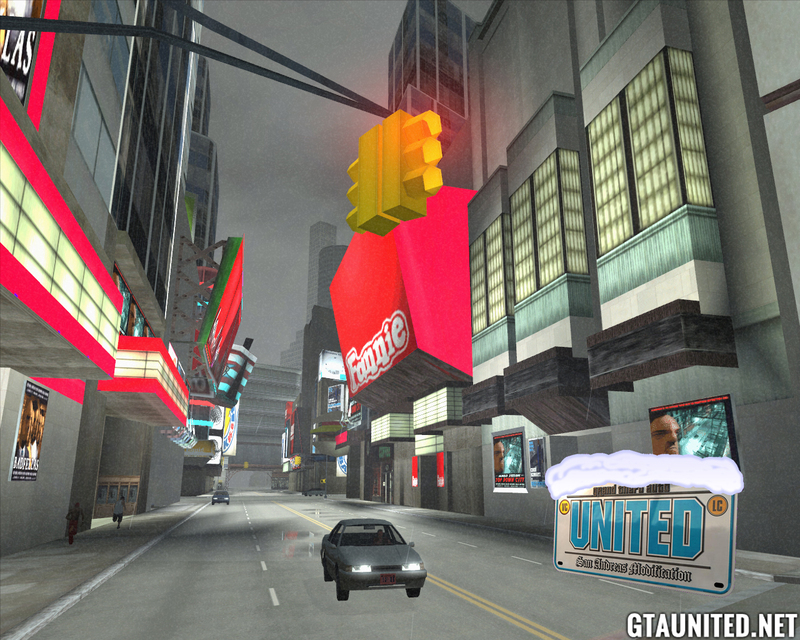 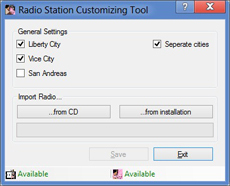 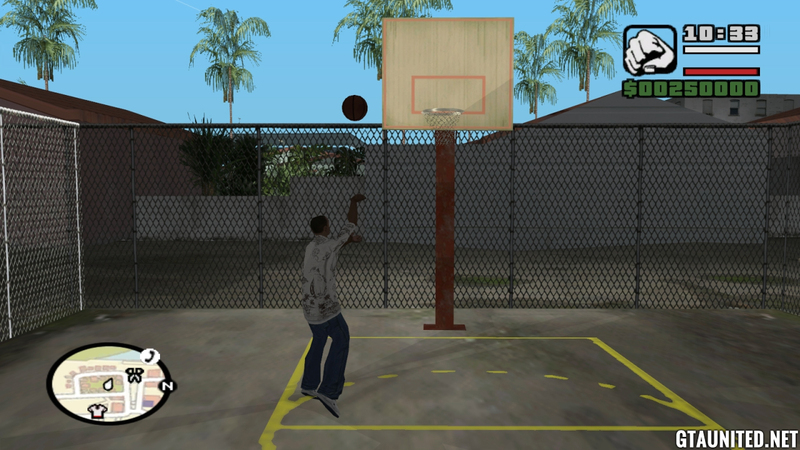 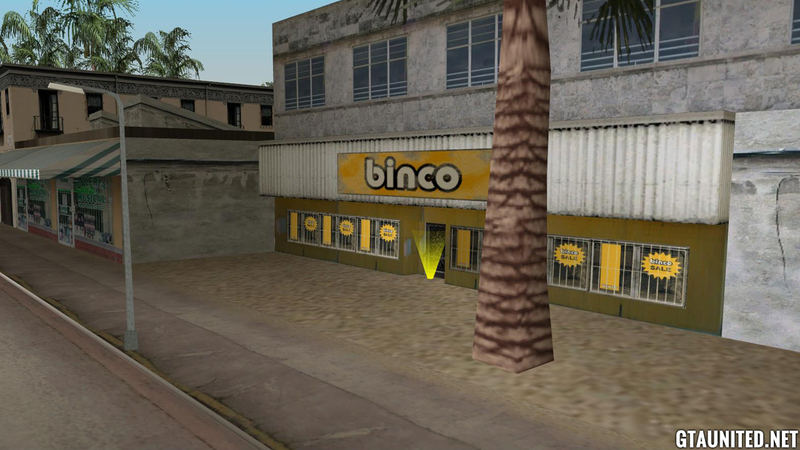 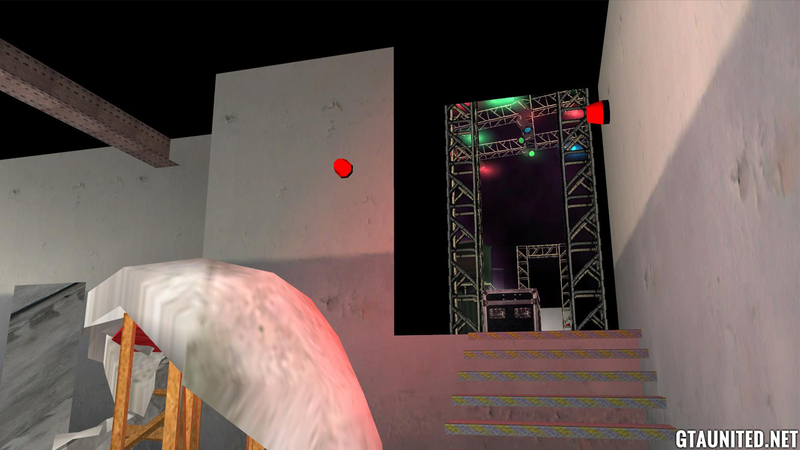 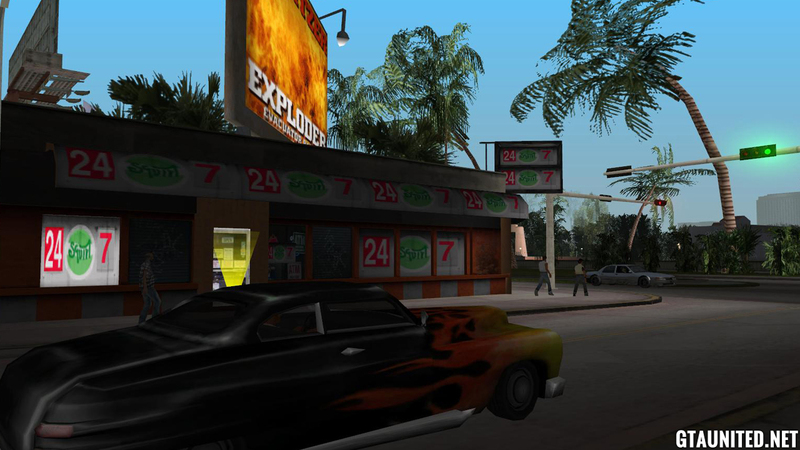 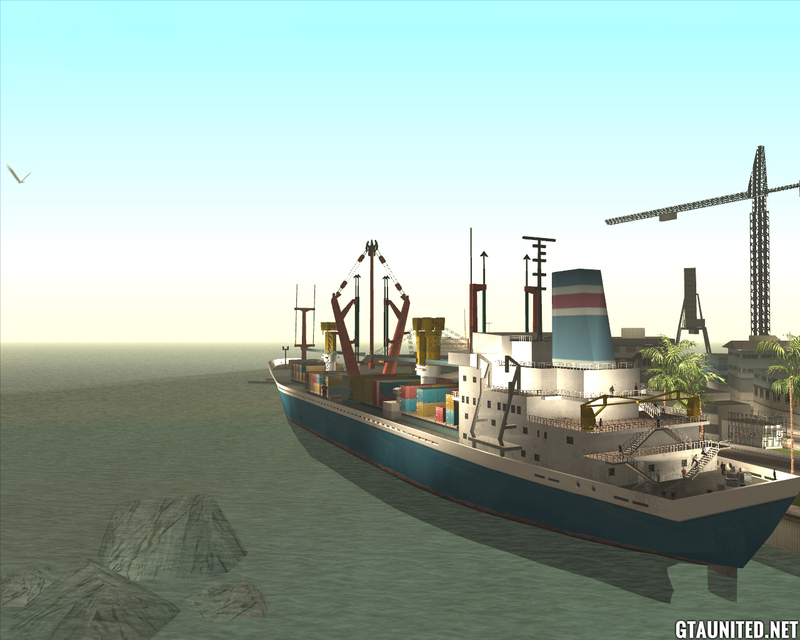 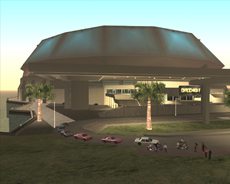 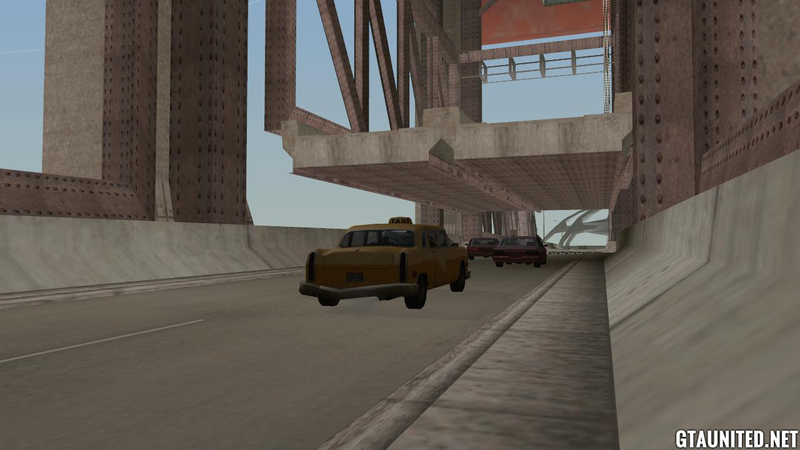 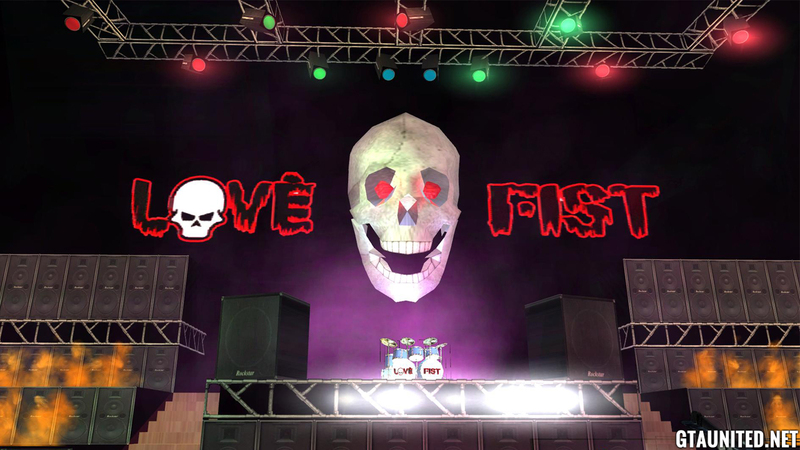 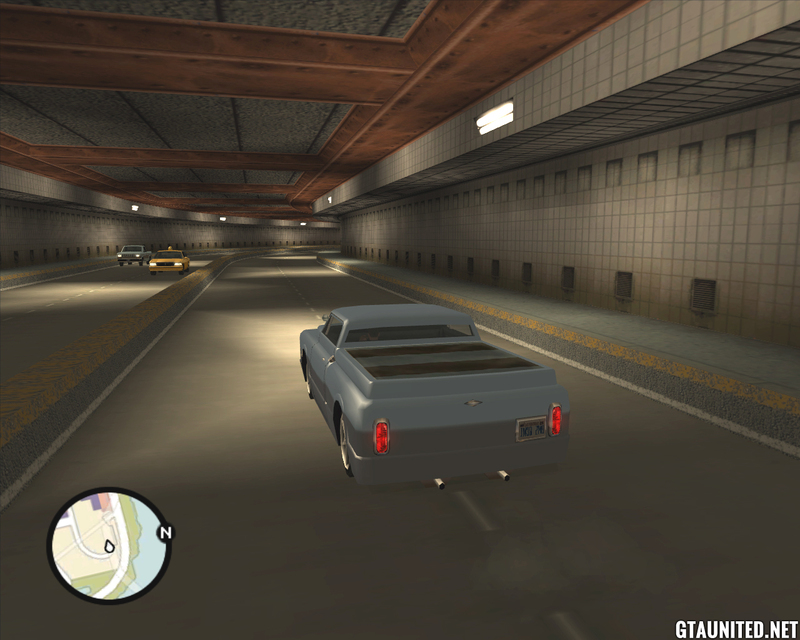 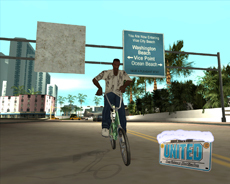 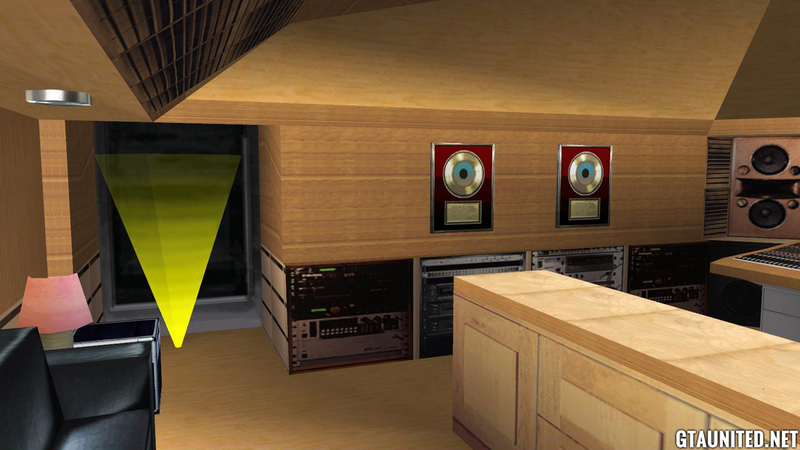 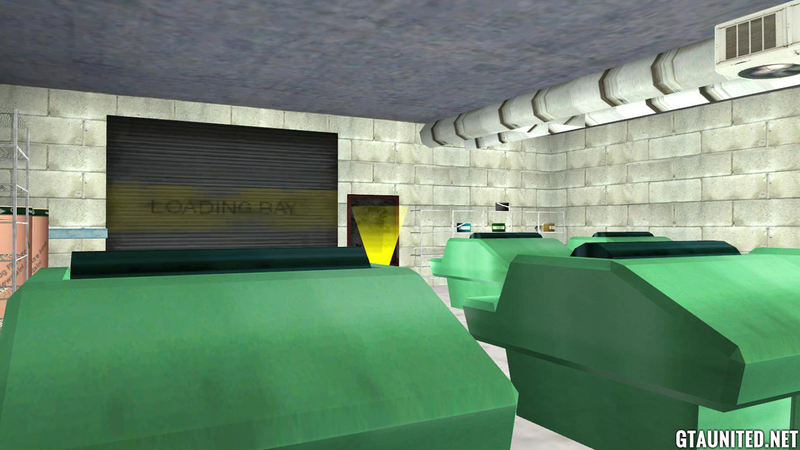 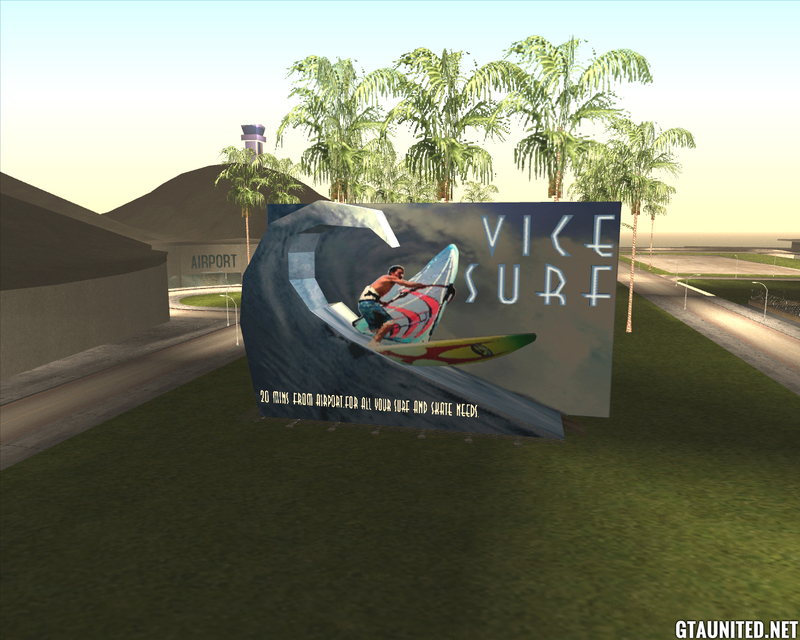 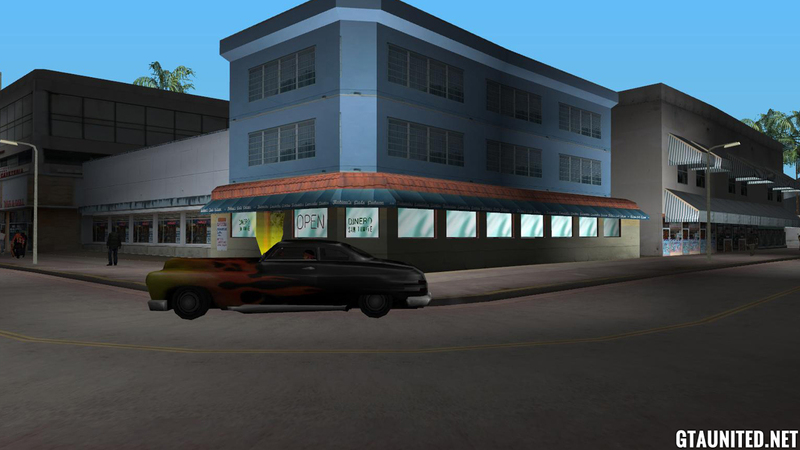 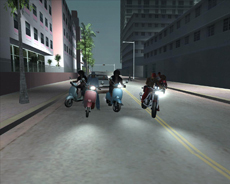 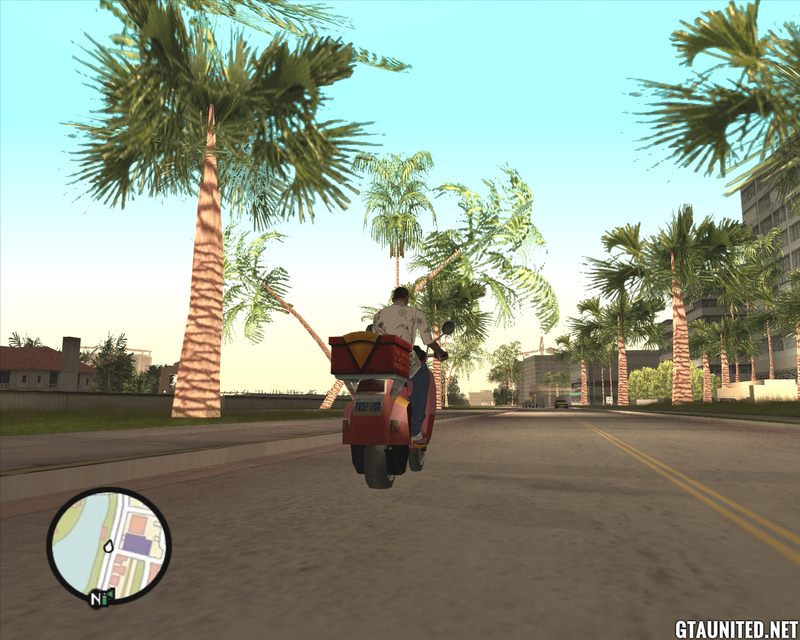 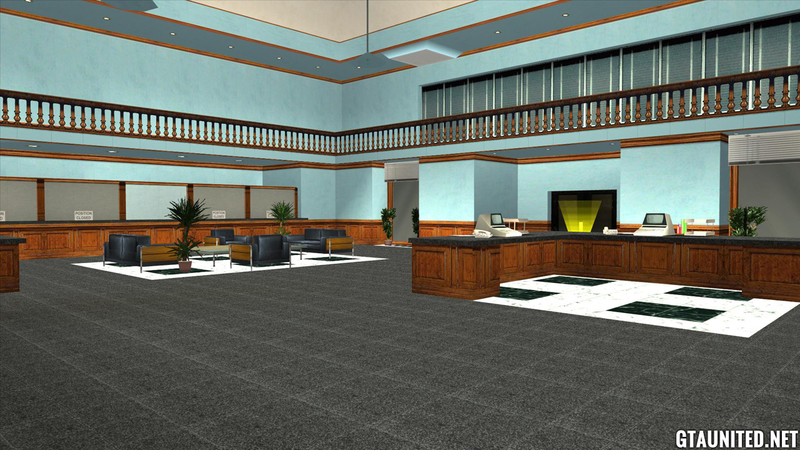 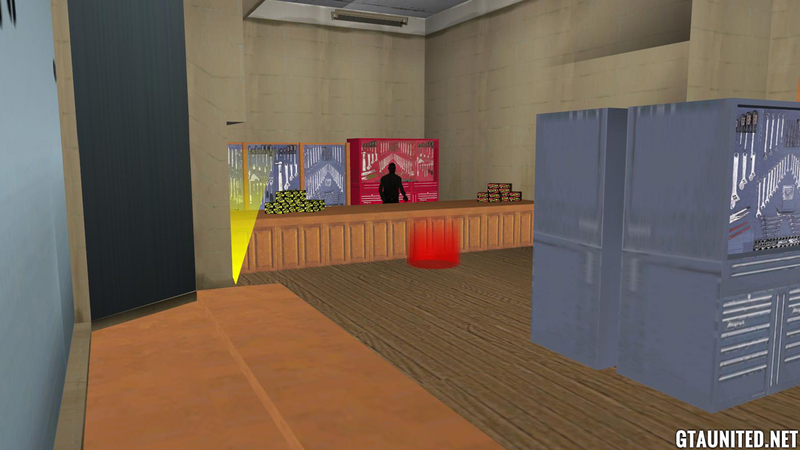 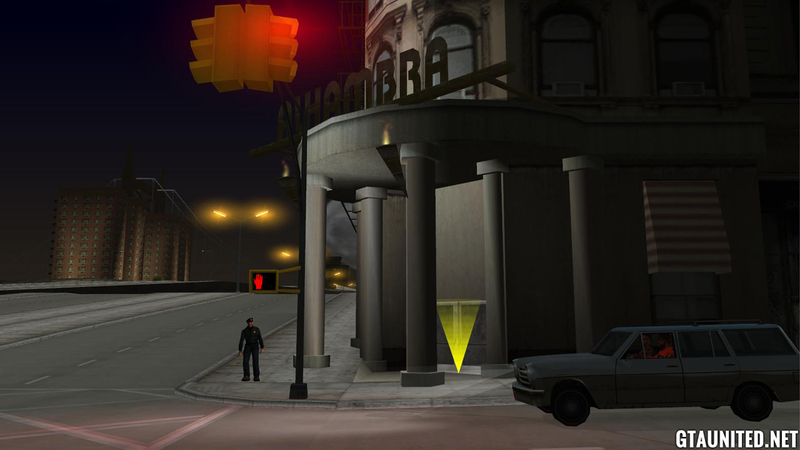 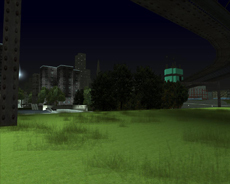 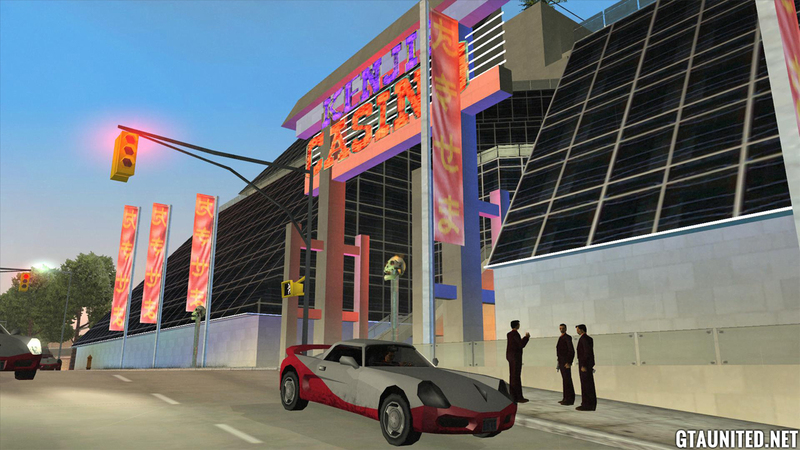 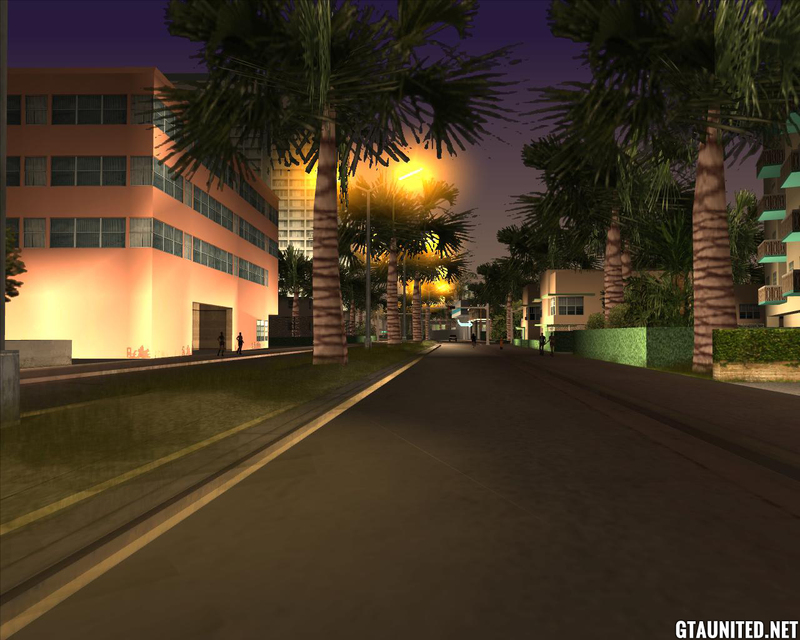 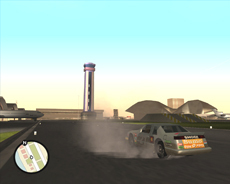 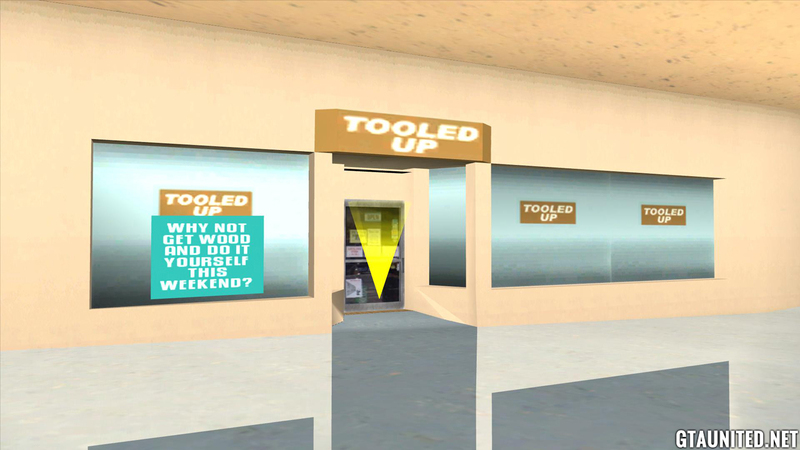 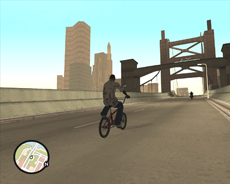 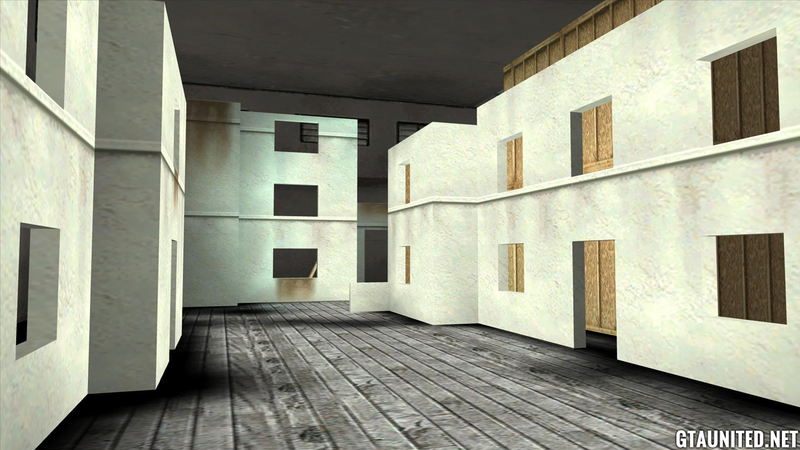 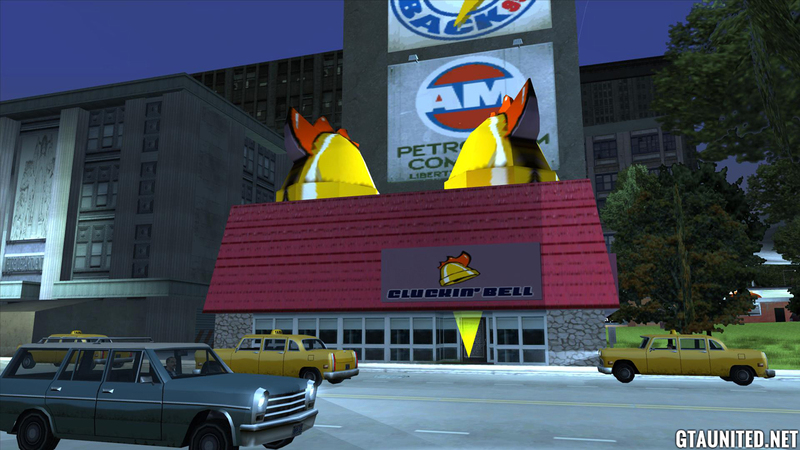 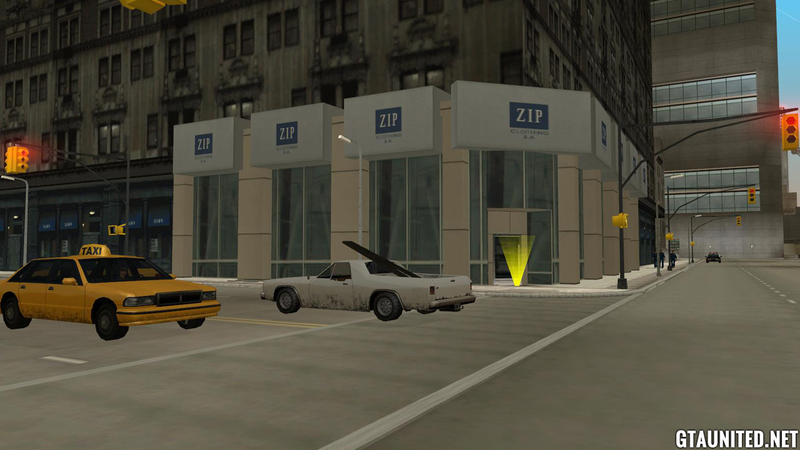 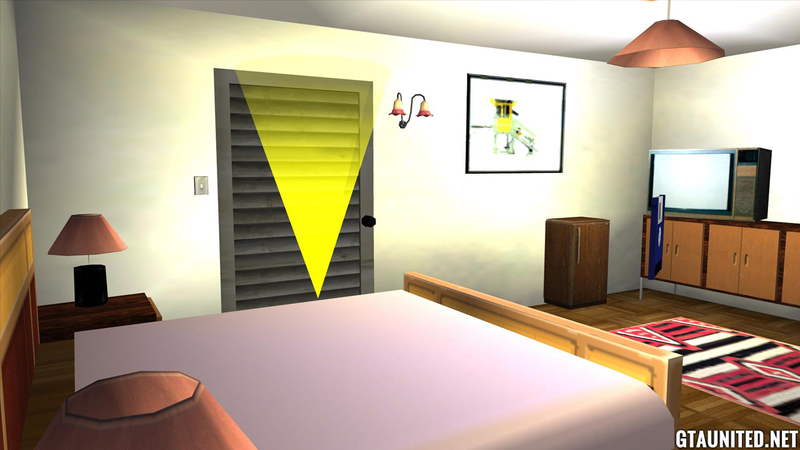 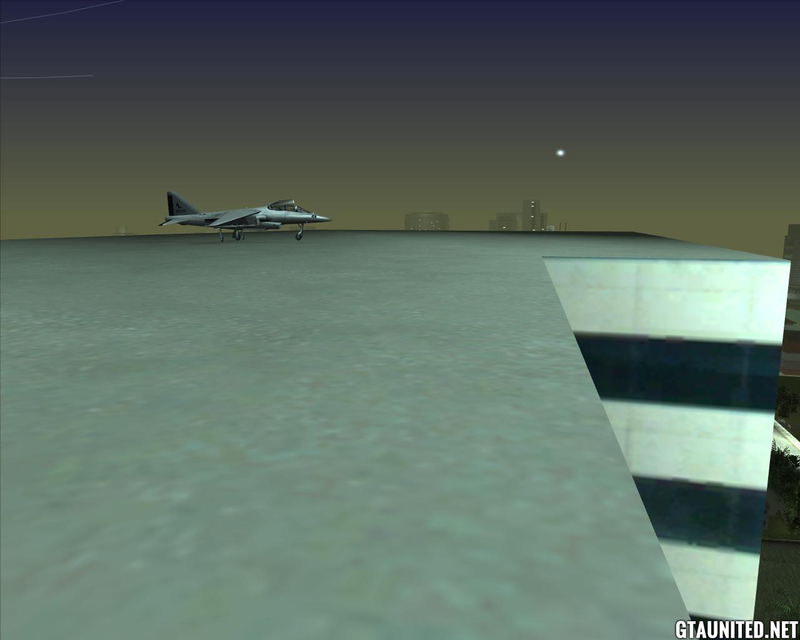 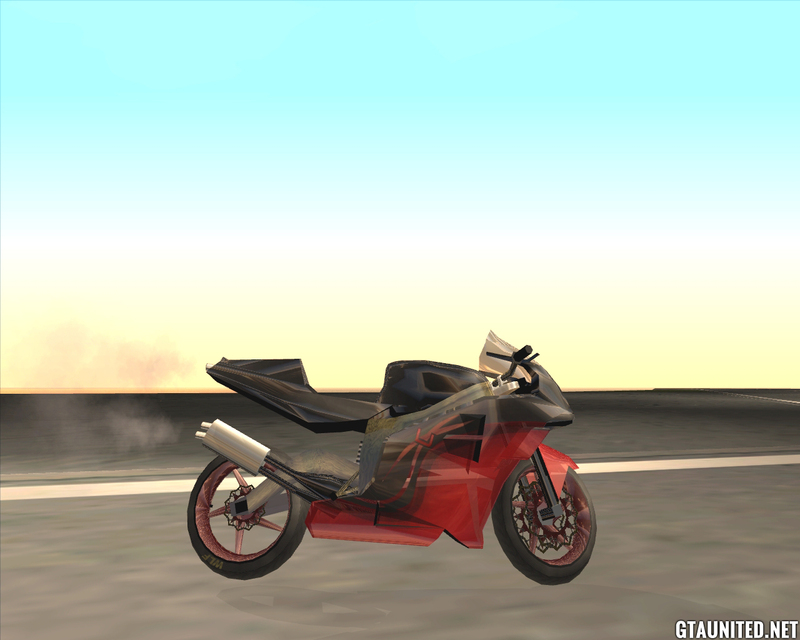 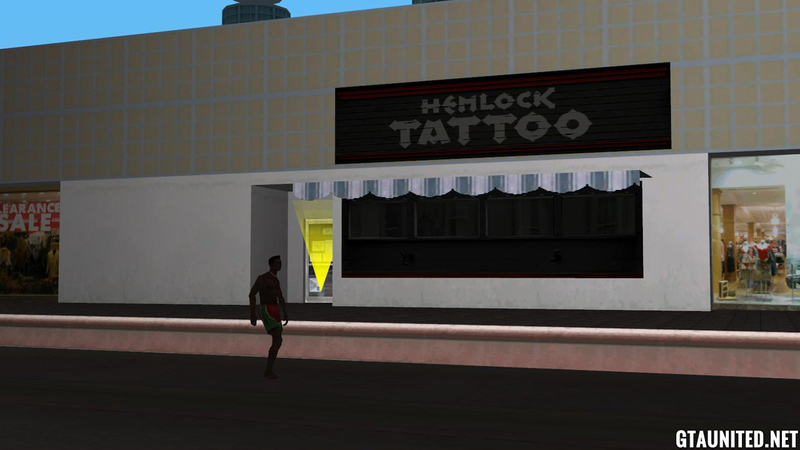 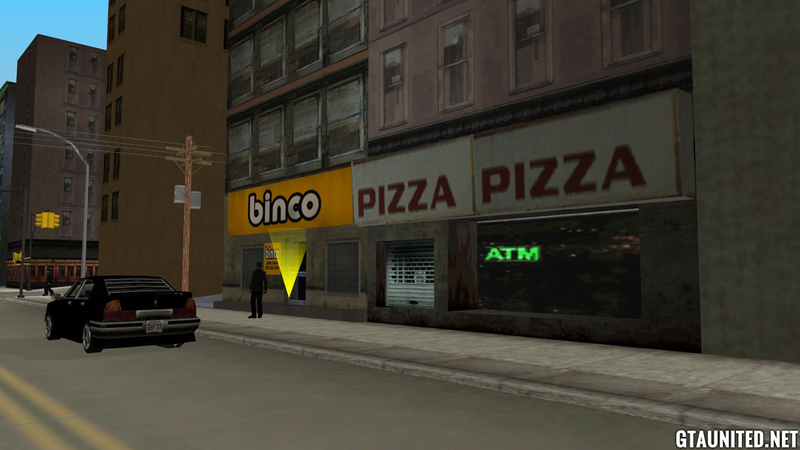 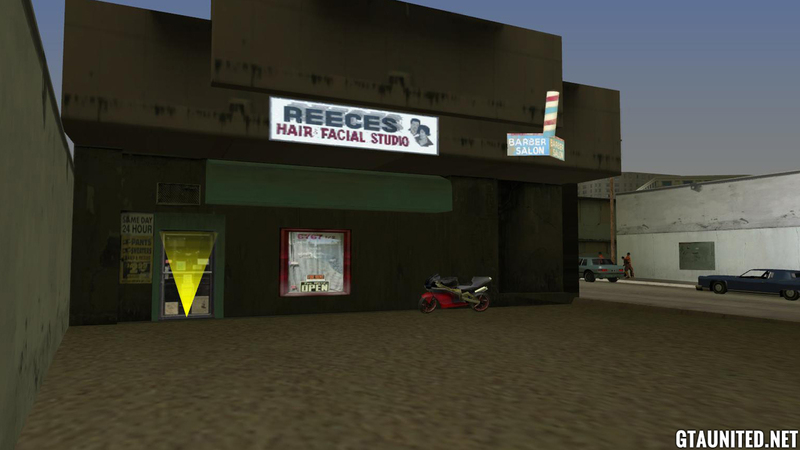 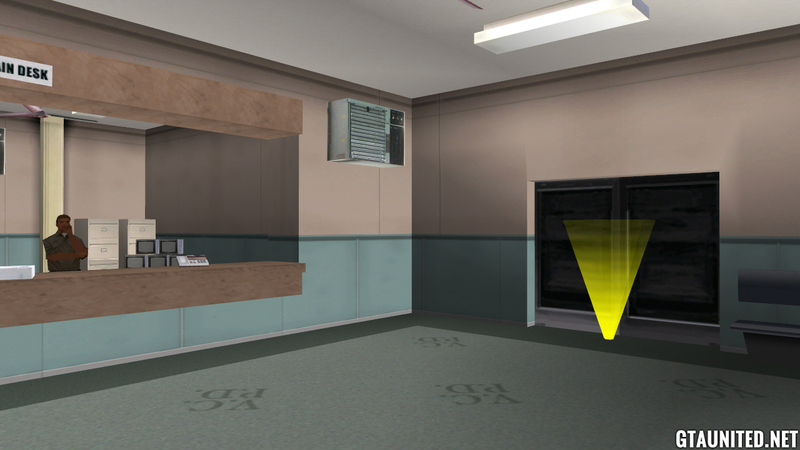 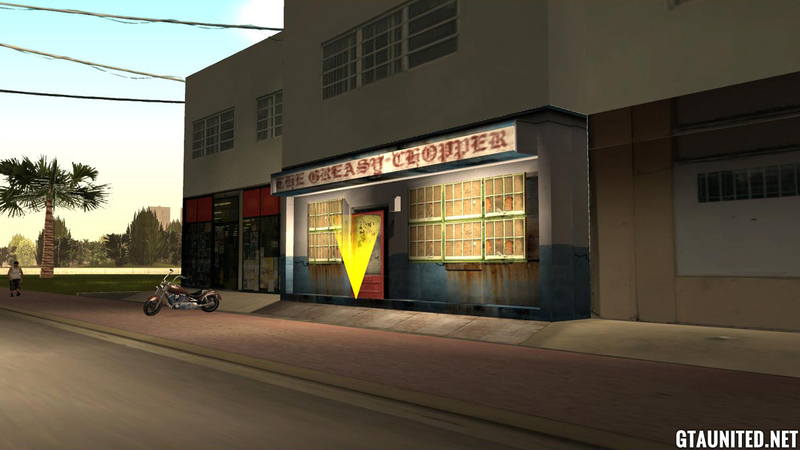 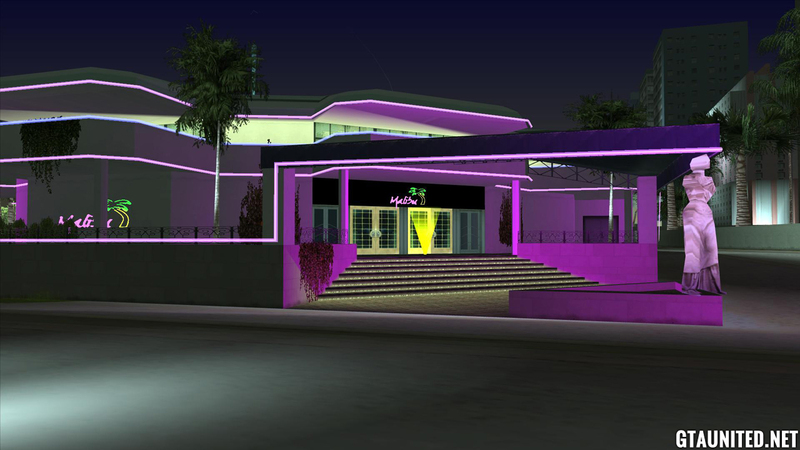 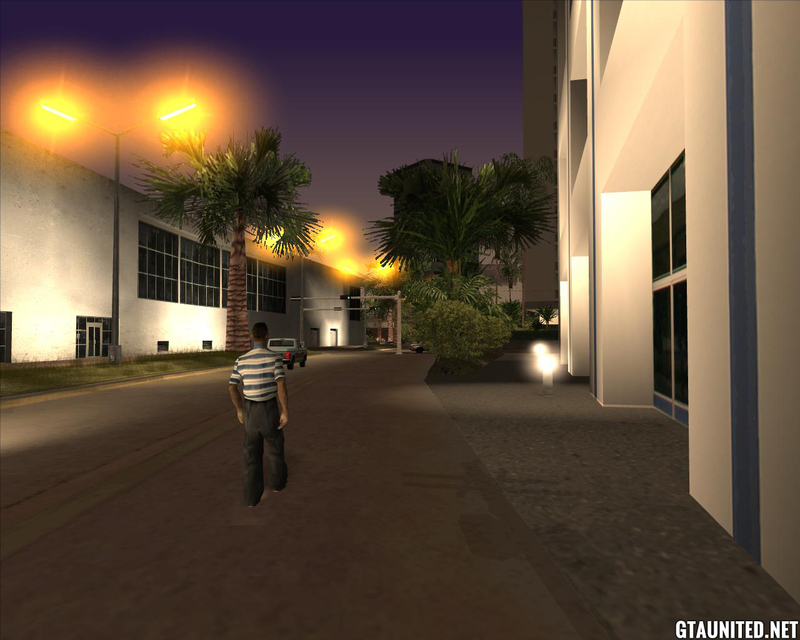 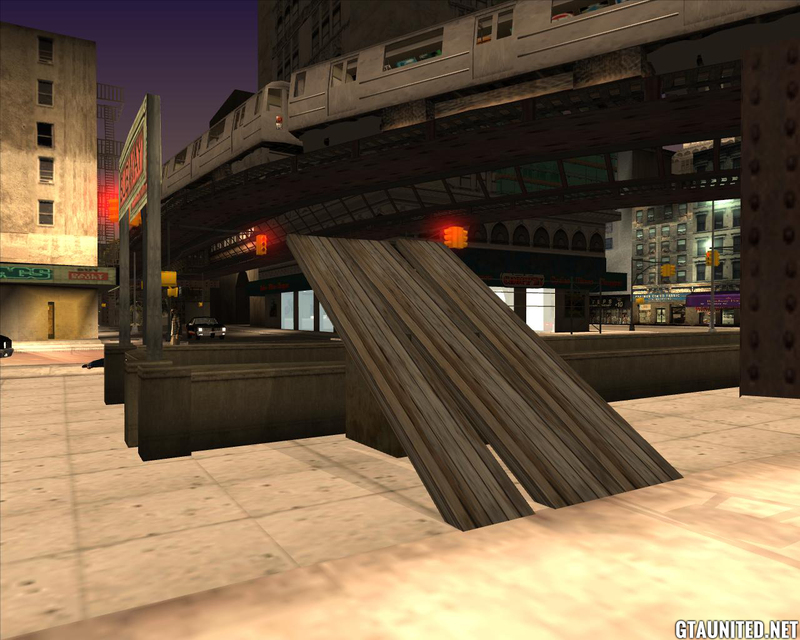 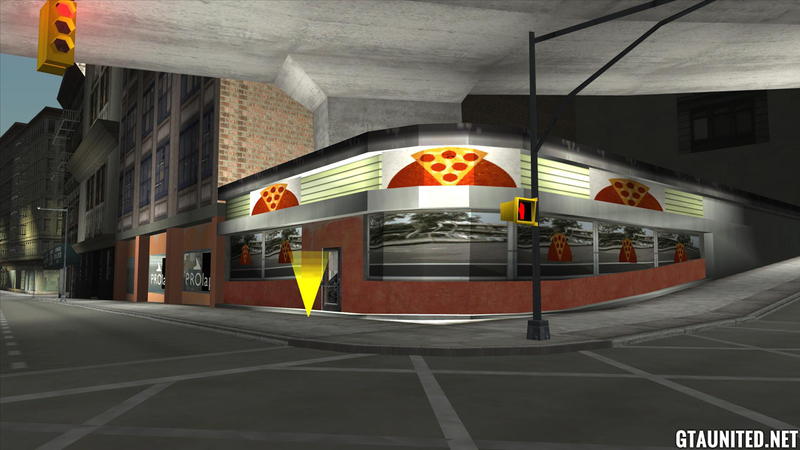 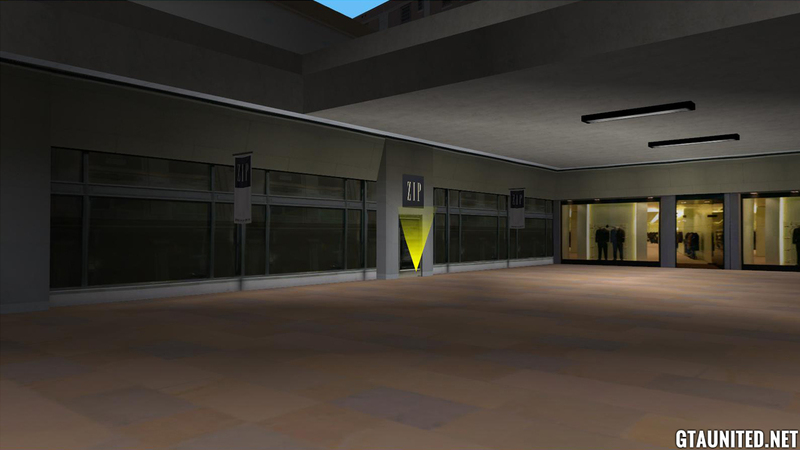 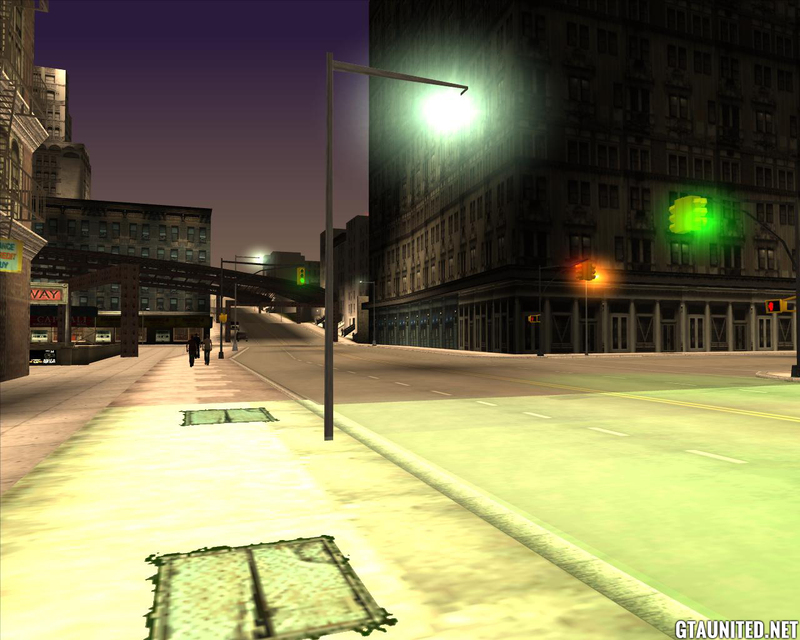 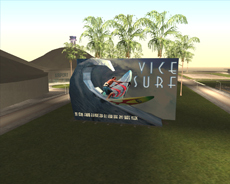 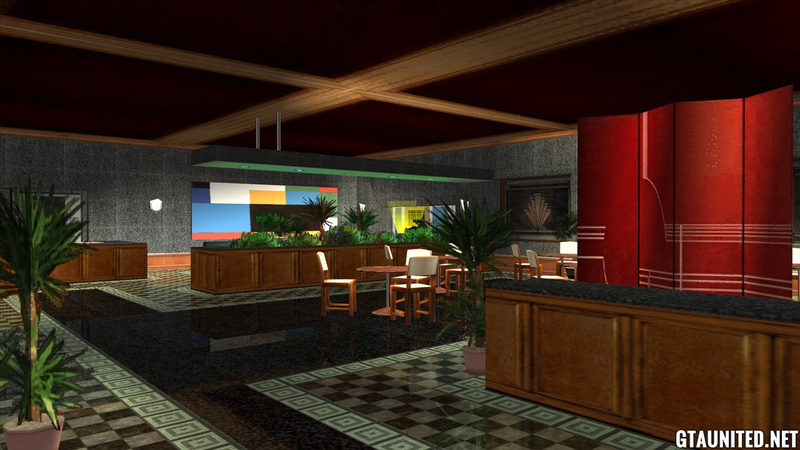 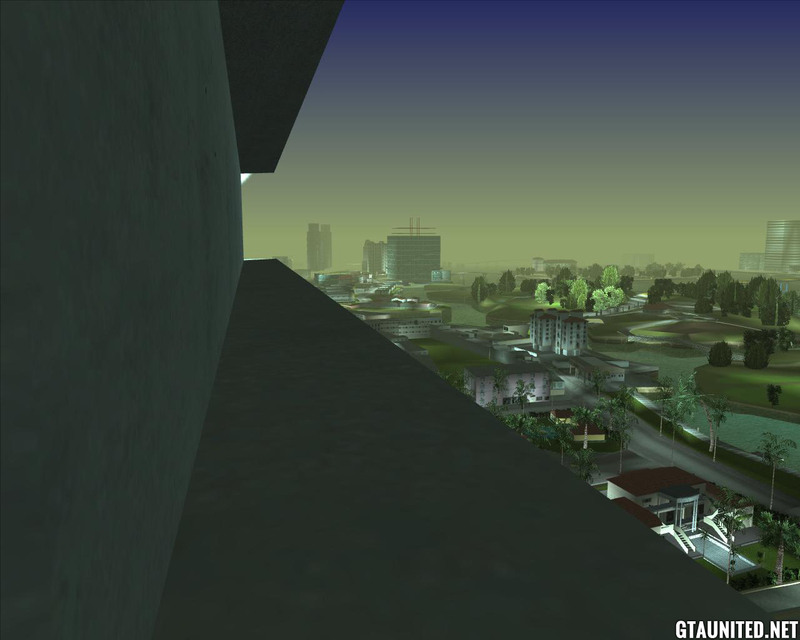 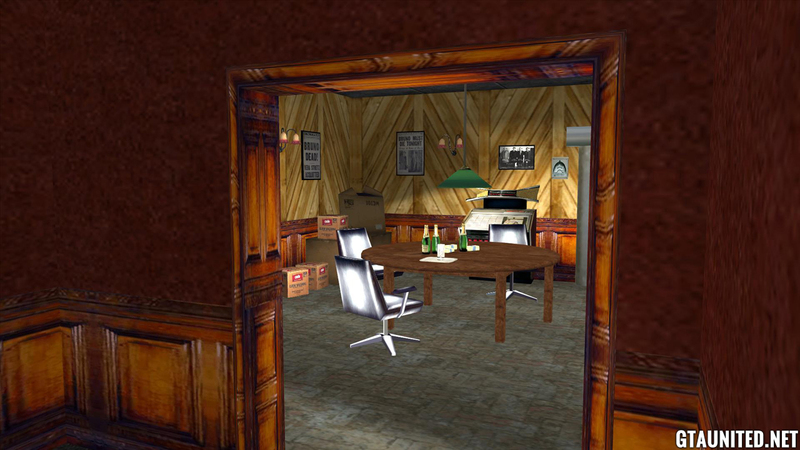 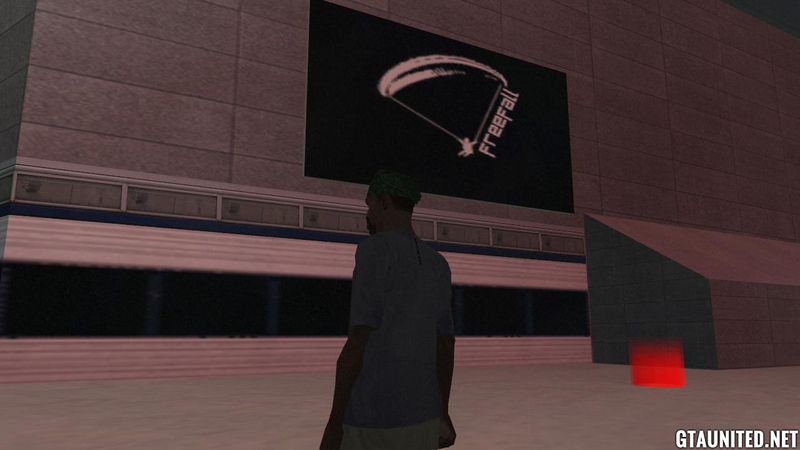 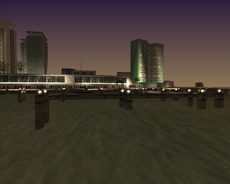 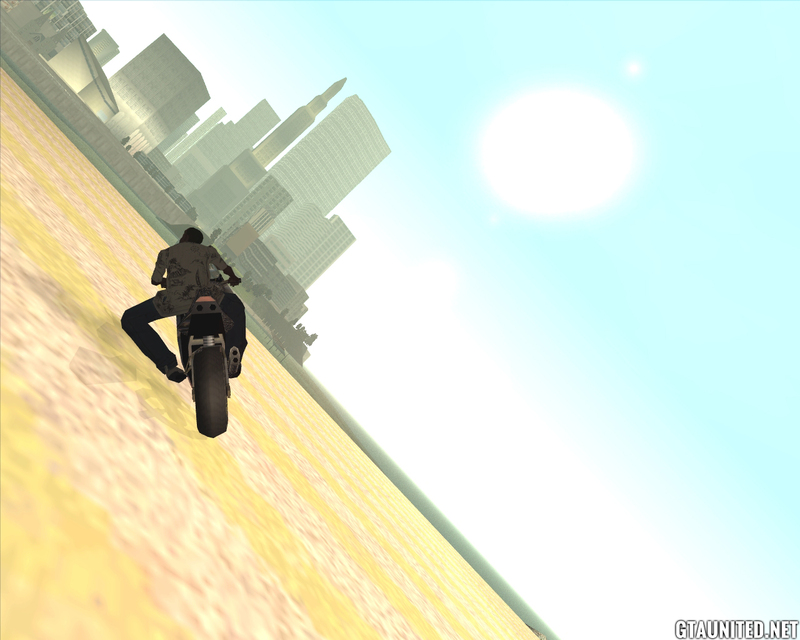 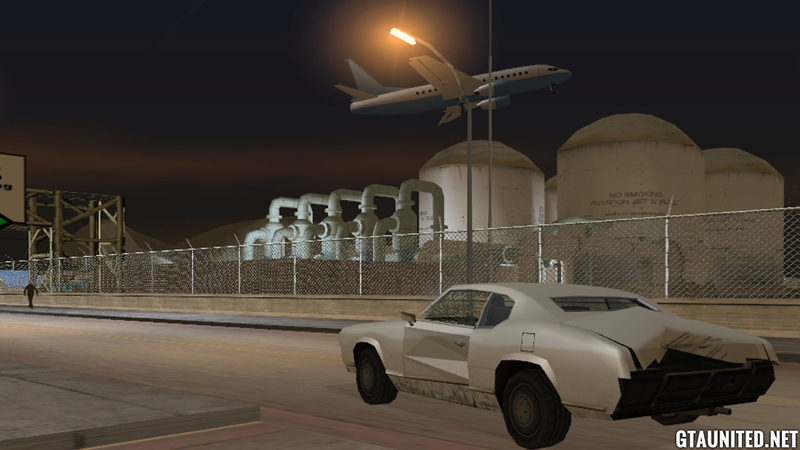 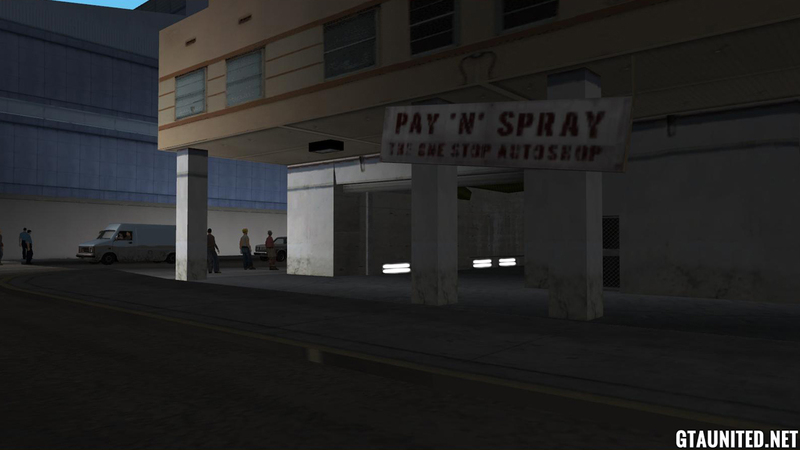 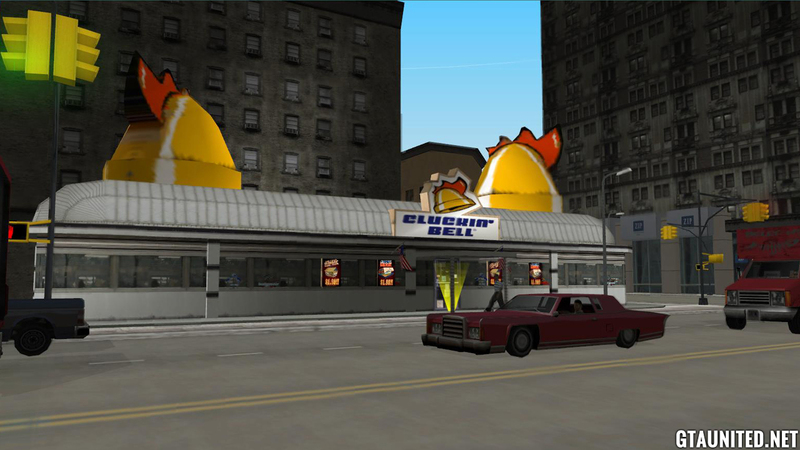 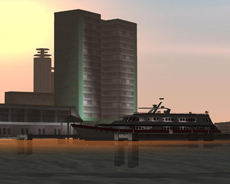 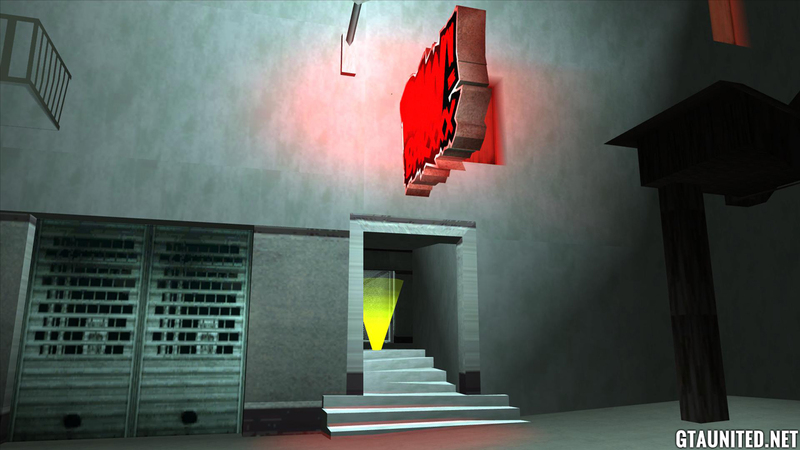 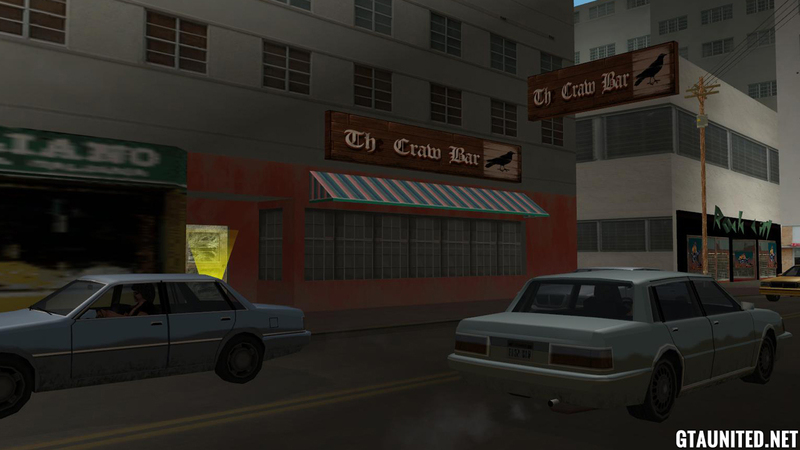 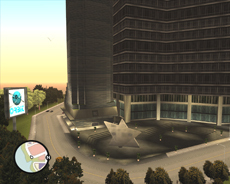 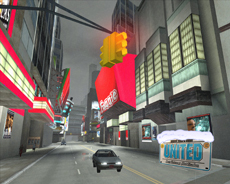 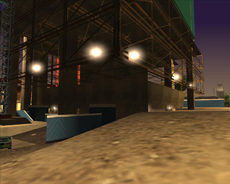 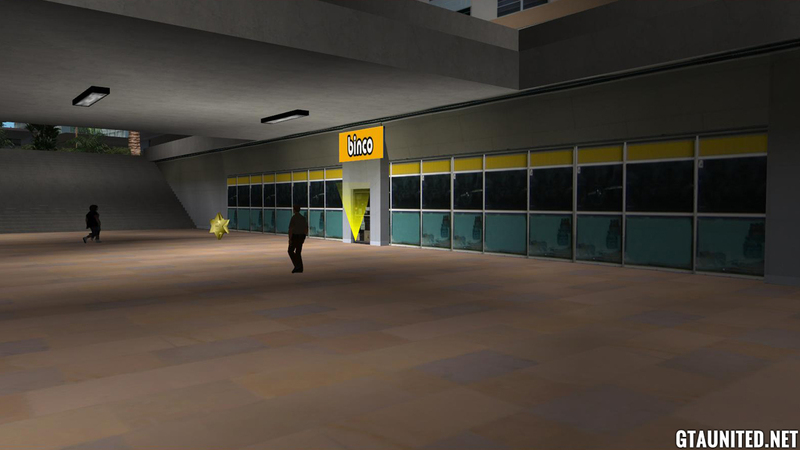 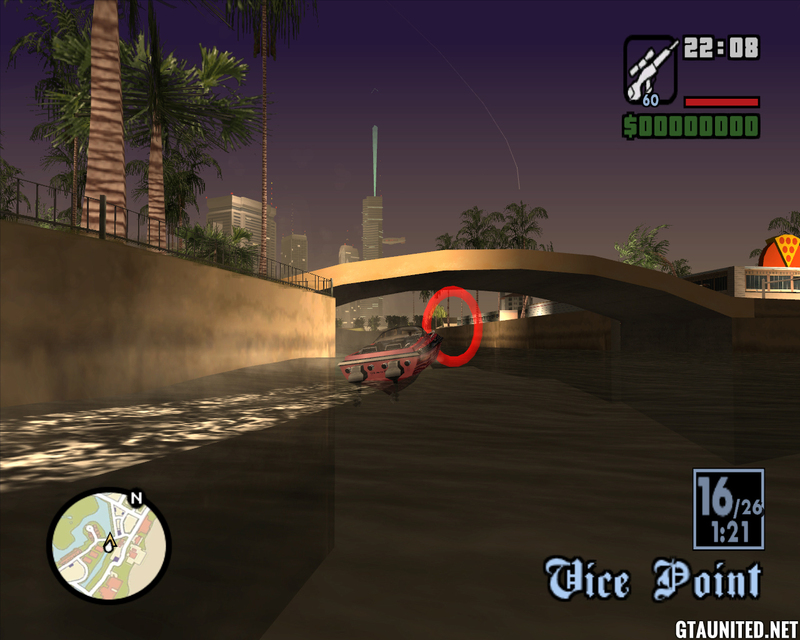 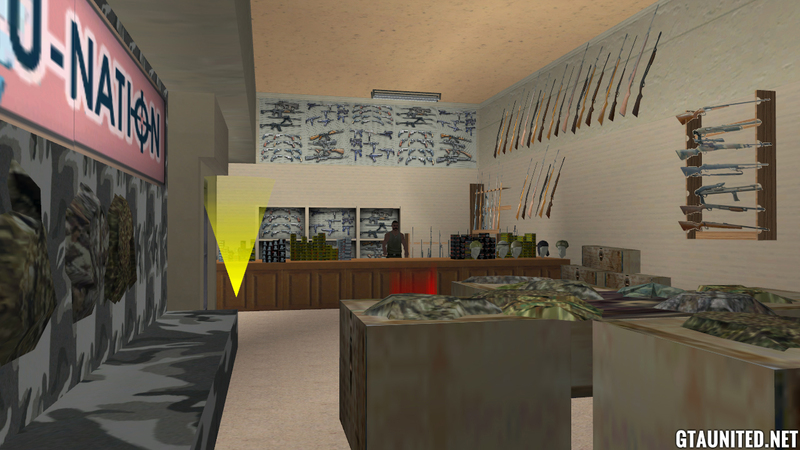 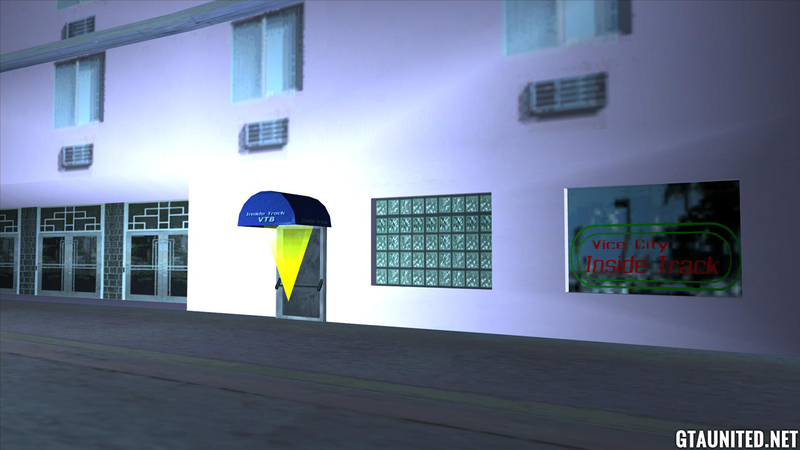 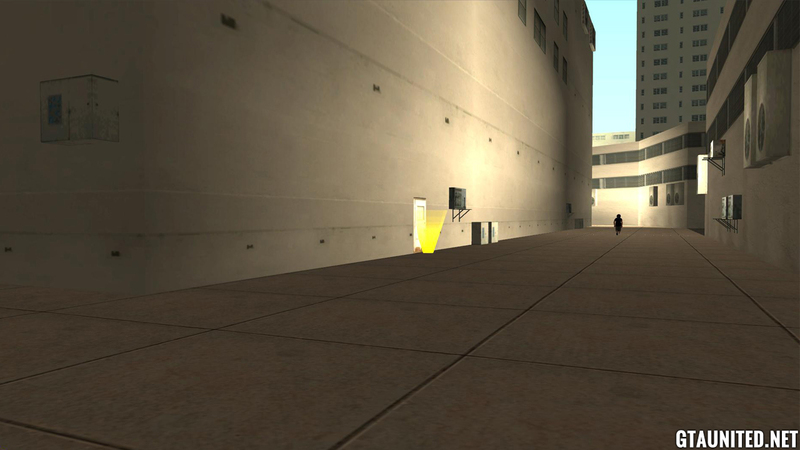 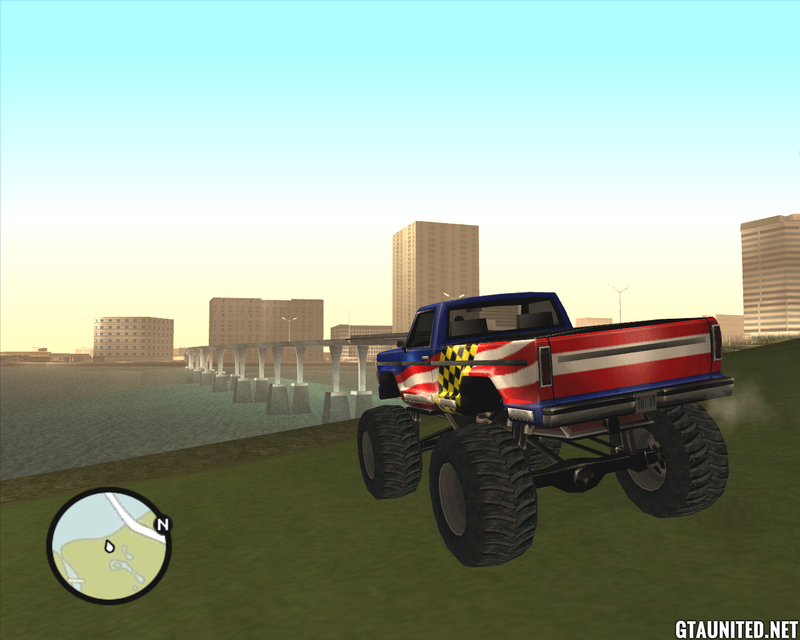 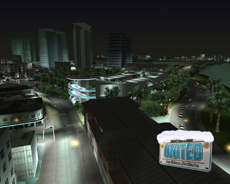 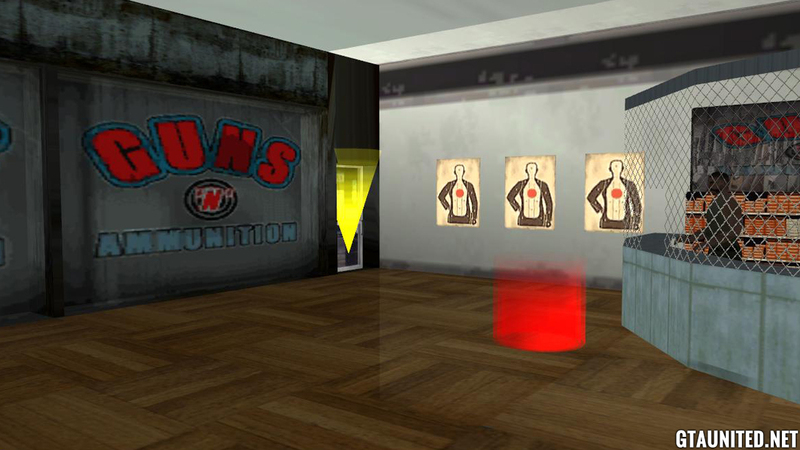 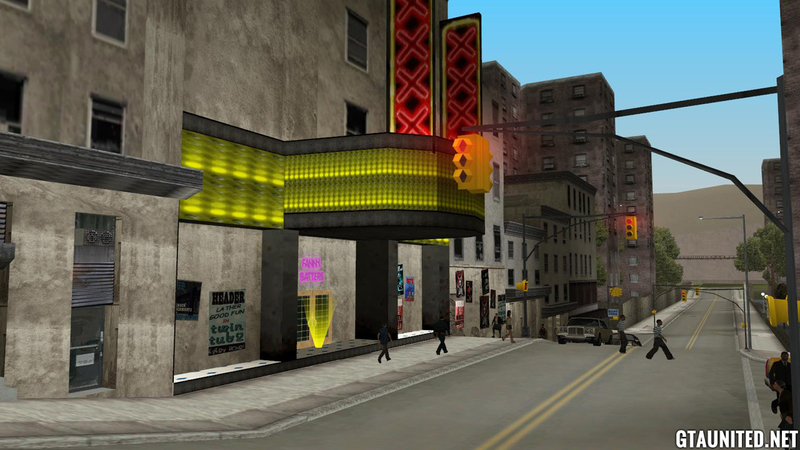 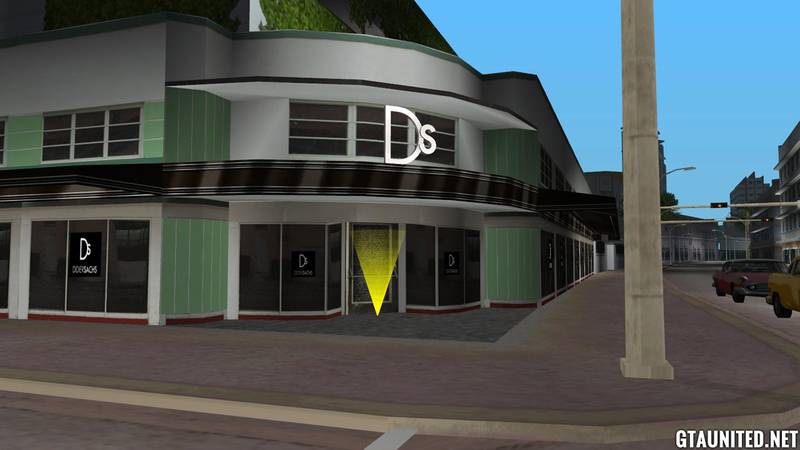 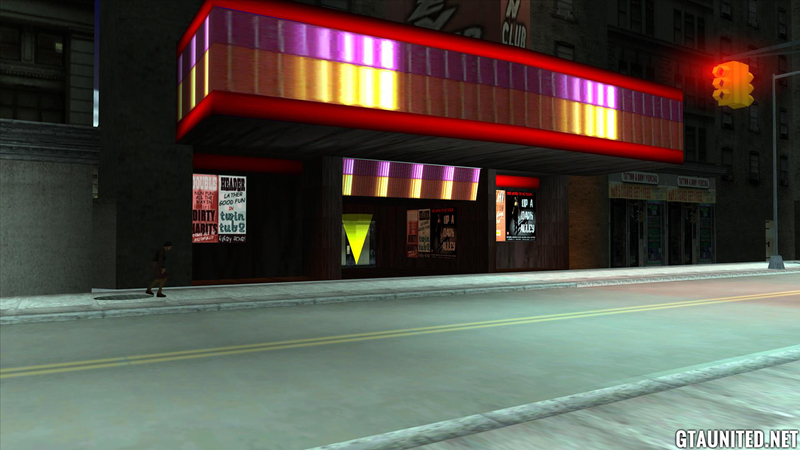 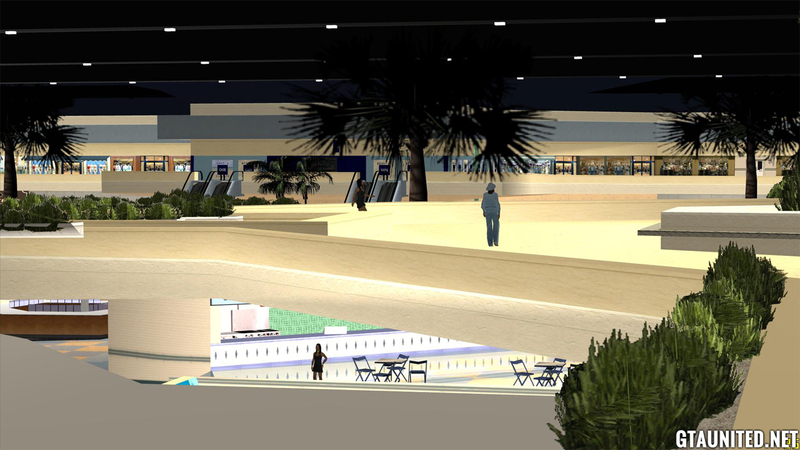 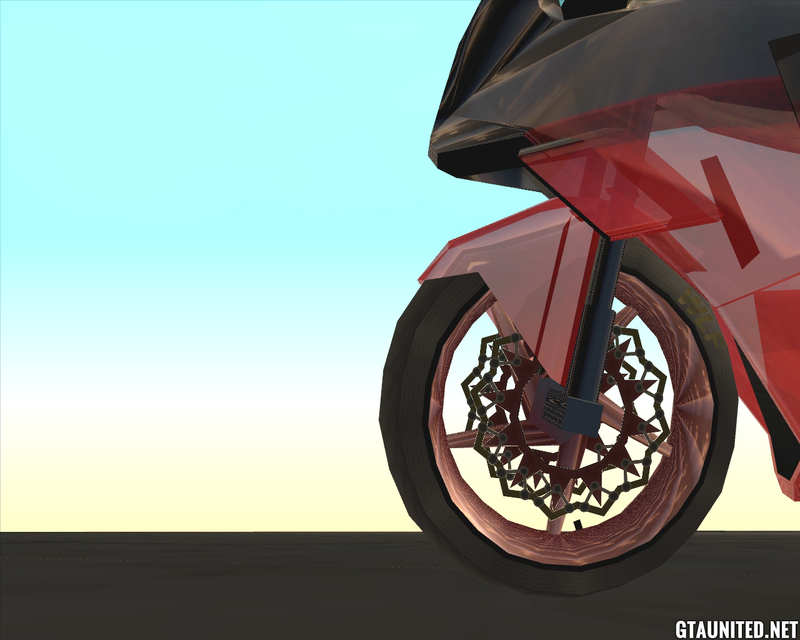 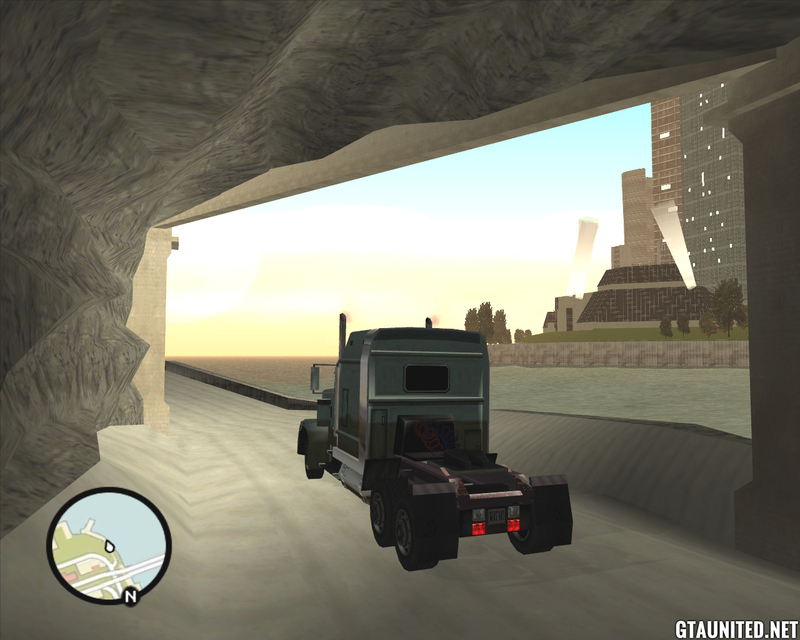 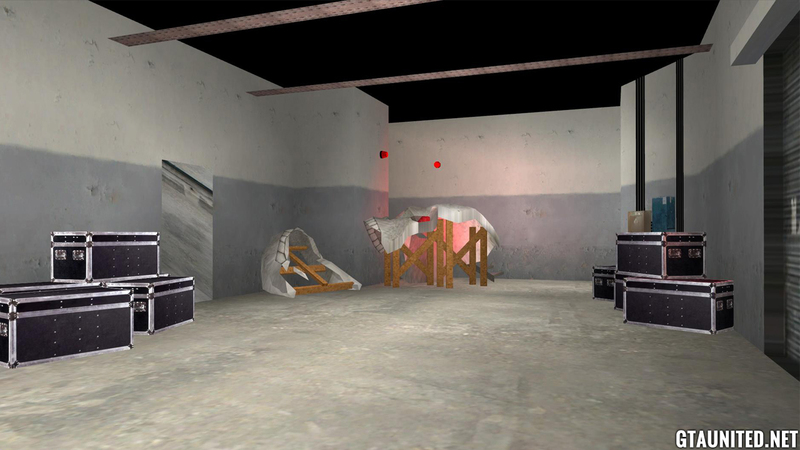 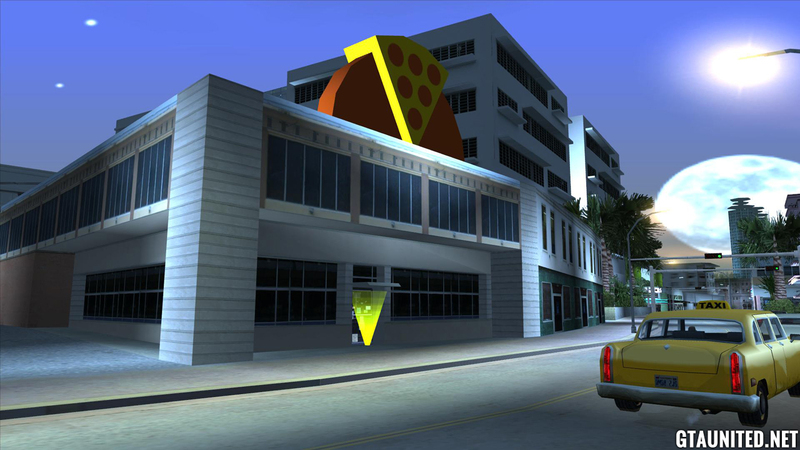 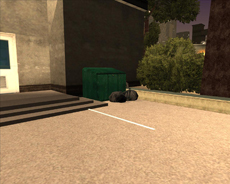 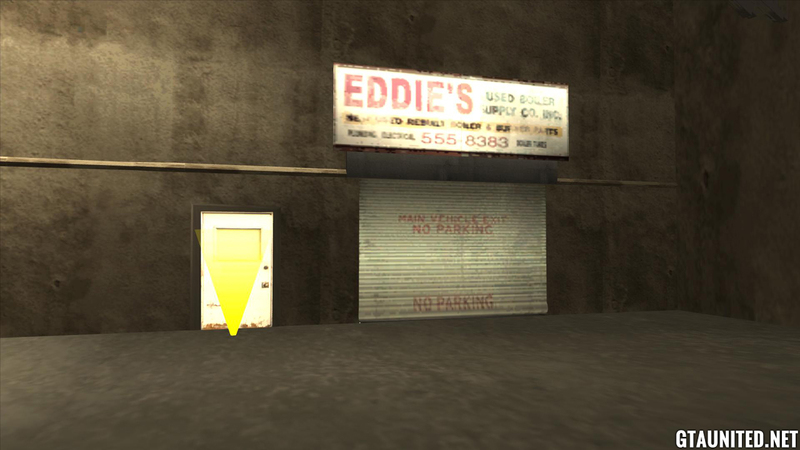 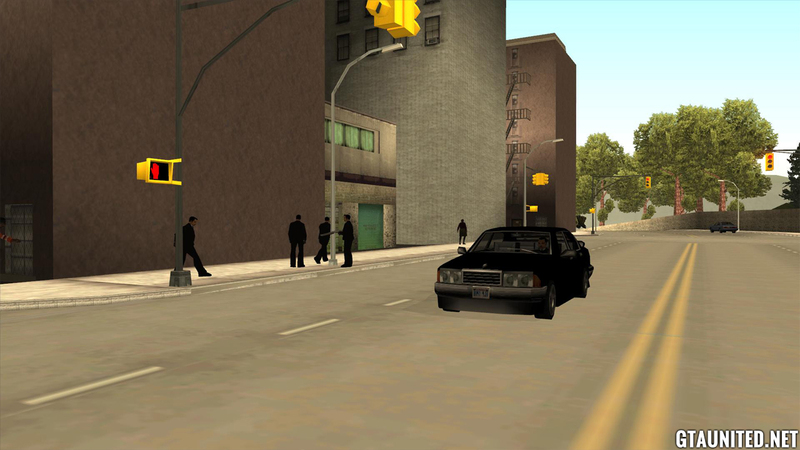 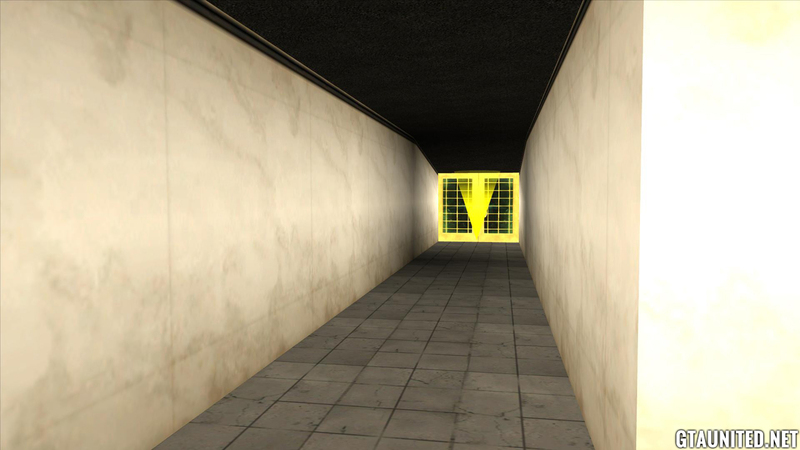 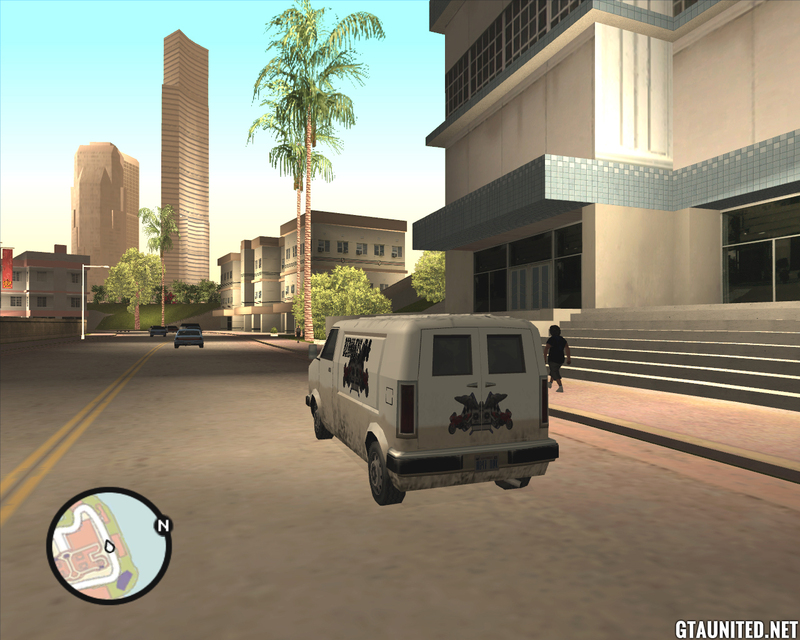 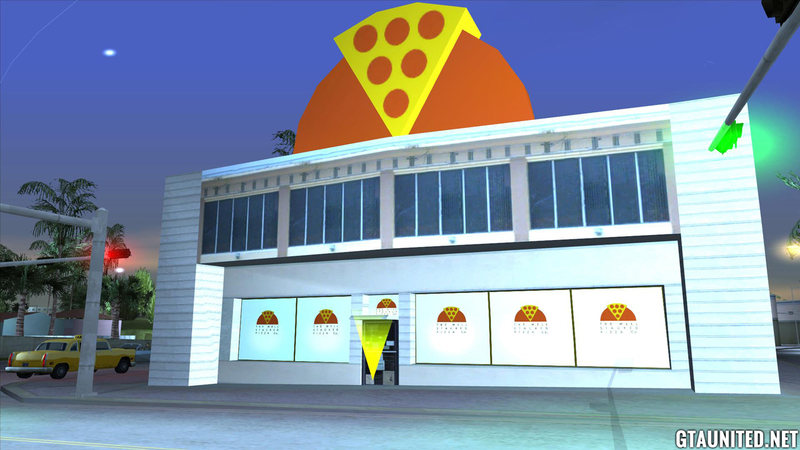 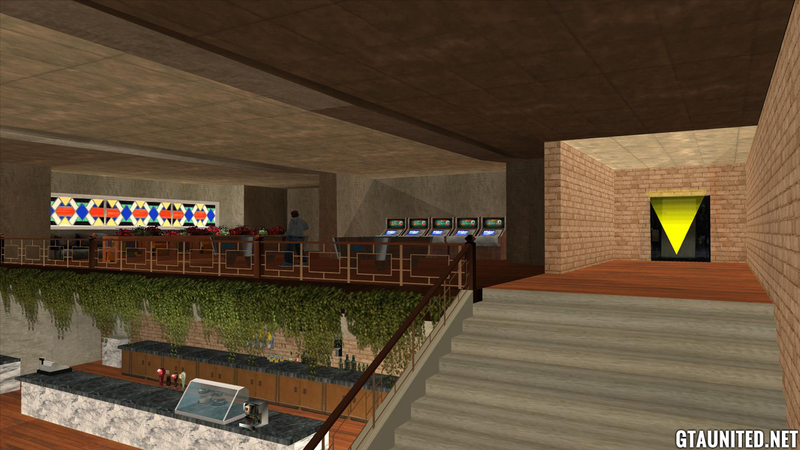 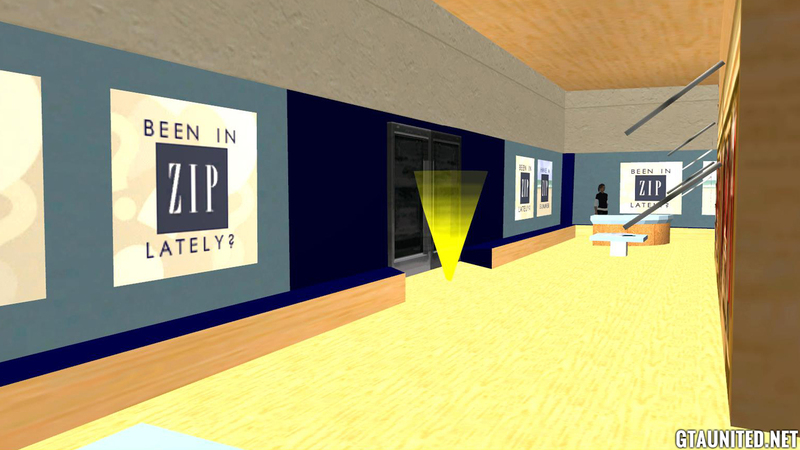 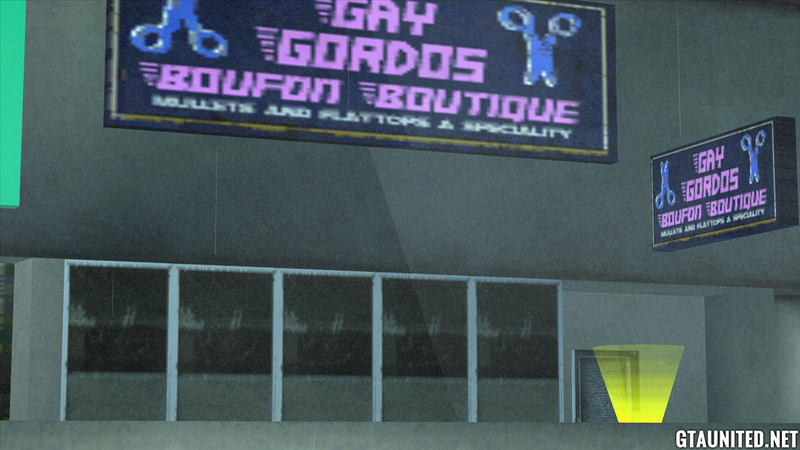 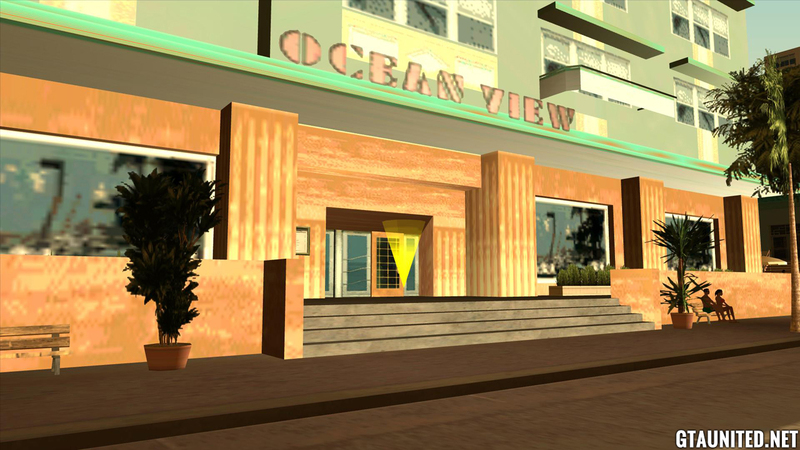 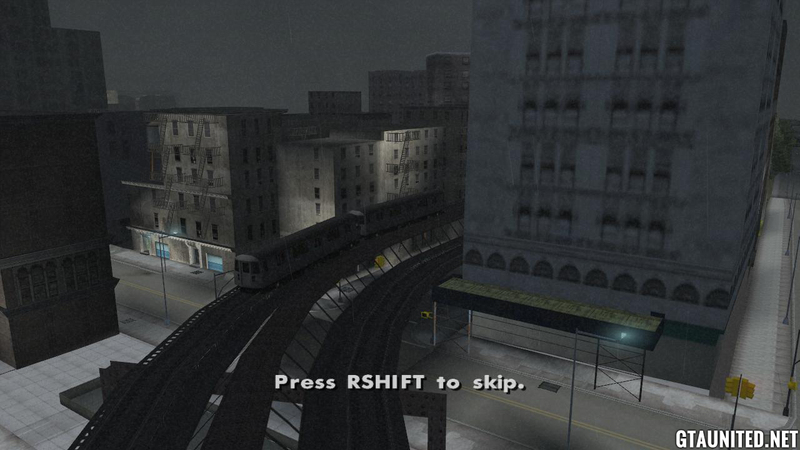 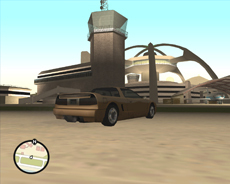 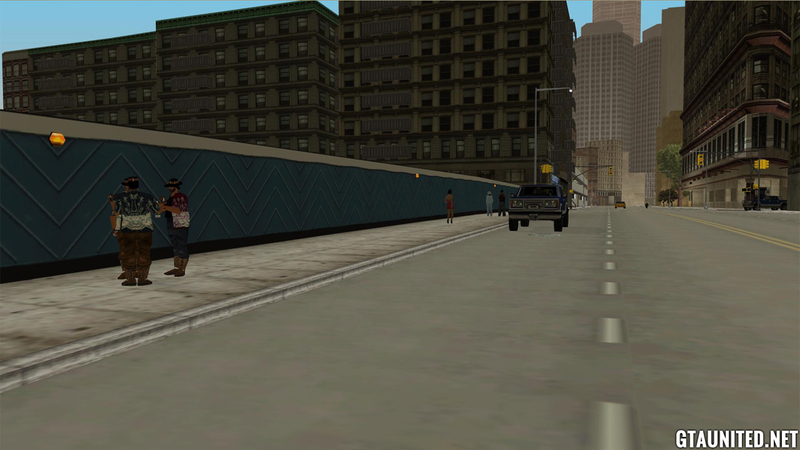 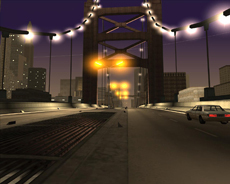 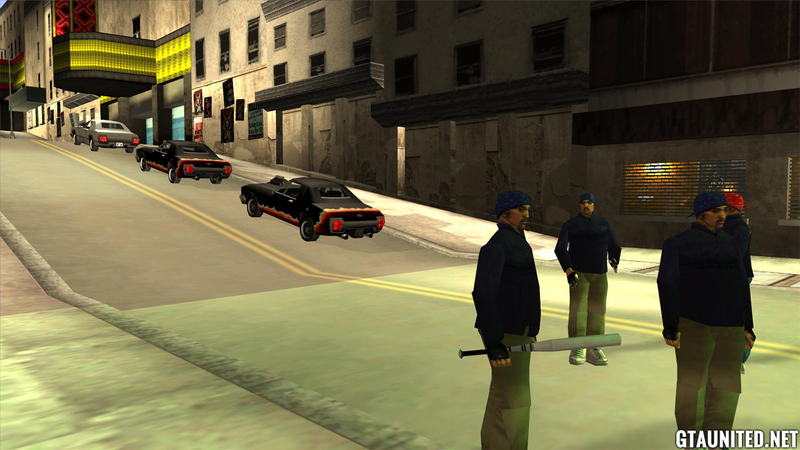 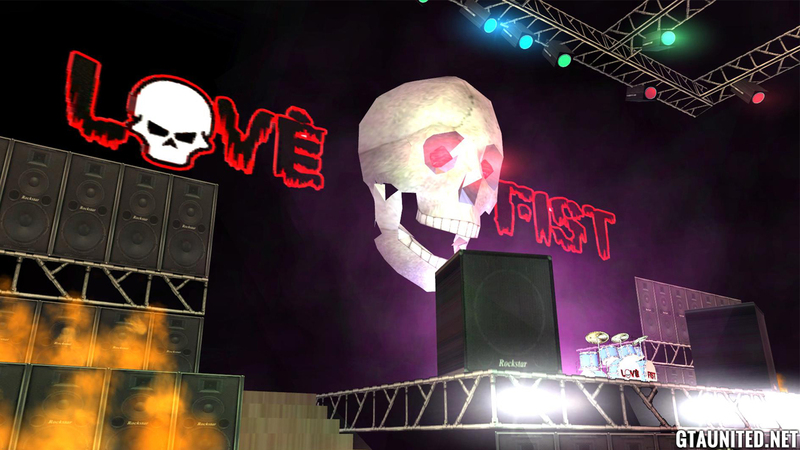 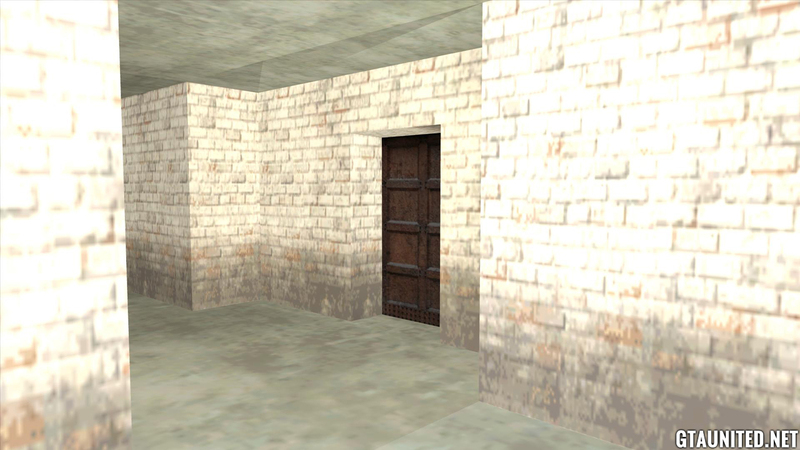 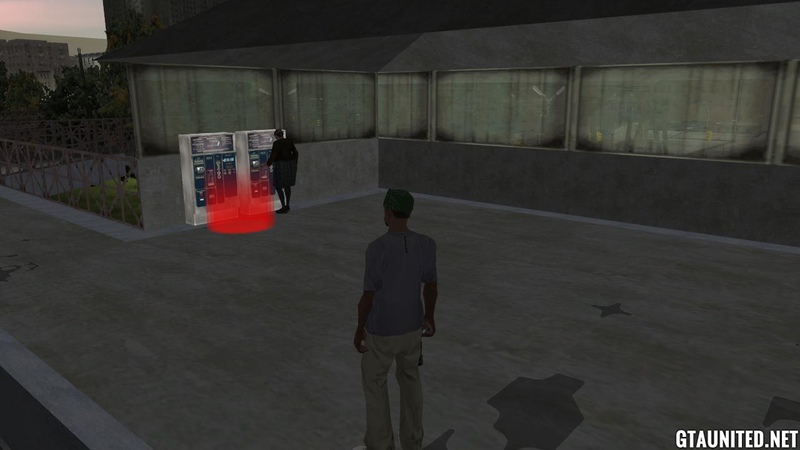 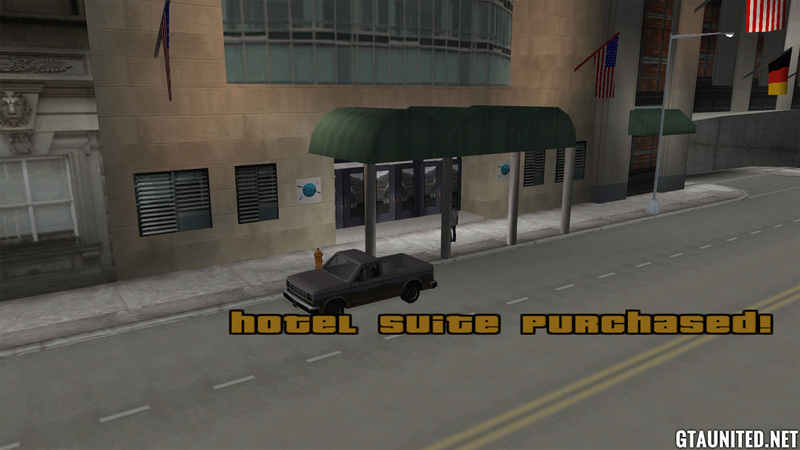 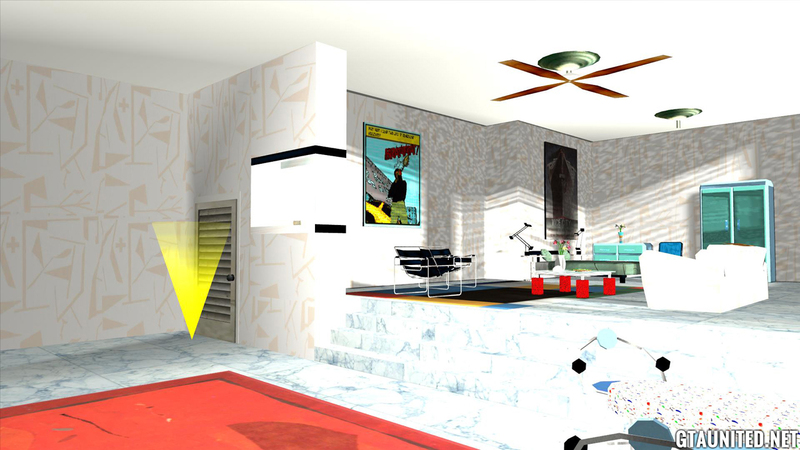 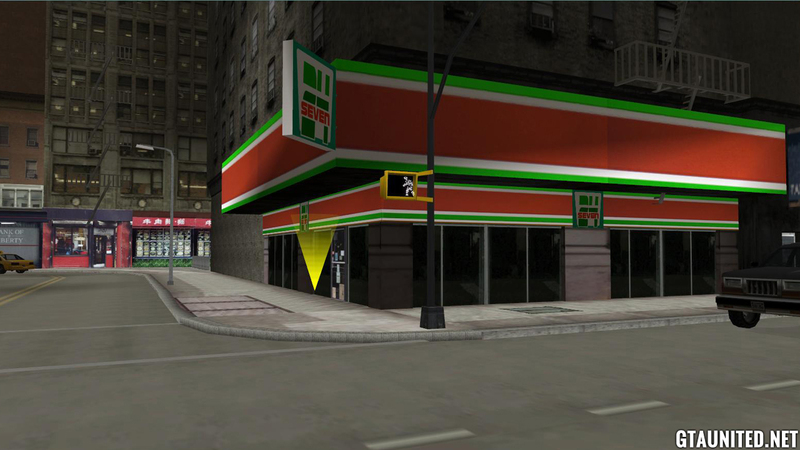 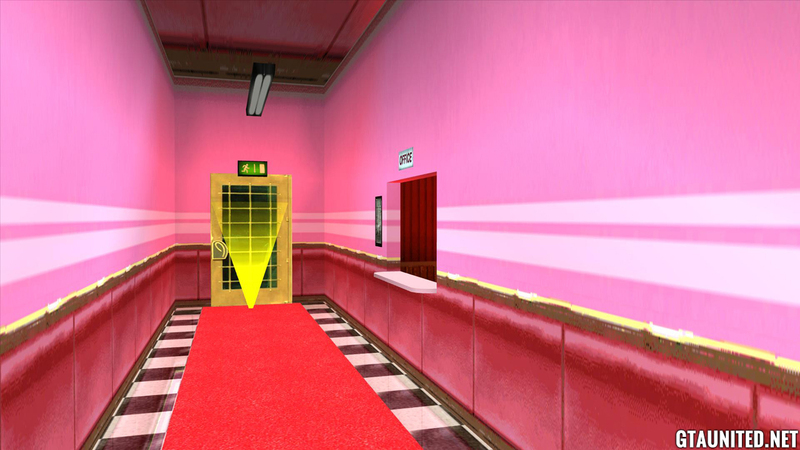 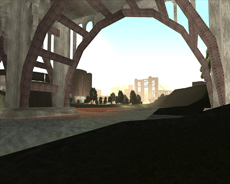 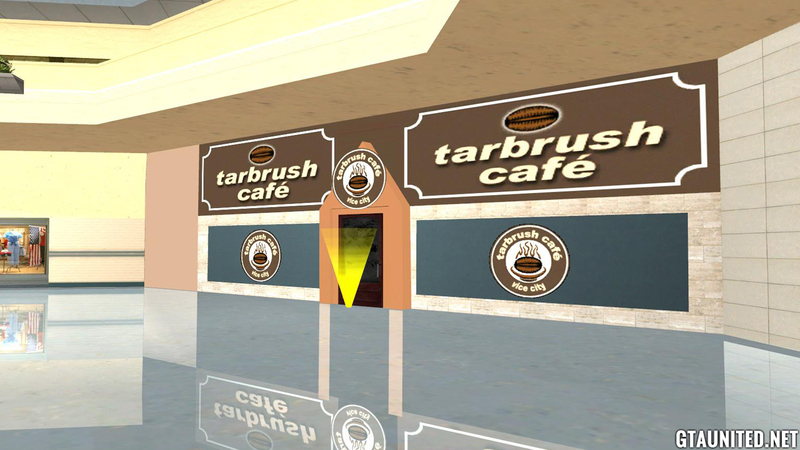 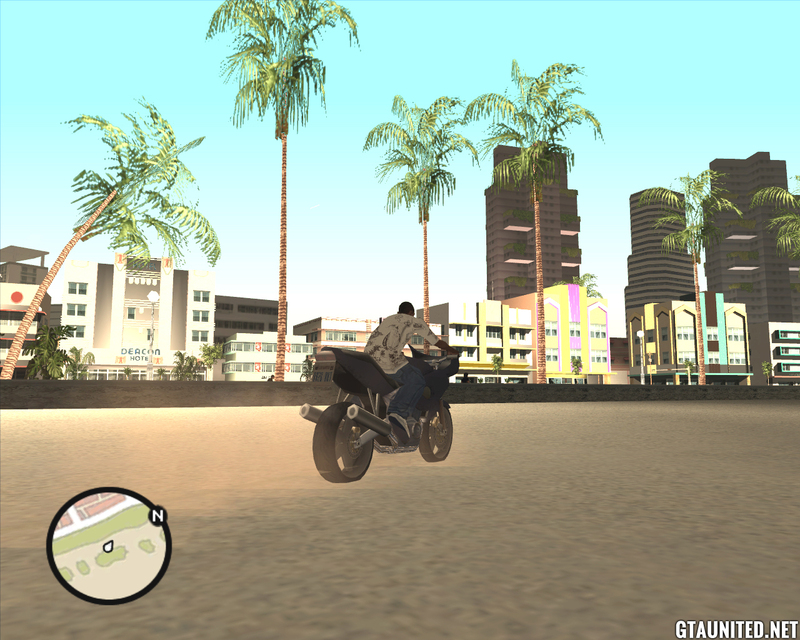 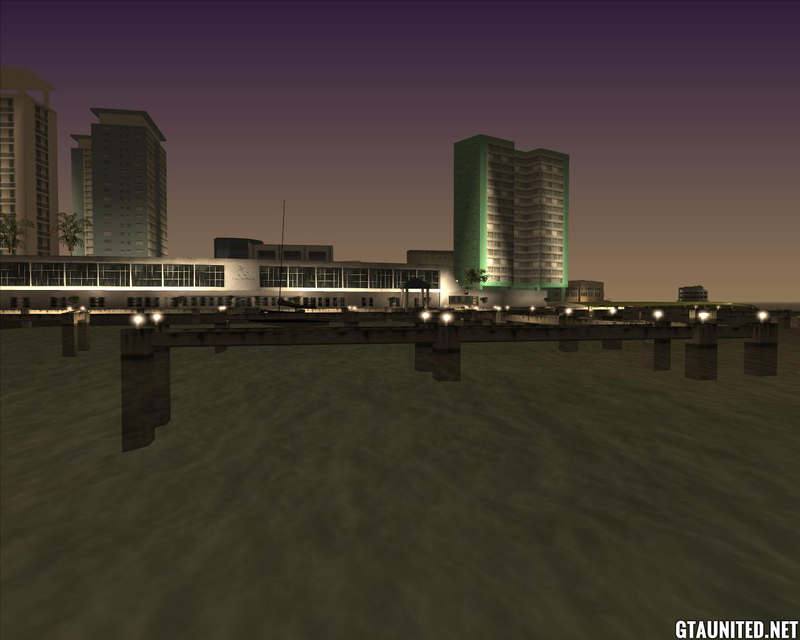 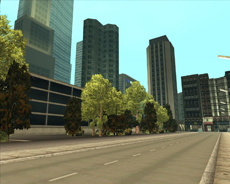 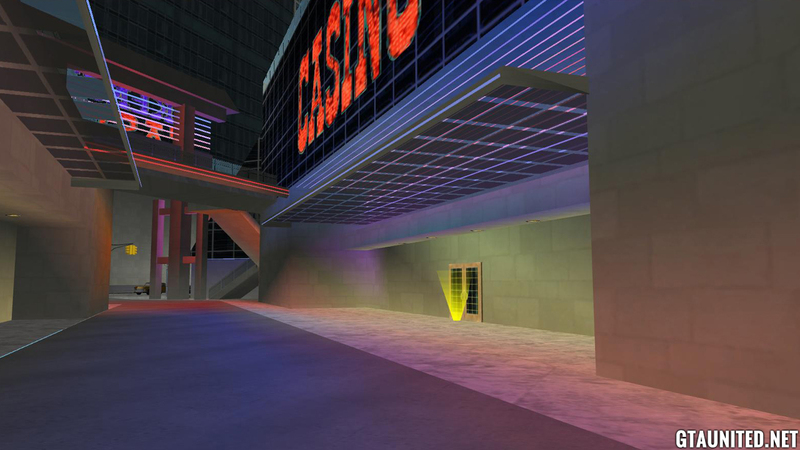 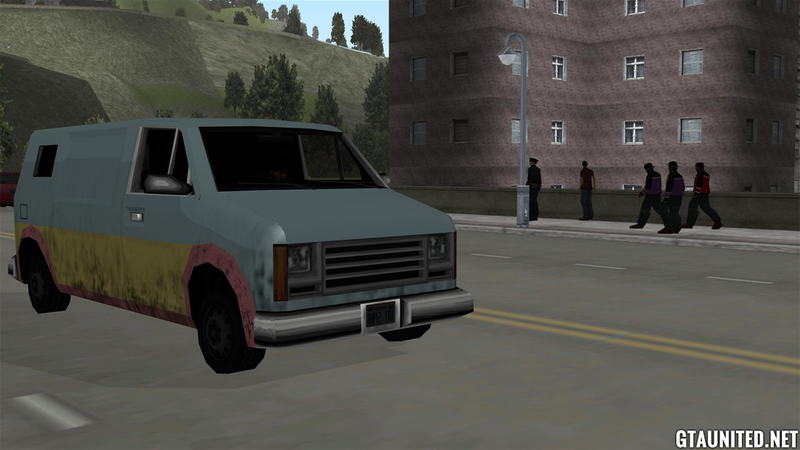 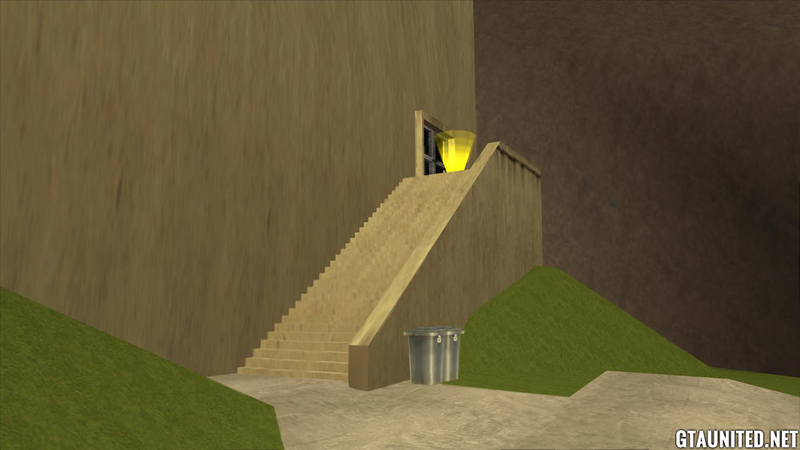 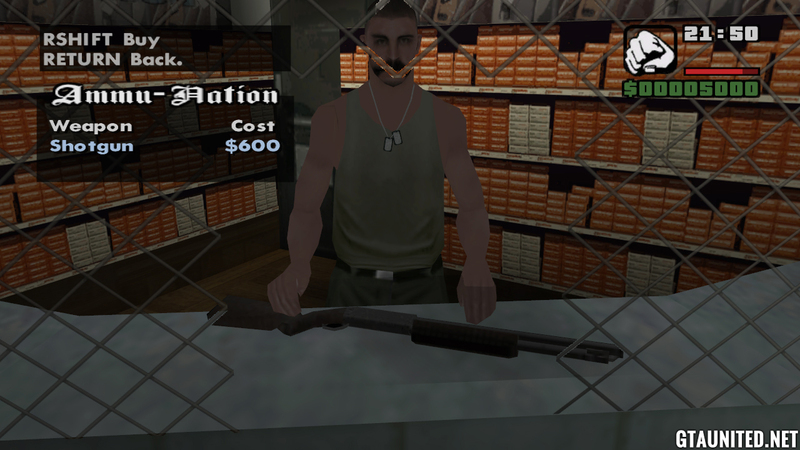 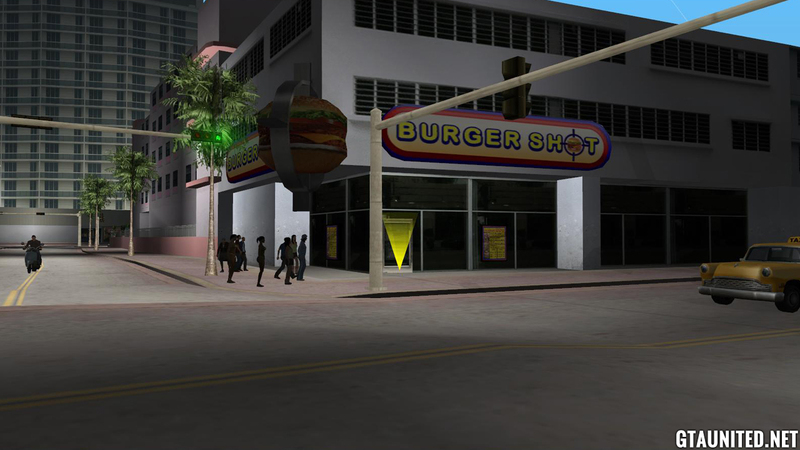 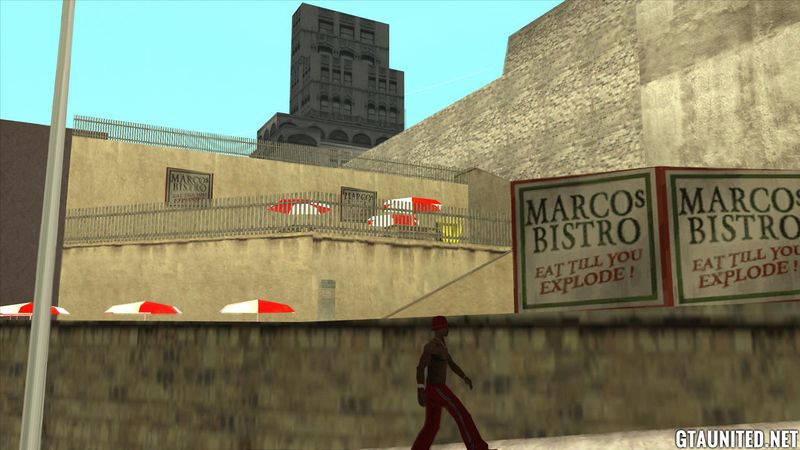 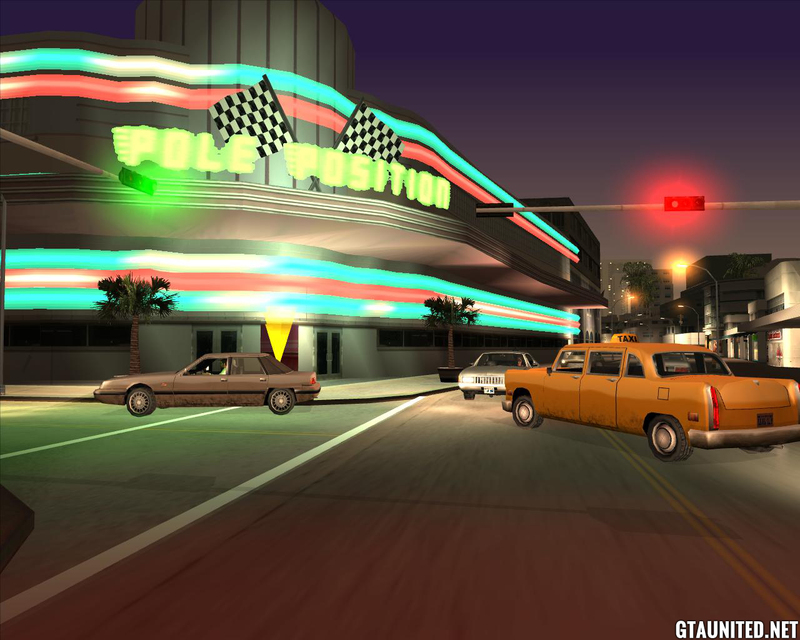 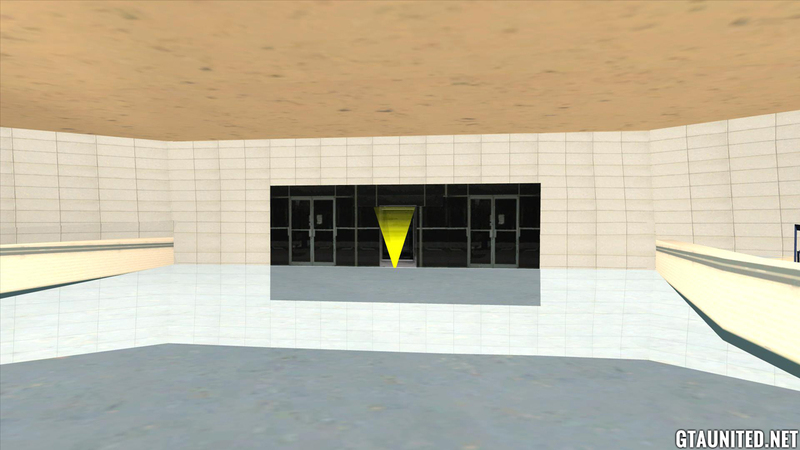 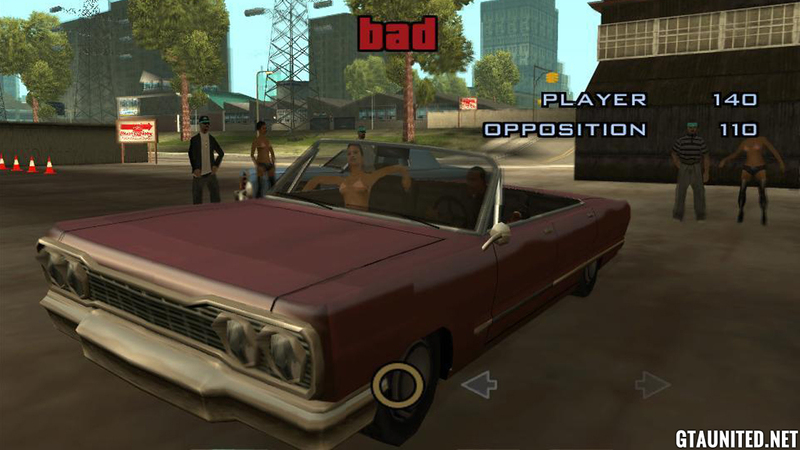 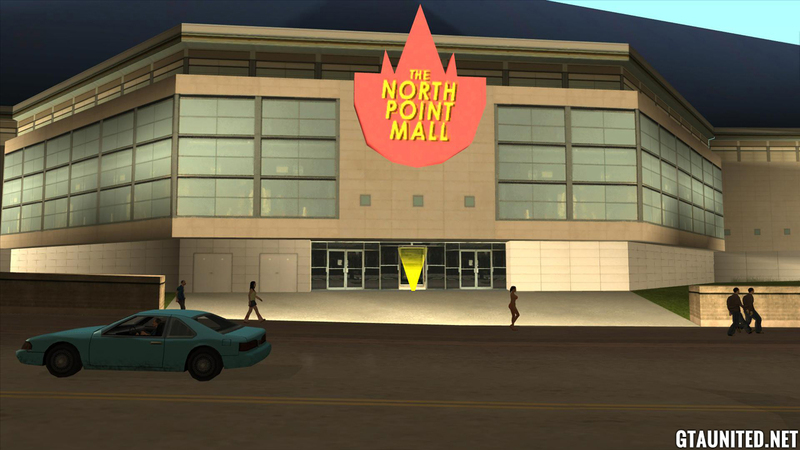 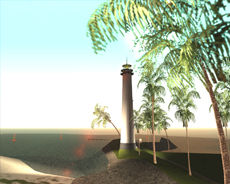 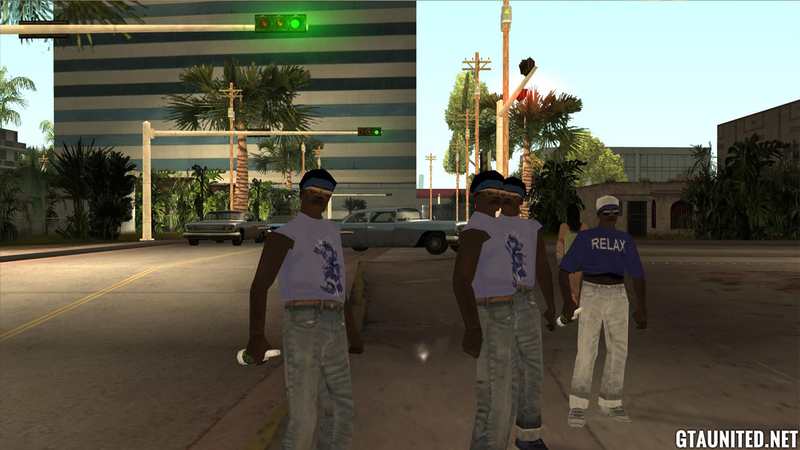 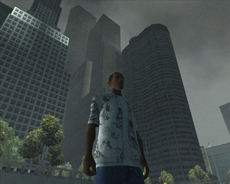 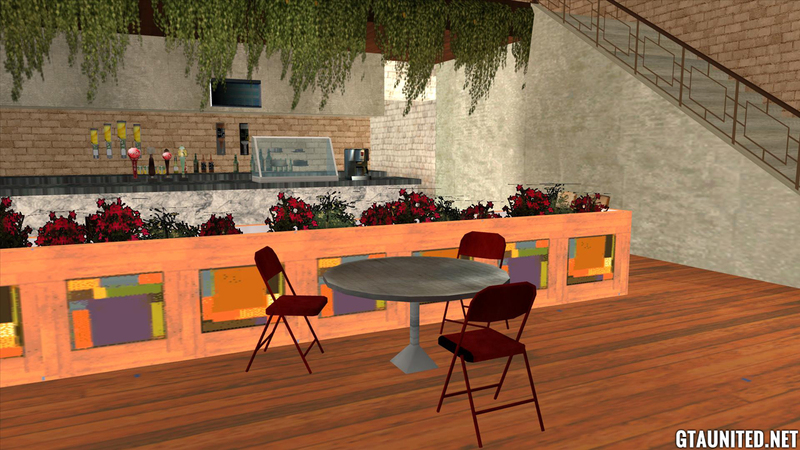 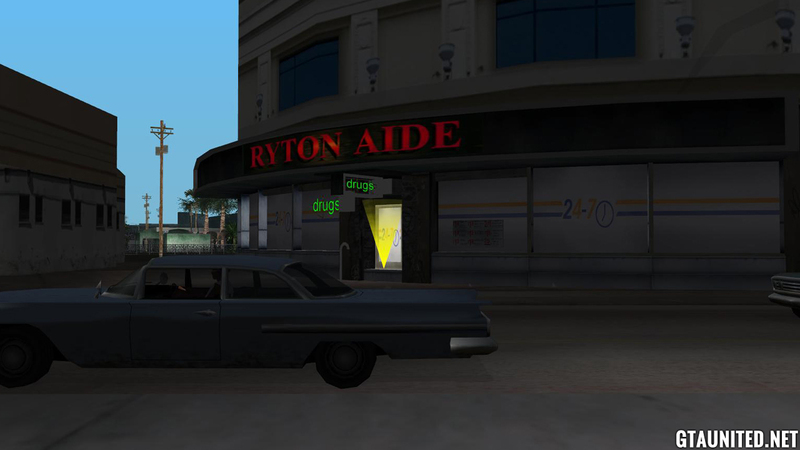 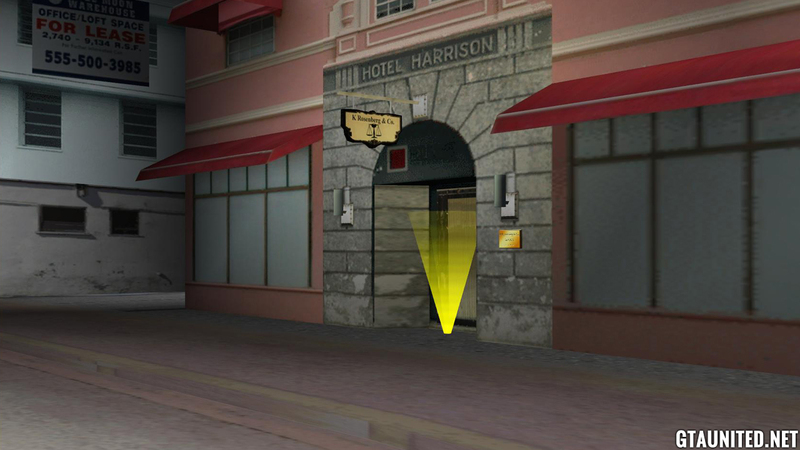 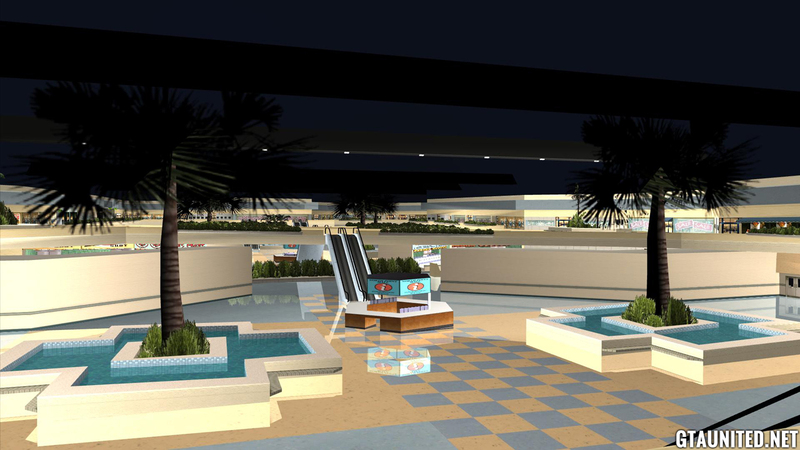 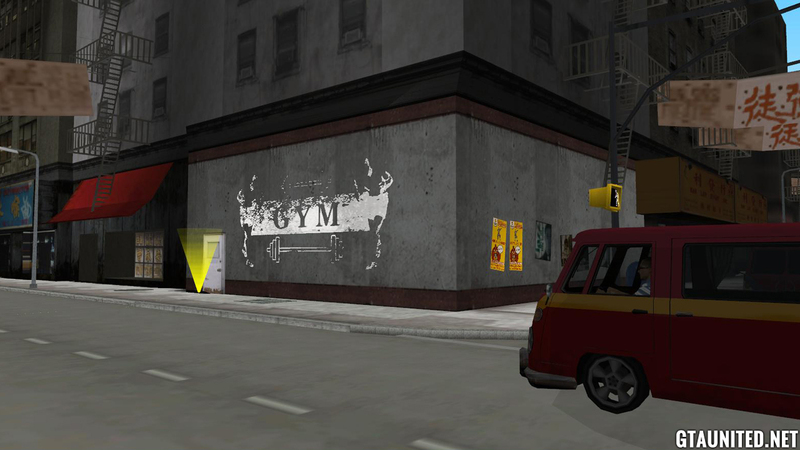 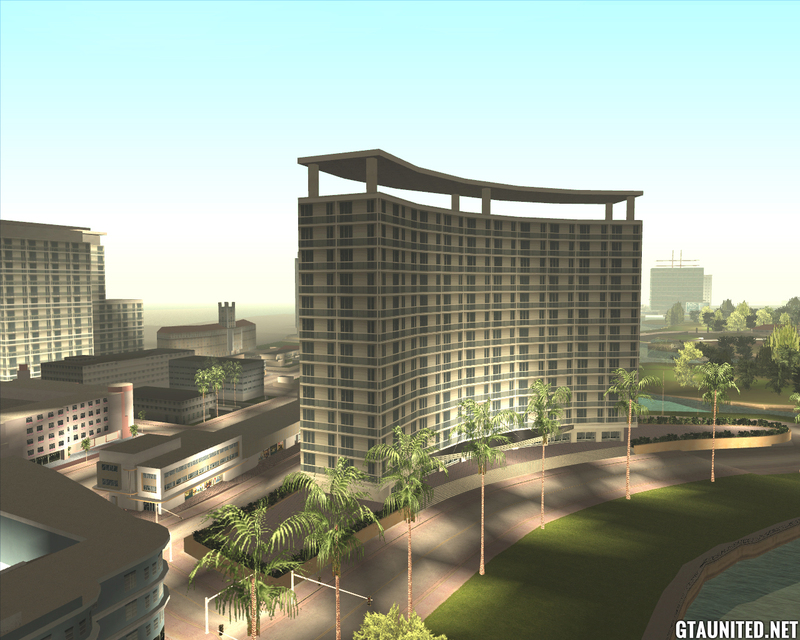 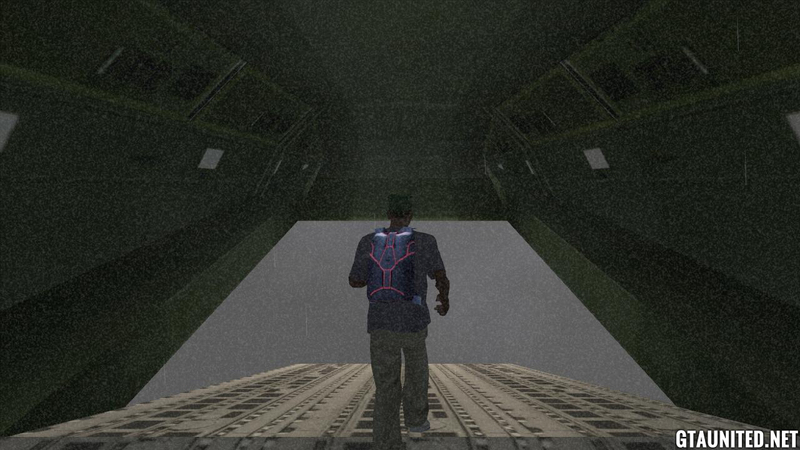 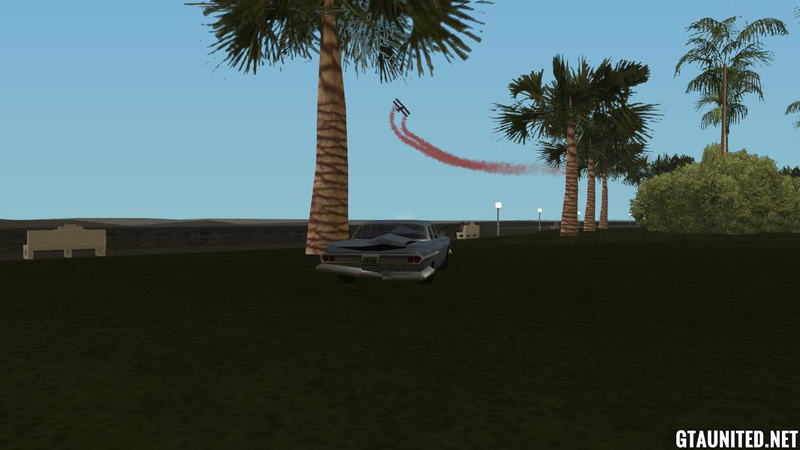 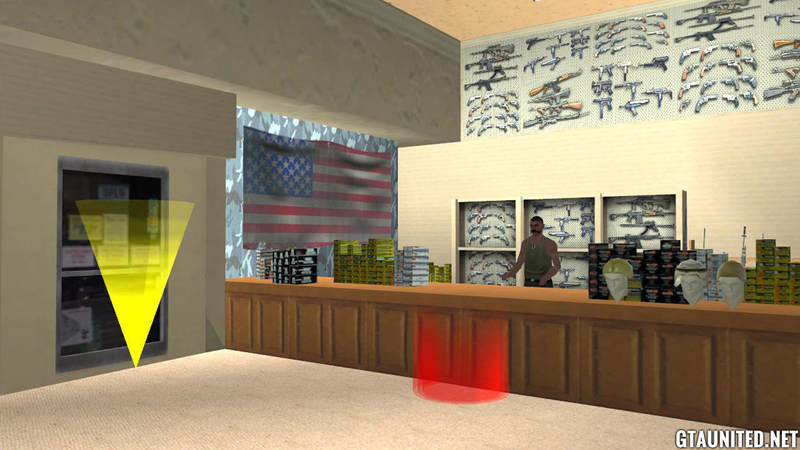 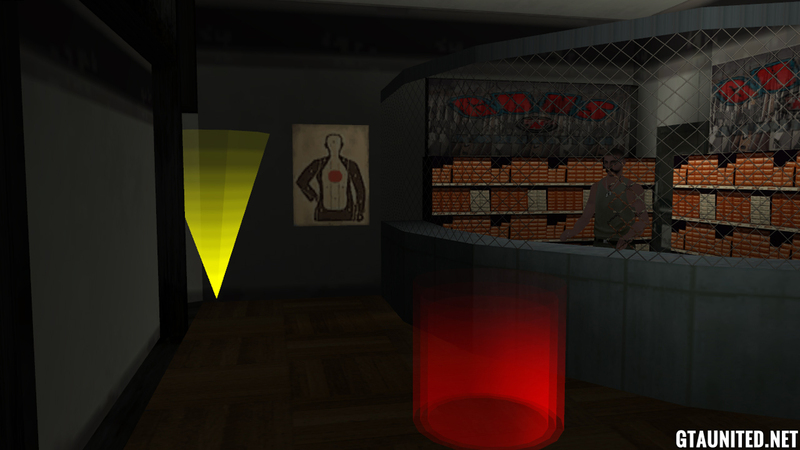 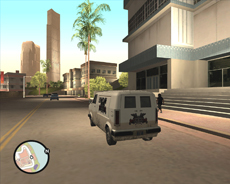 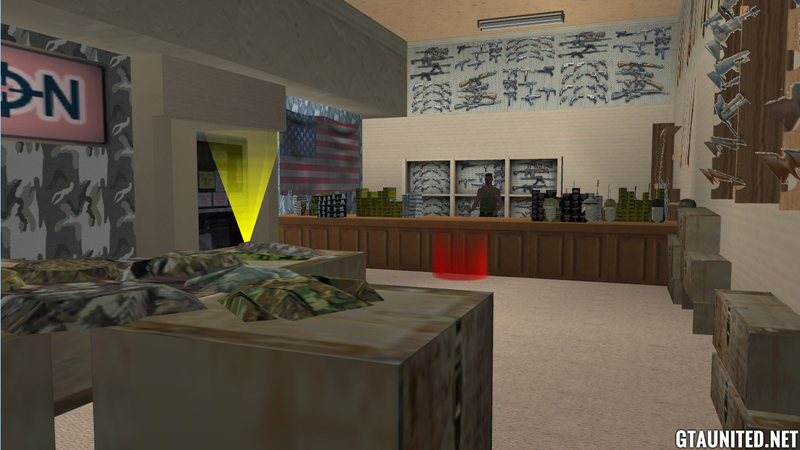 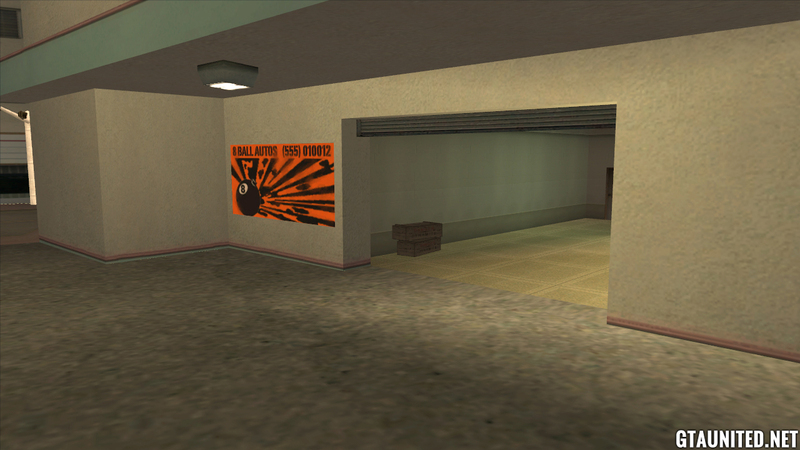 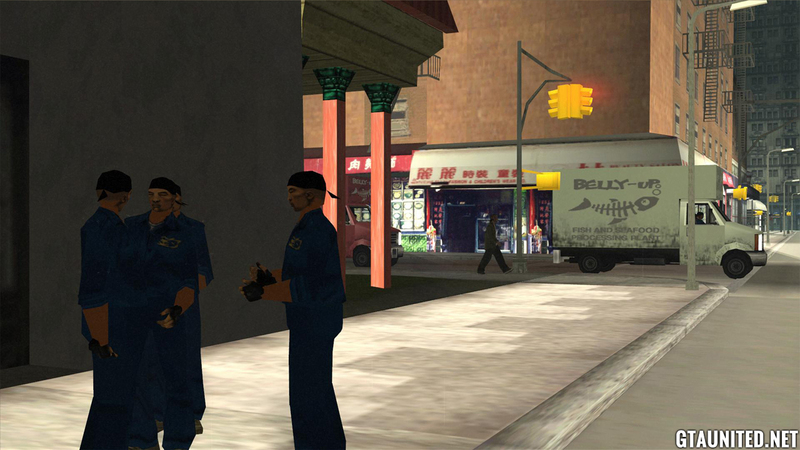 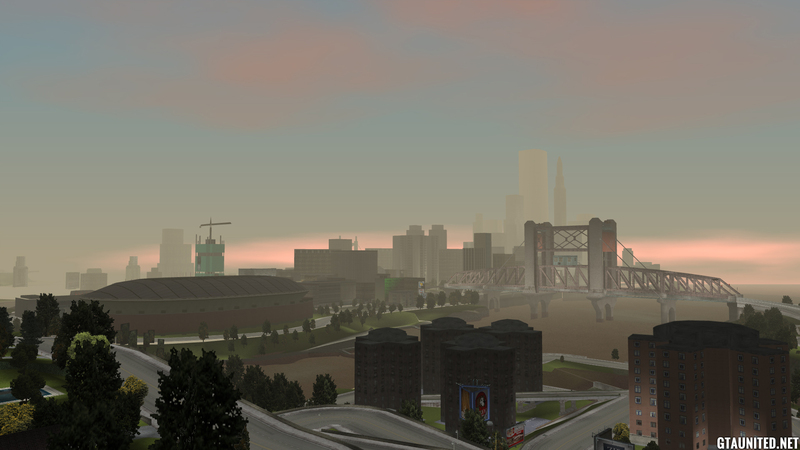 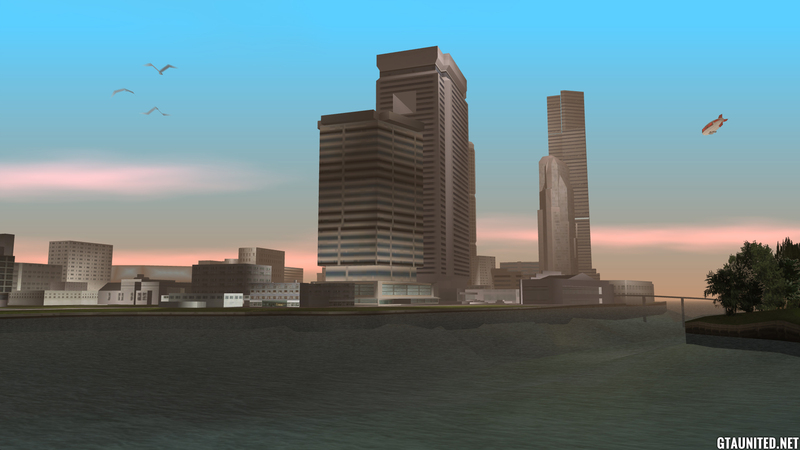 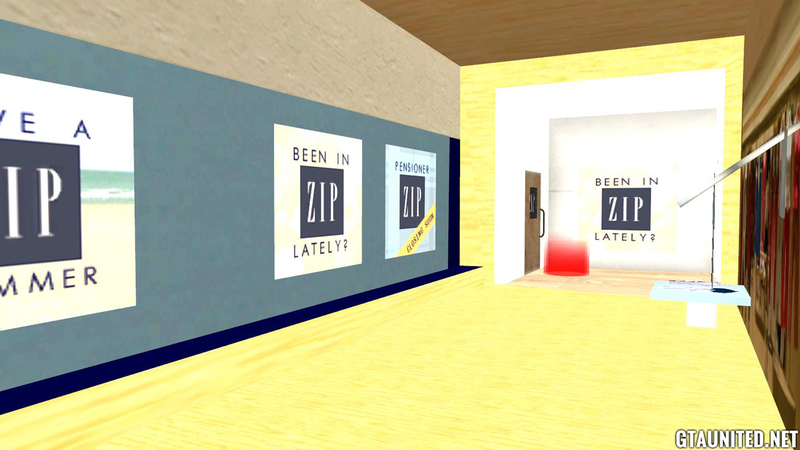 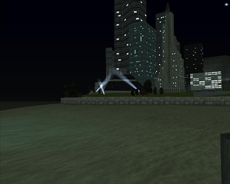 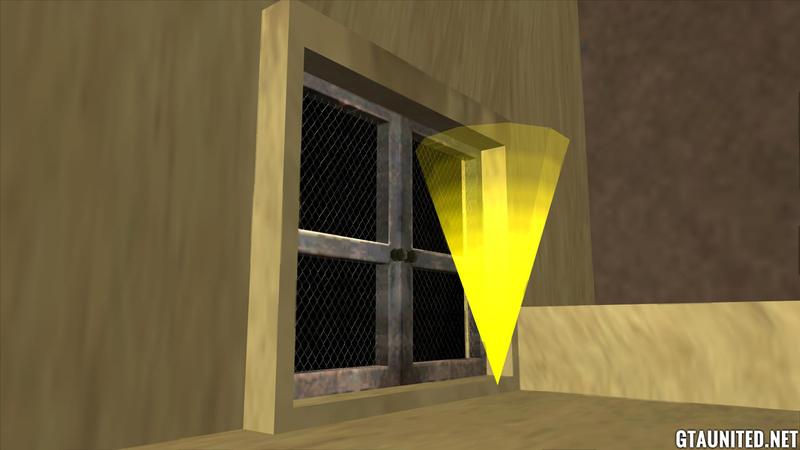 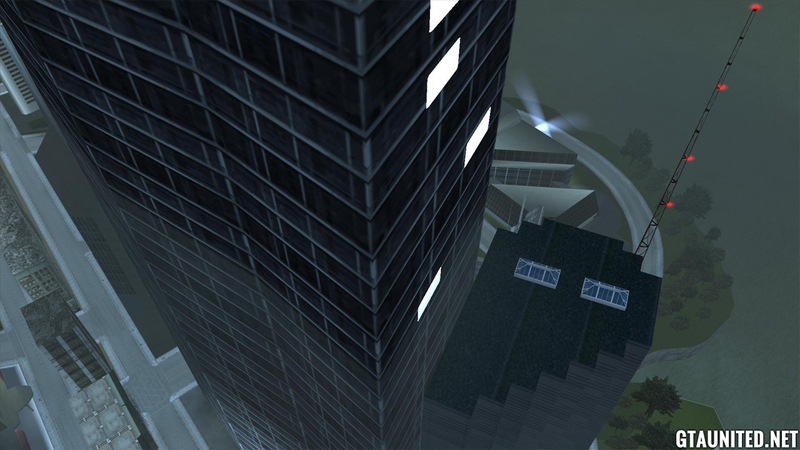 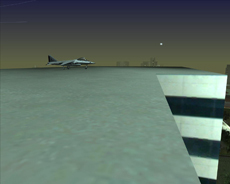 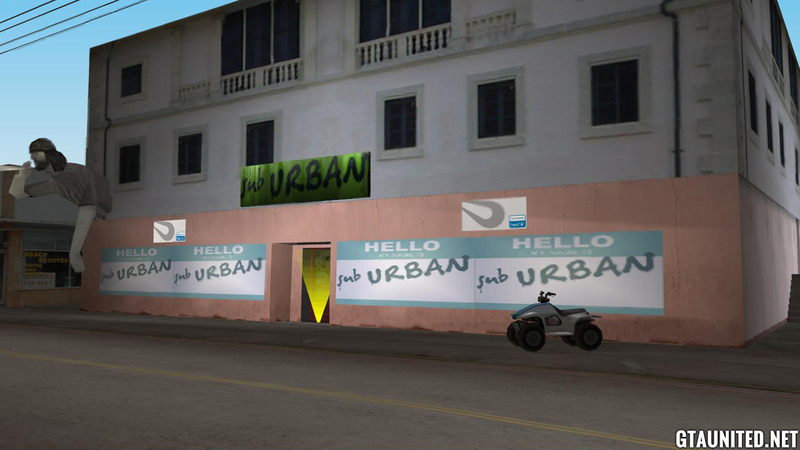 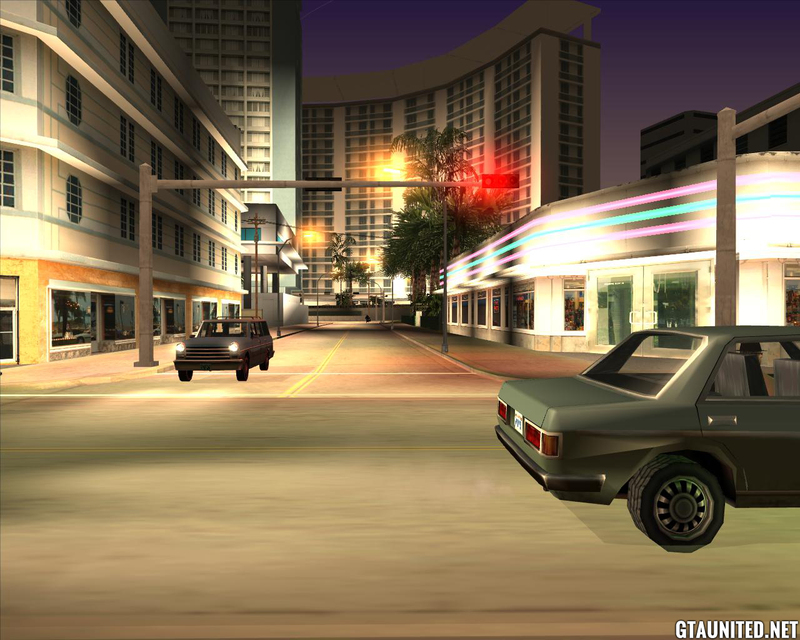 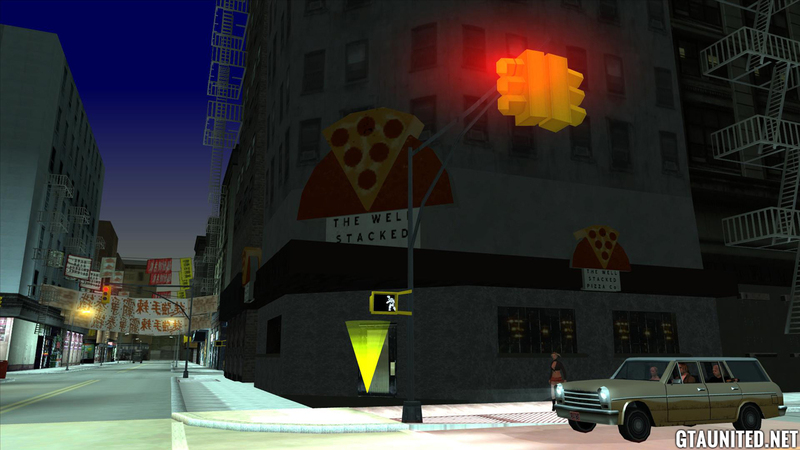 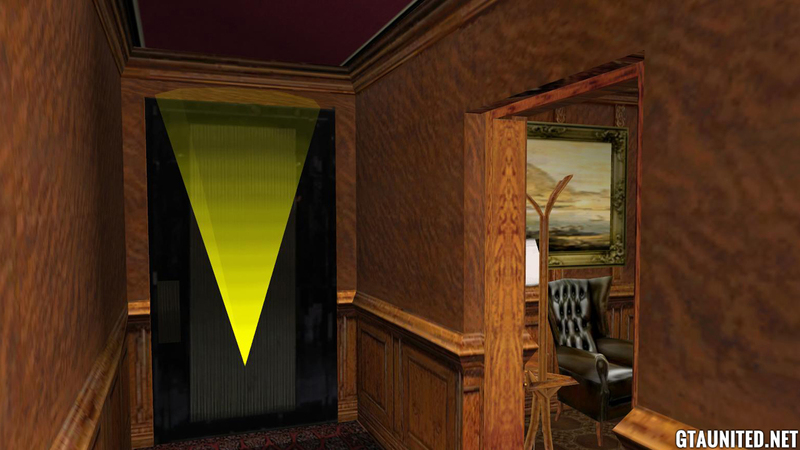 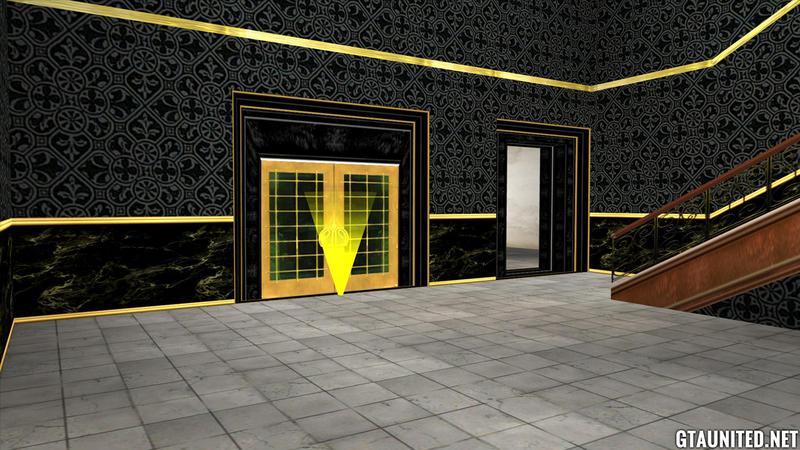 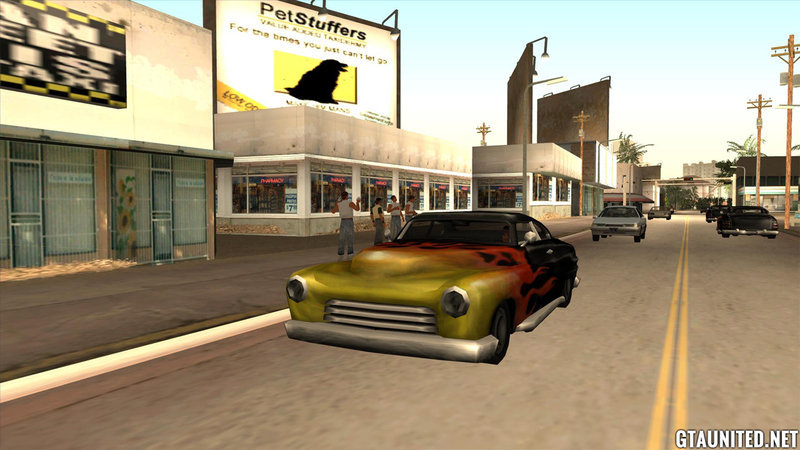 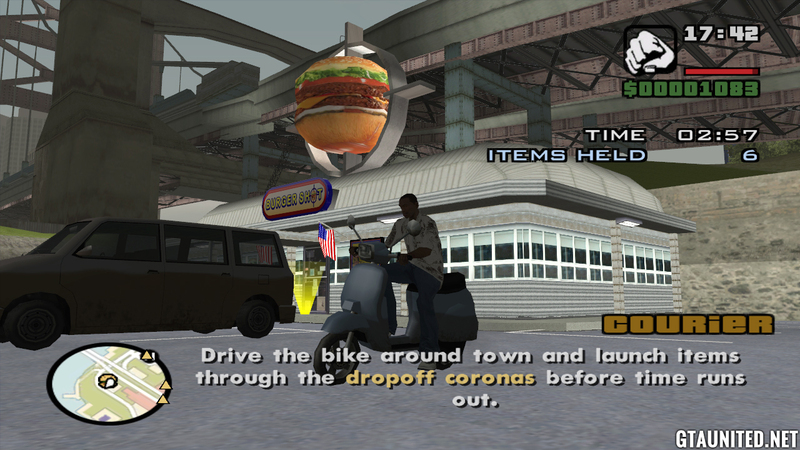 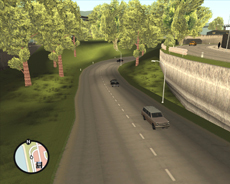 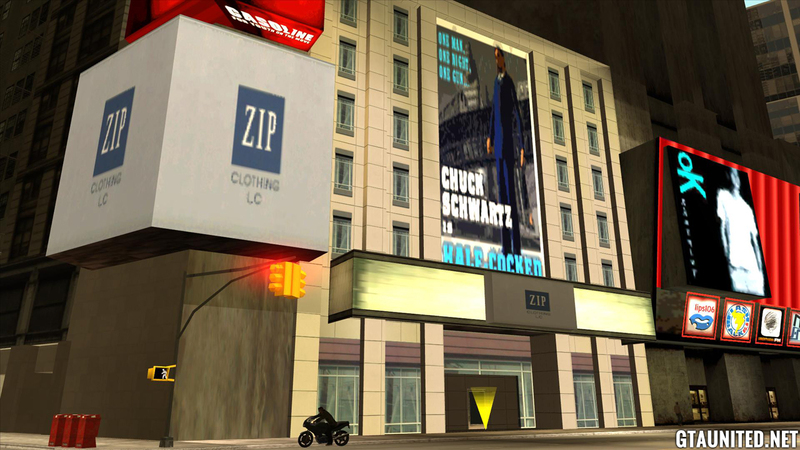 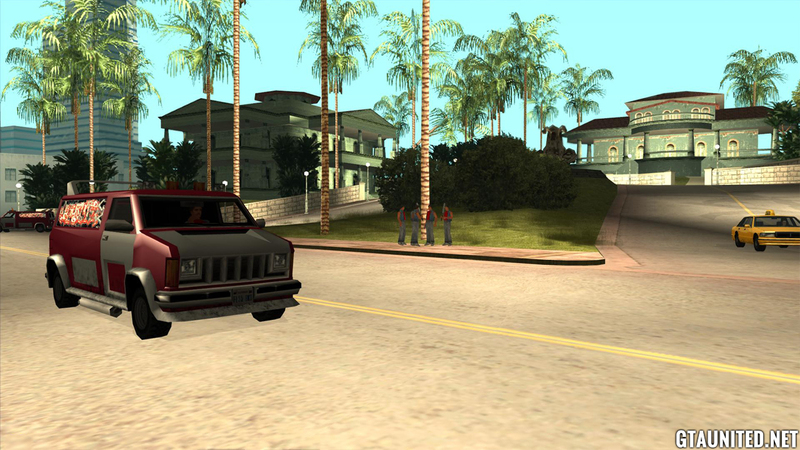 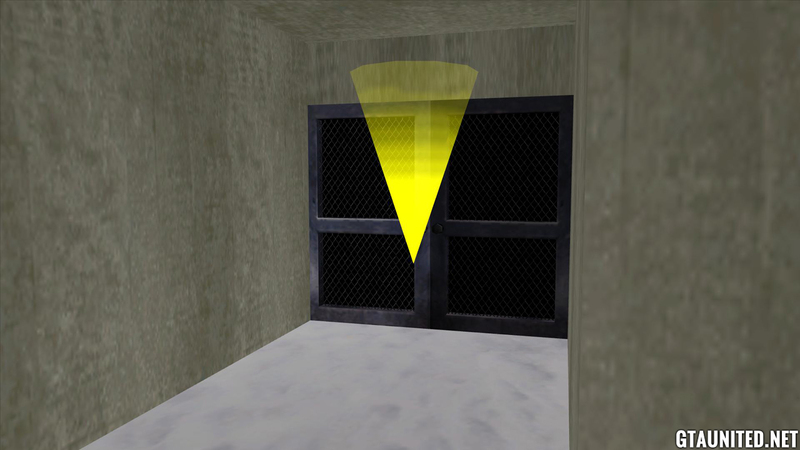 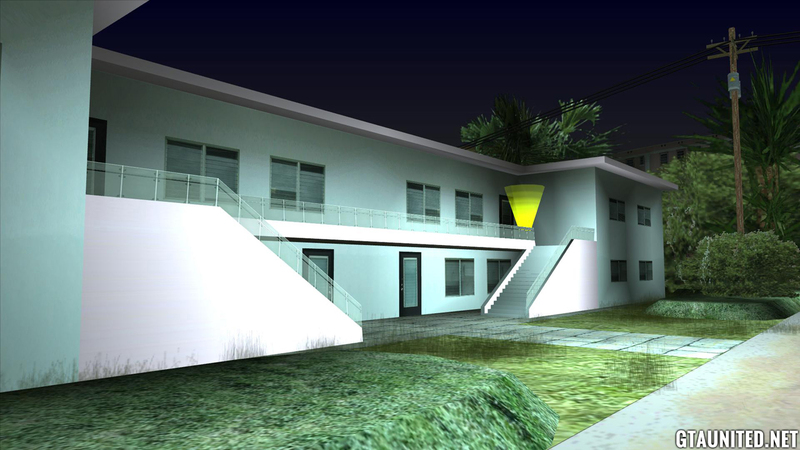 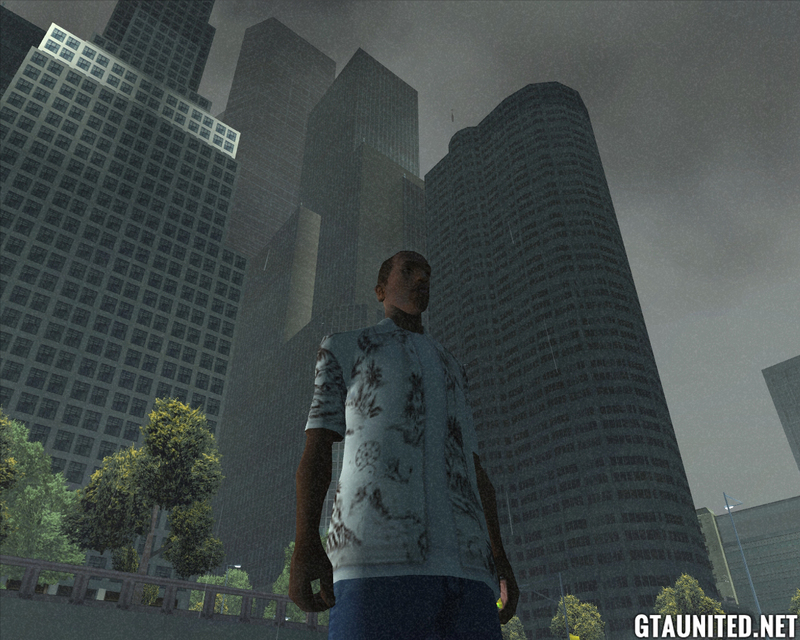 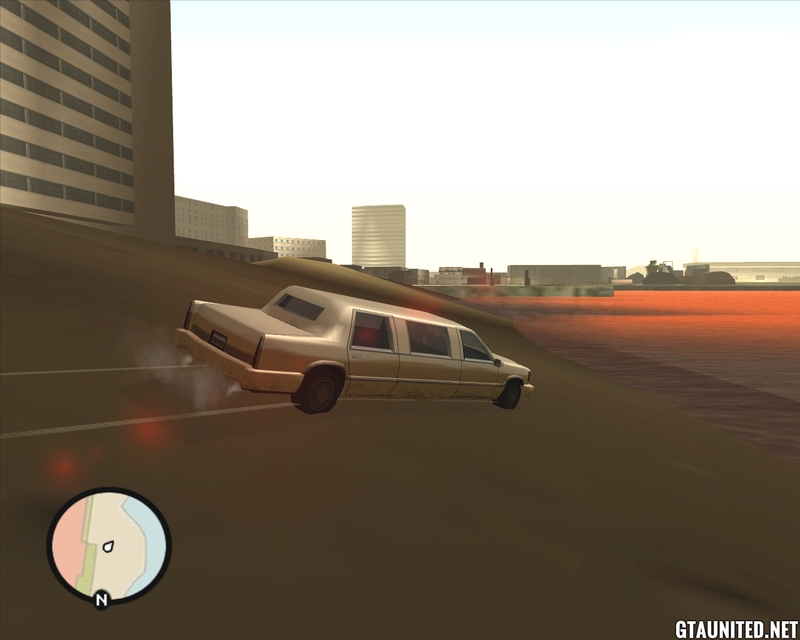 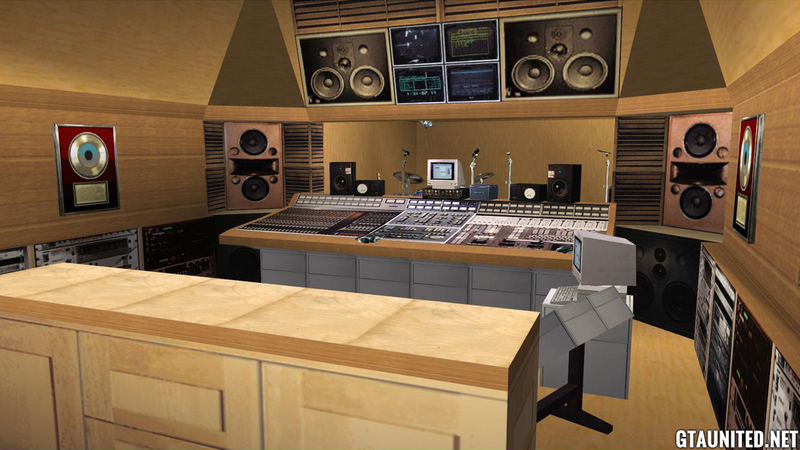 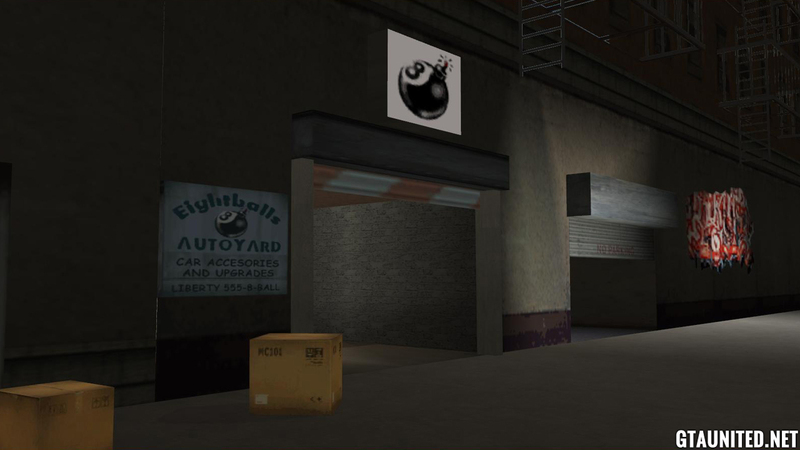 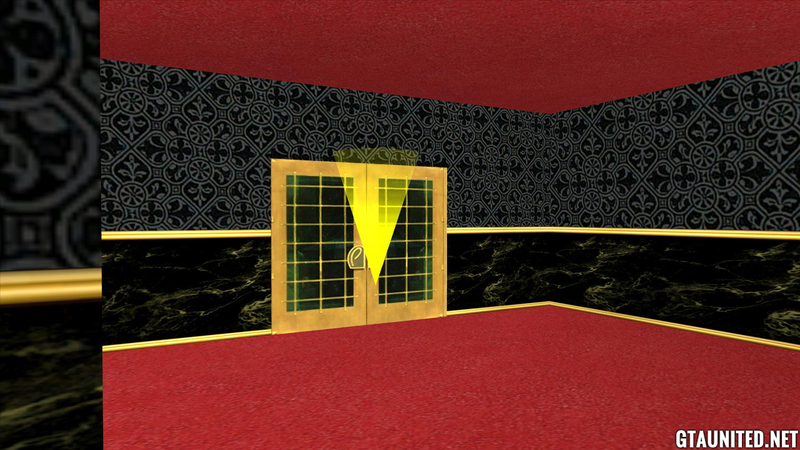 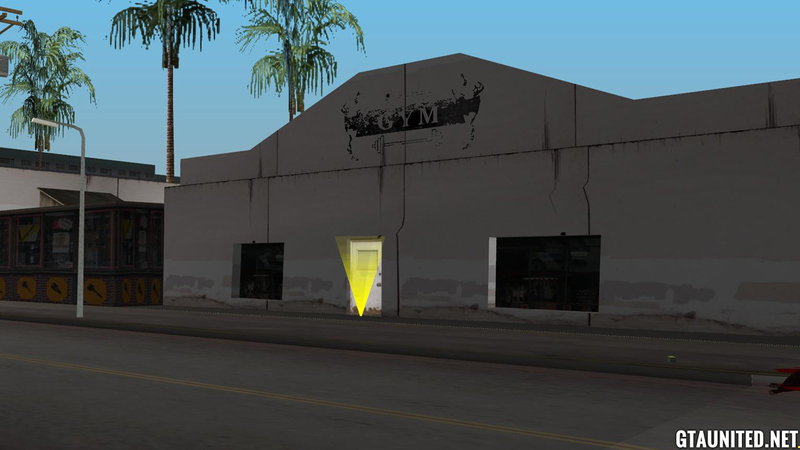 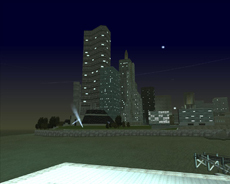 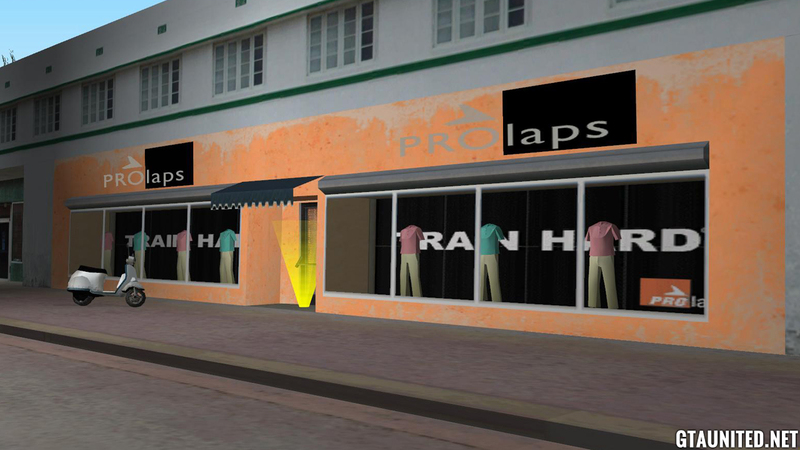 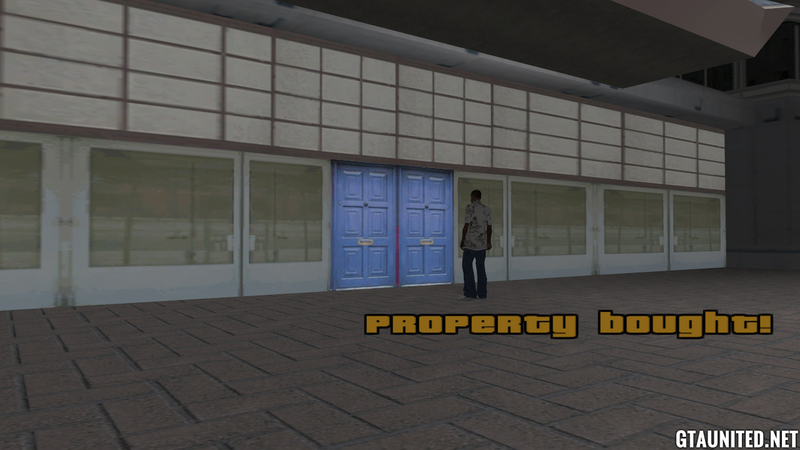 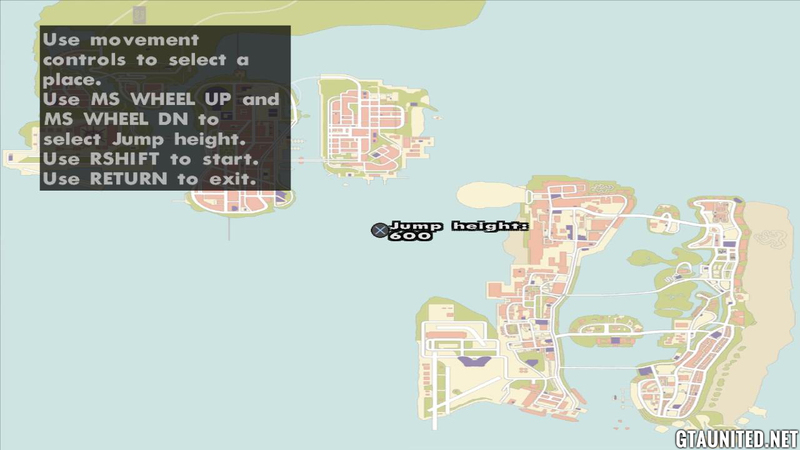 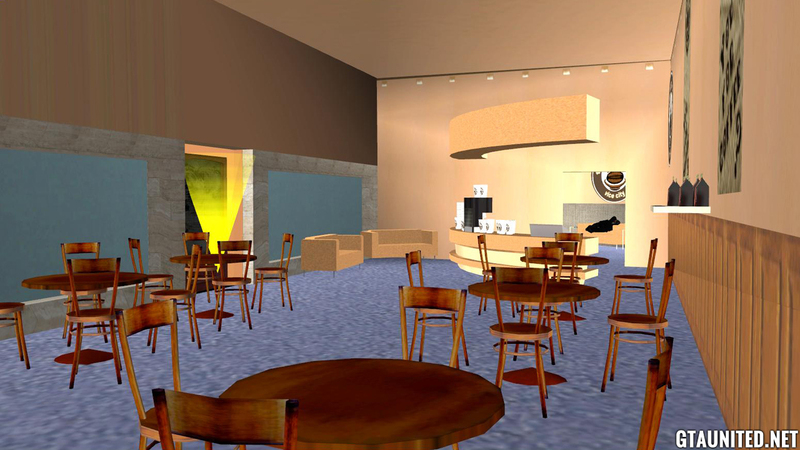 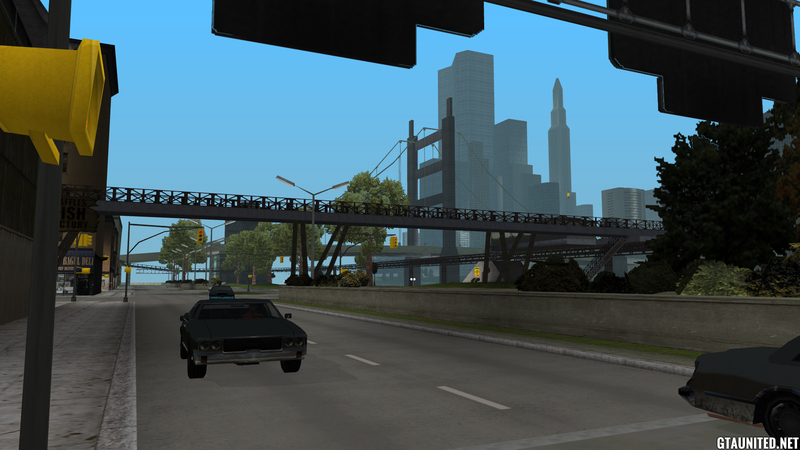 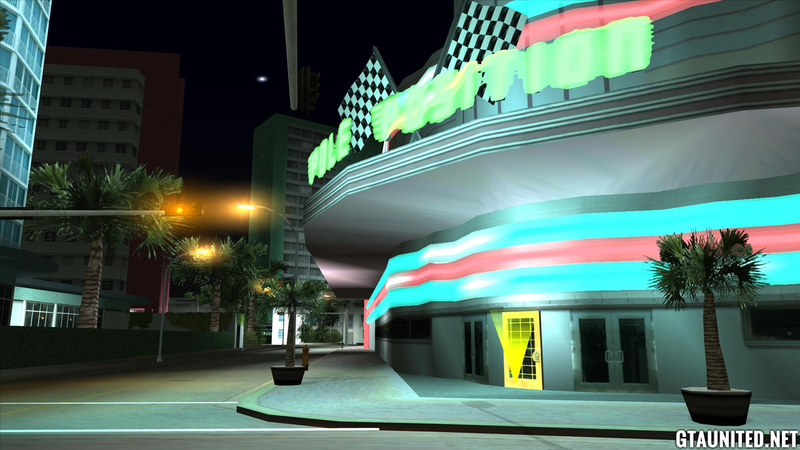 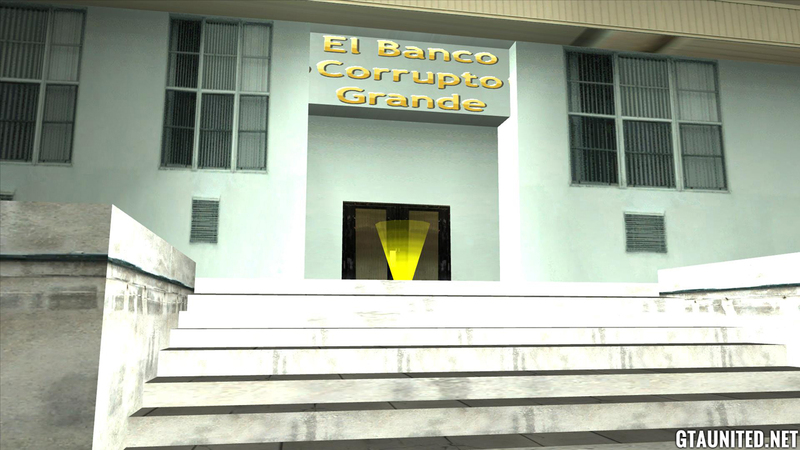 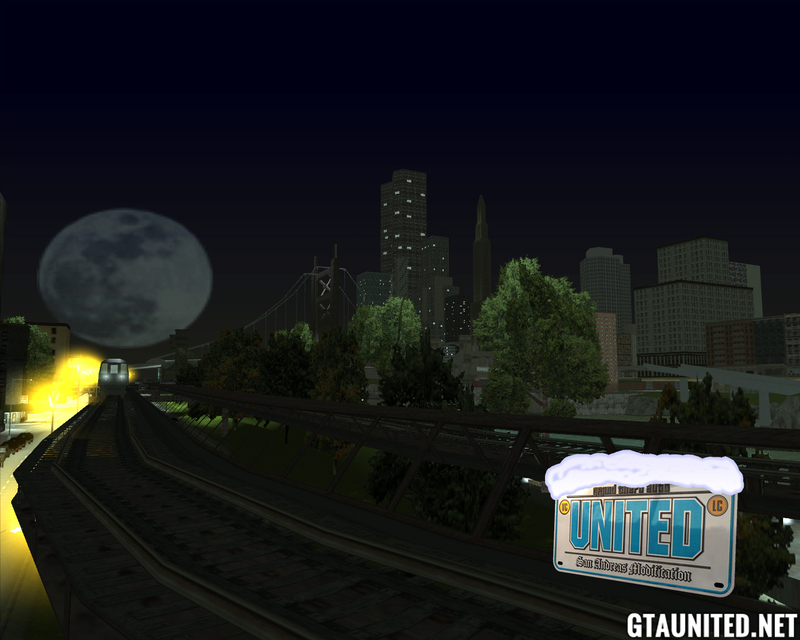 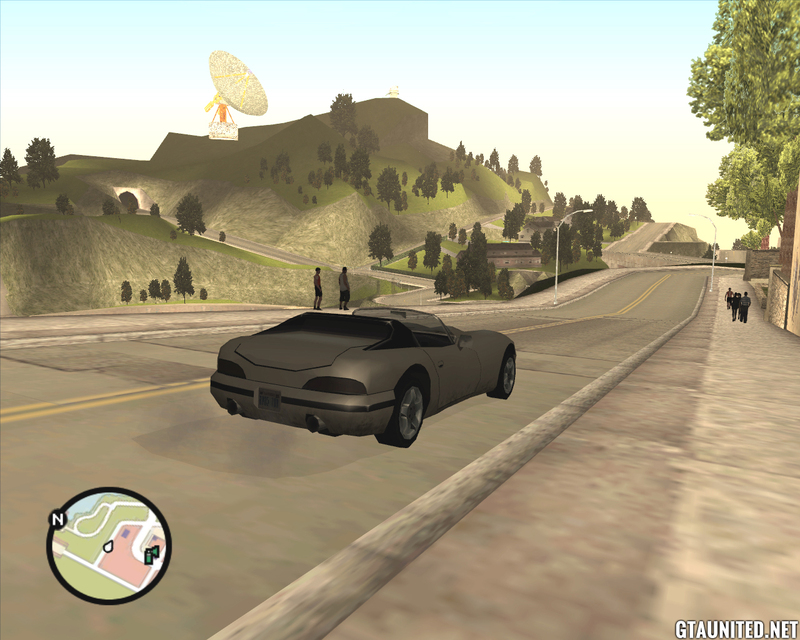 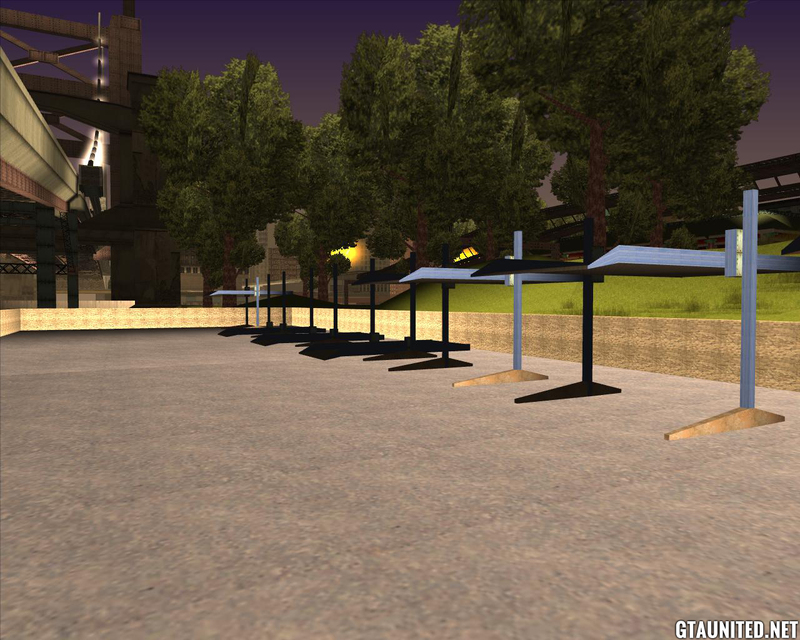 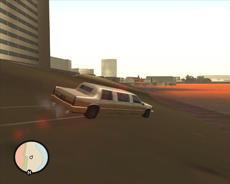 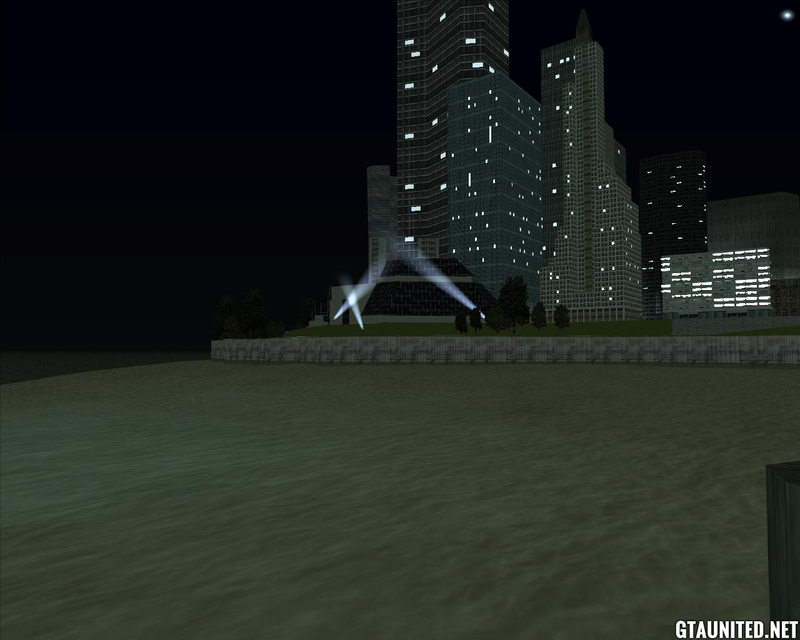 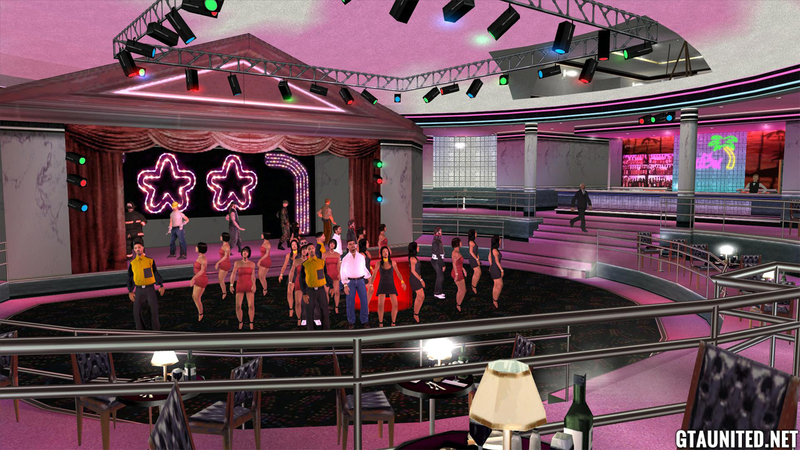 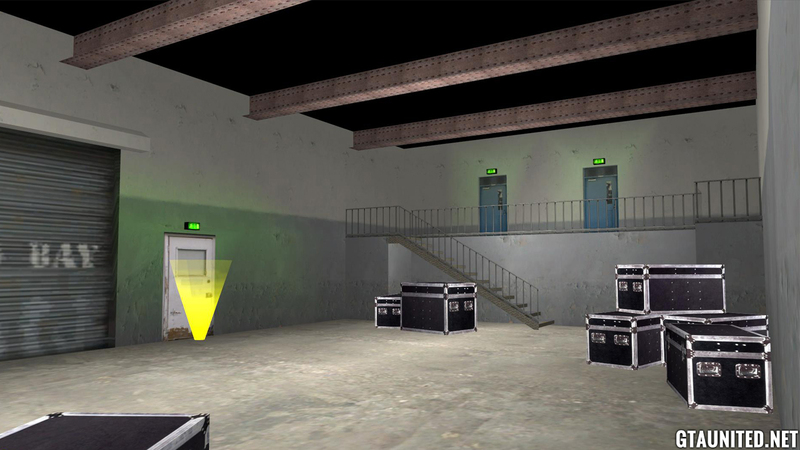 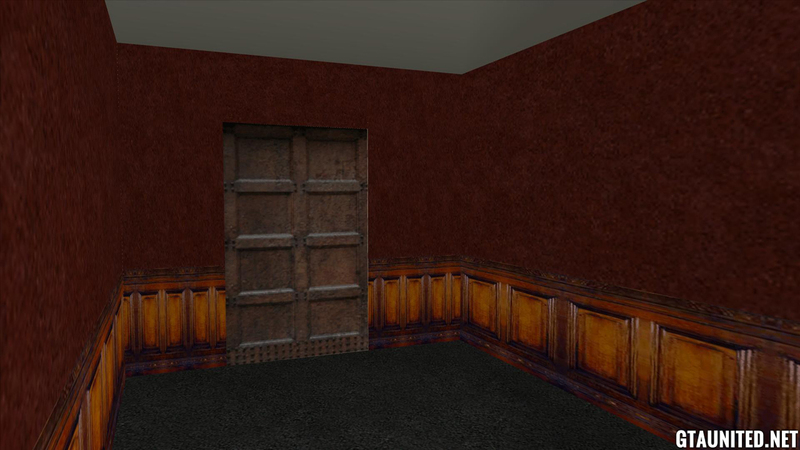 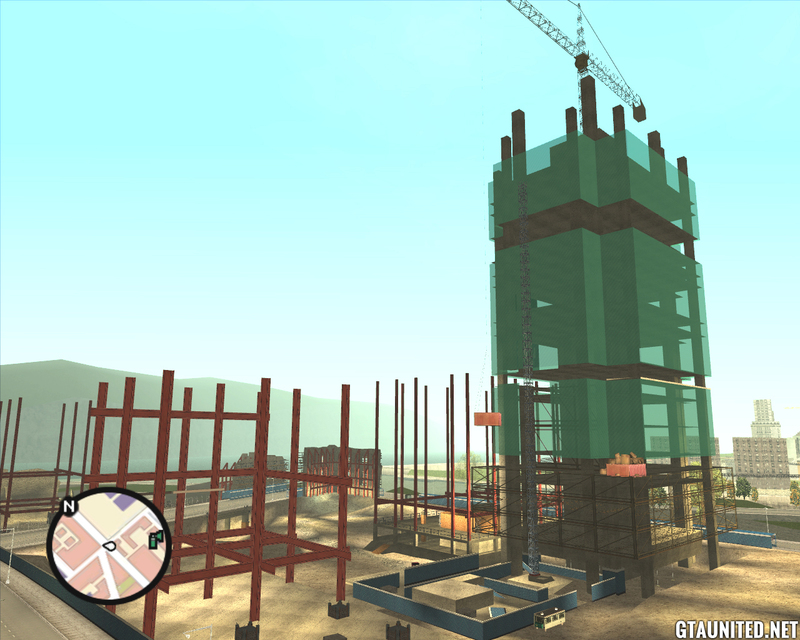 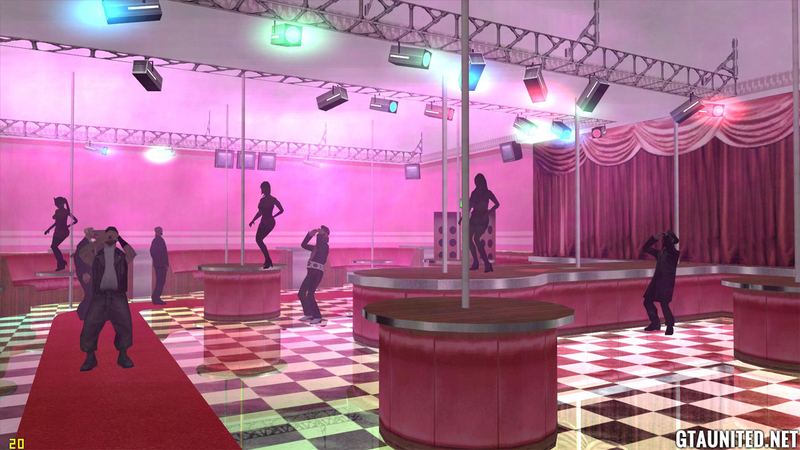 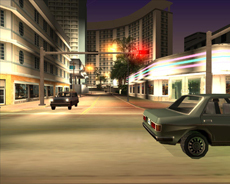 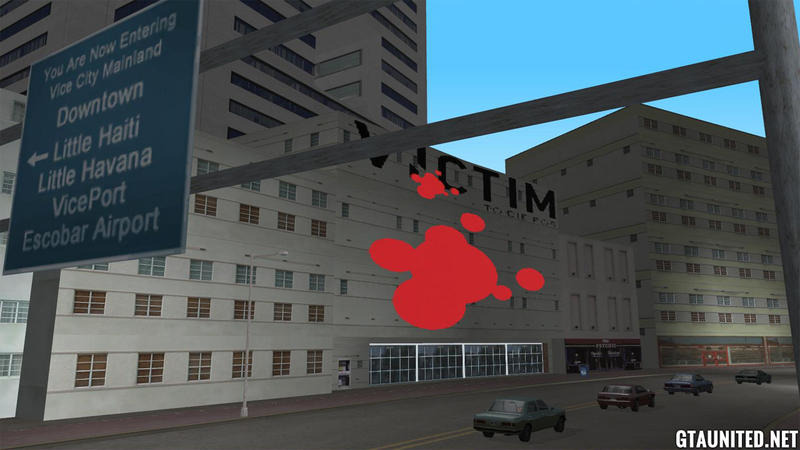 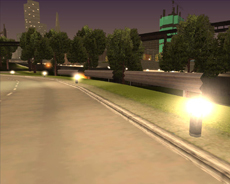 In GTAIII and GTA Vice City existed several accessible interiors, we converted all of them to GTA United. 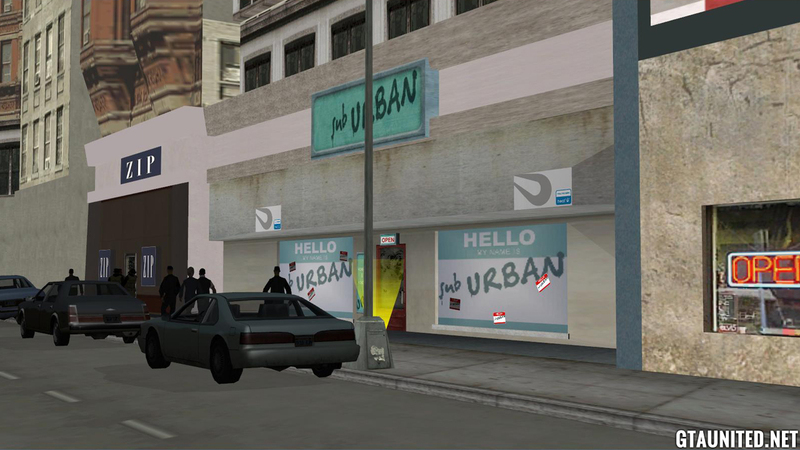 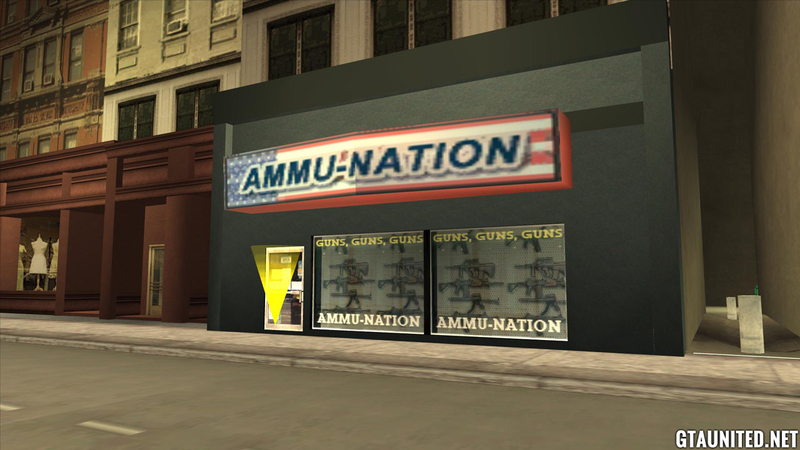 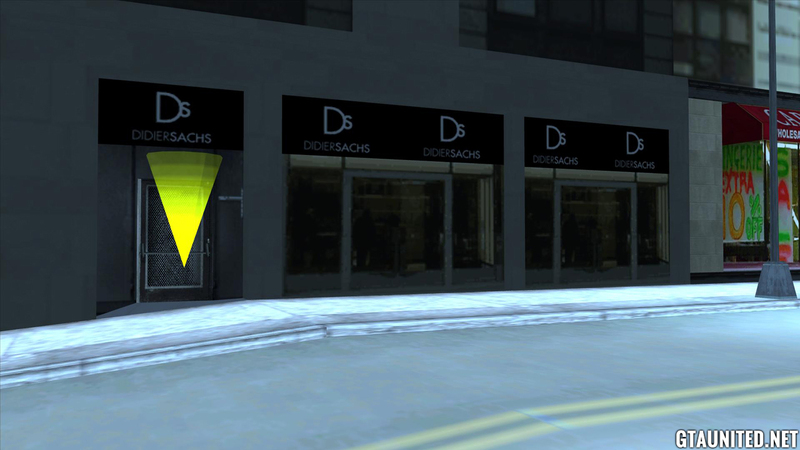 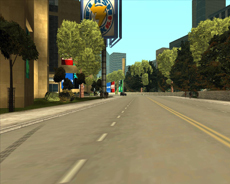 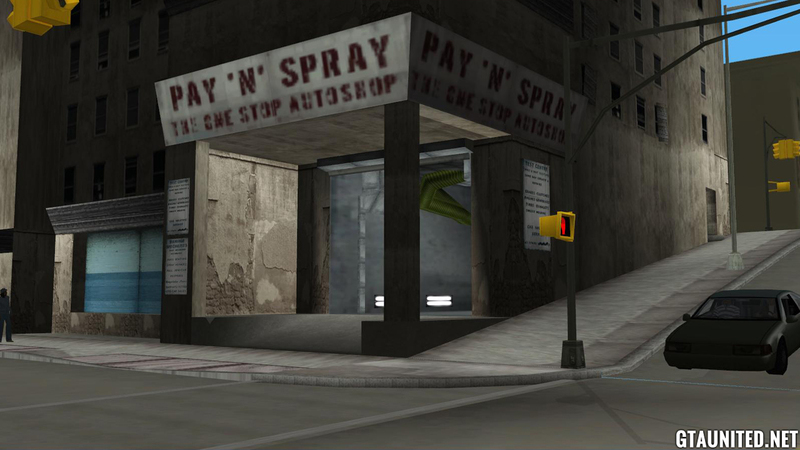 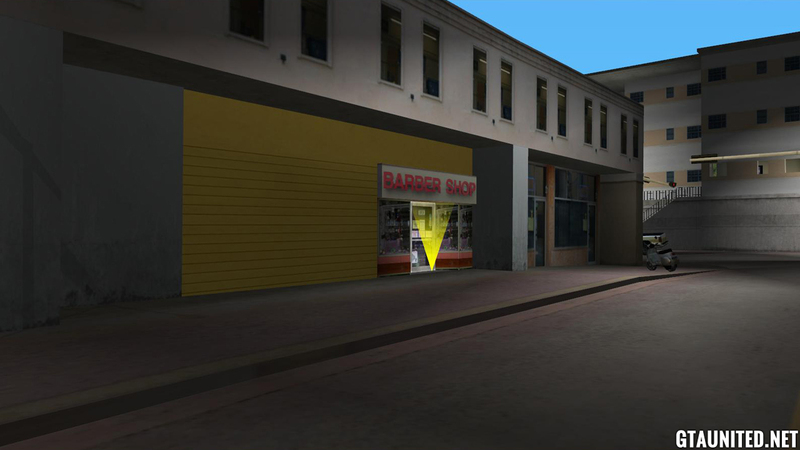 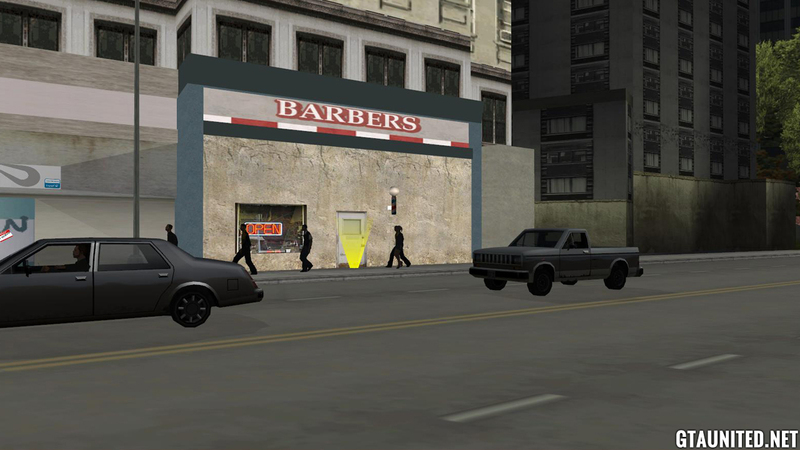 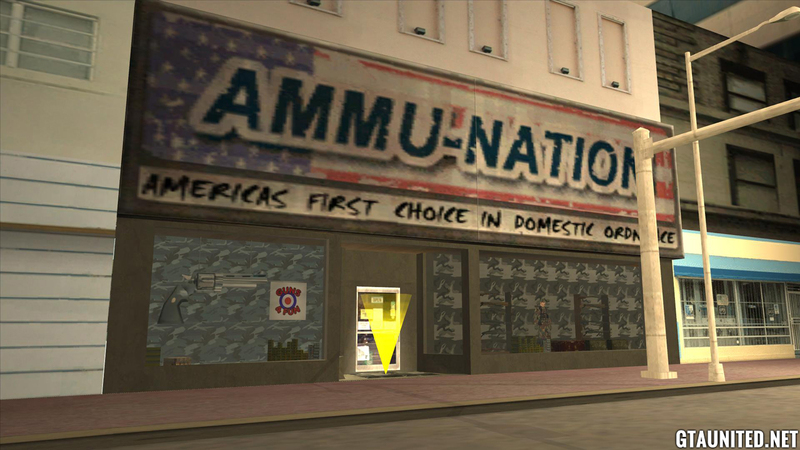 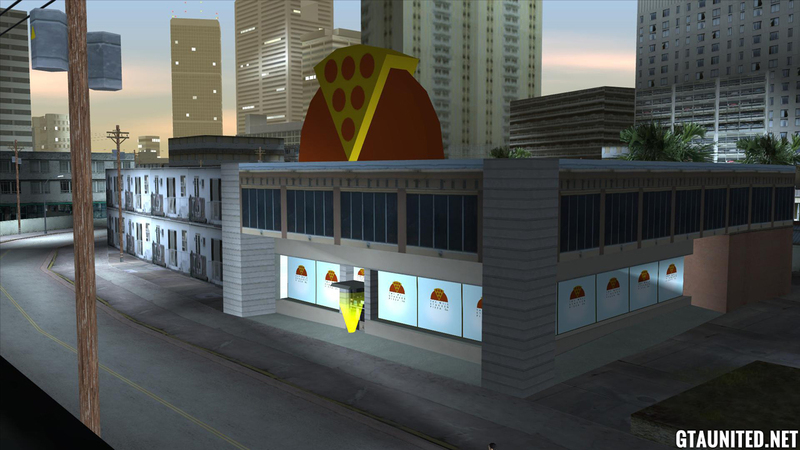 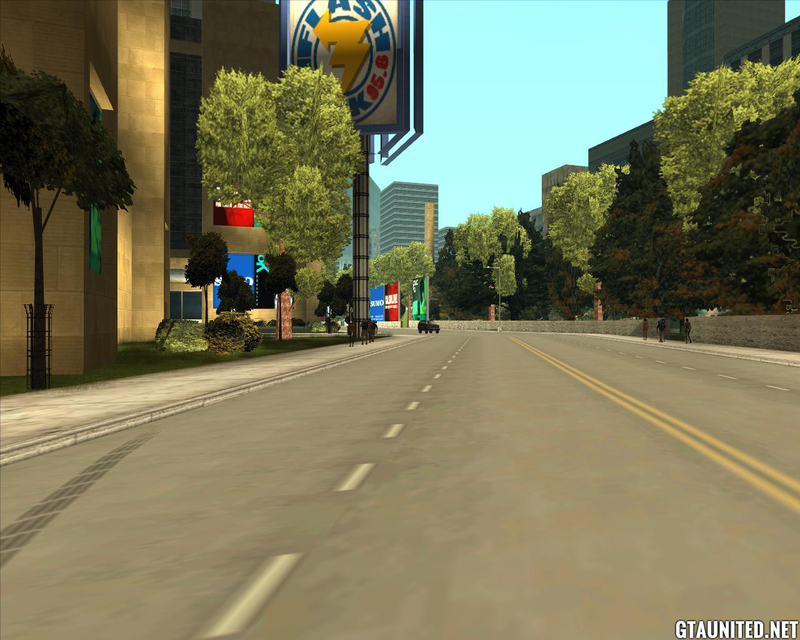 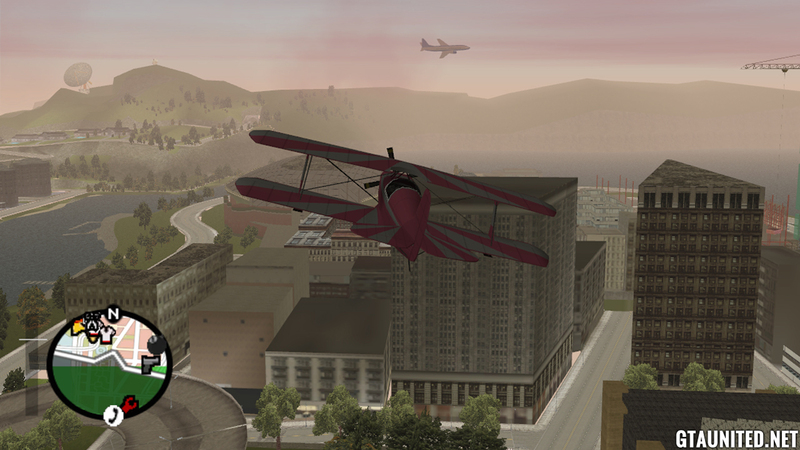 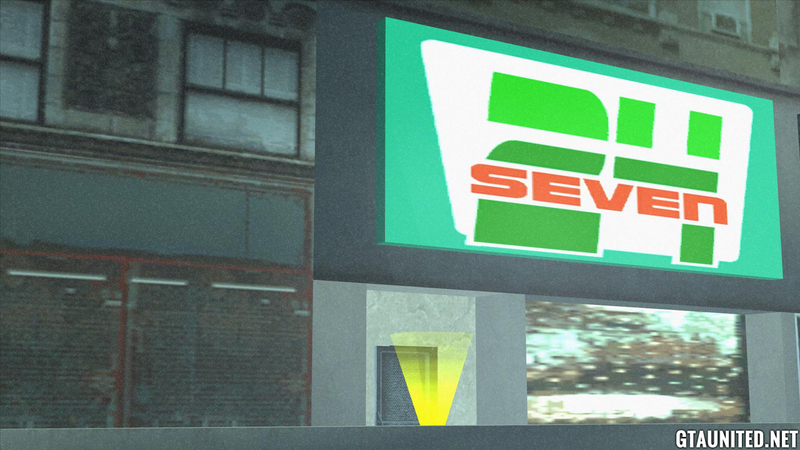 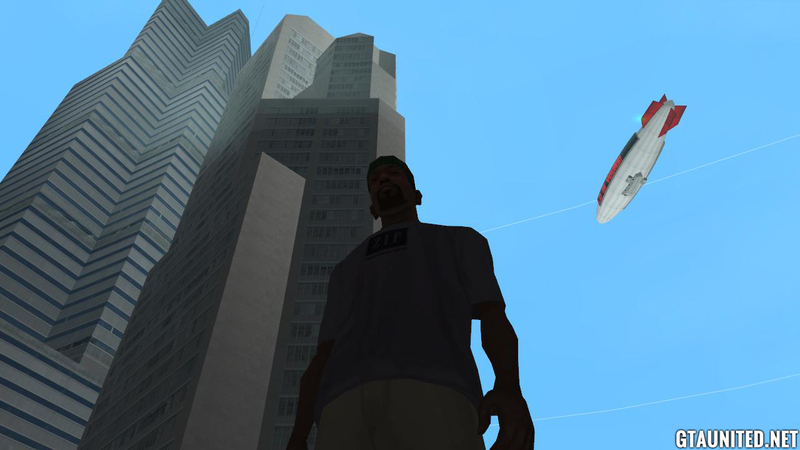 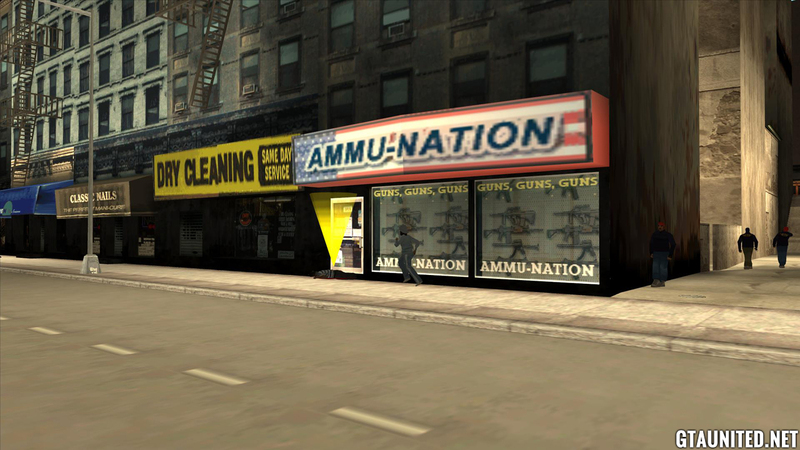 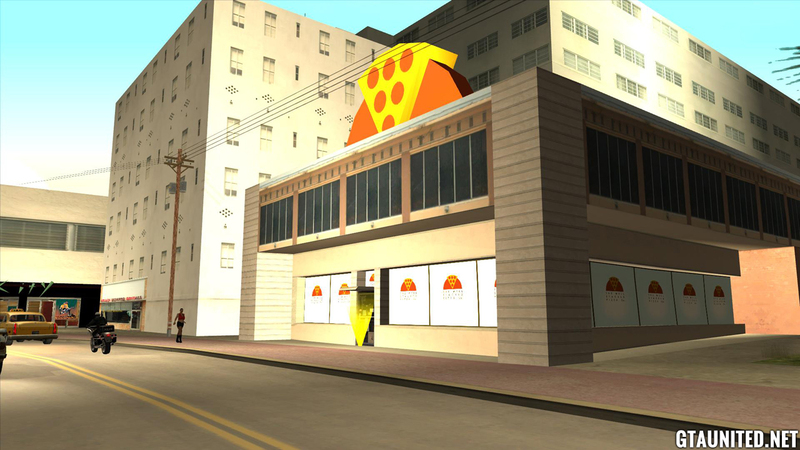 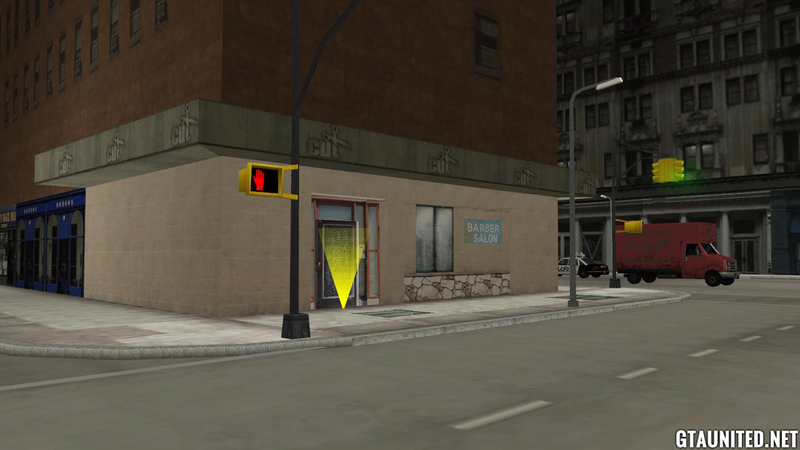 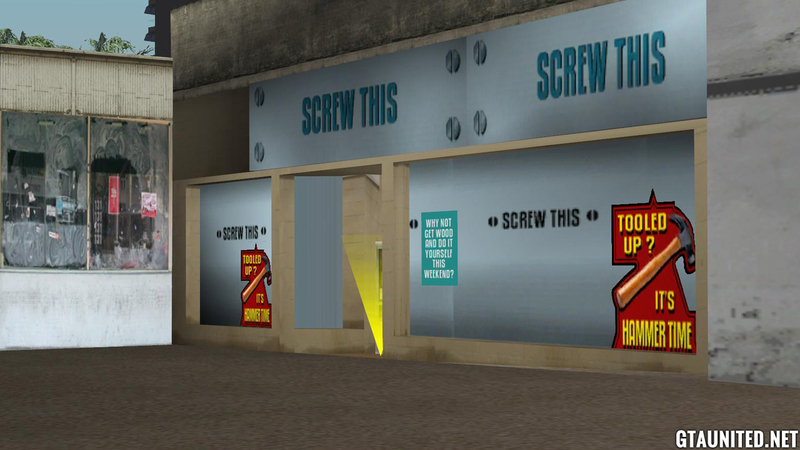 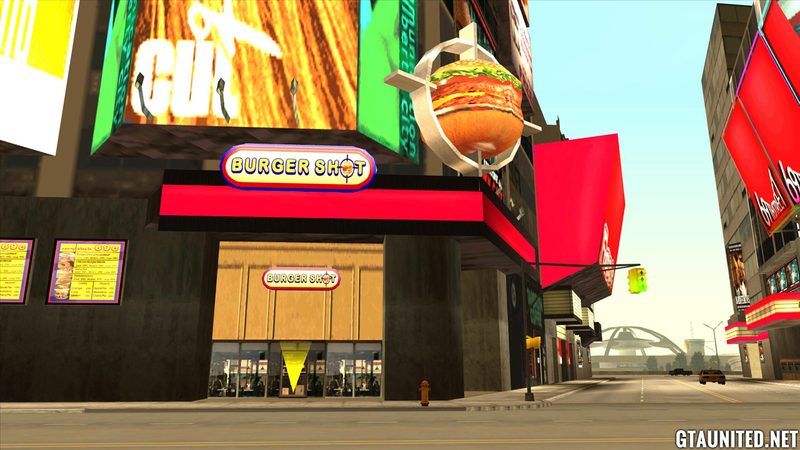 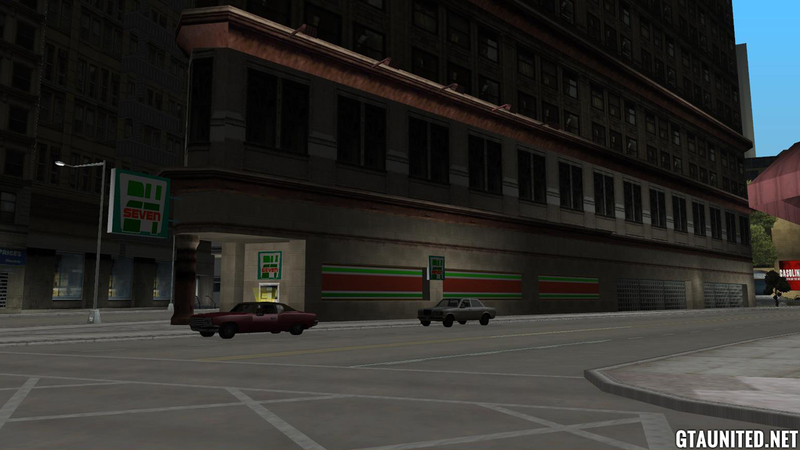 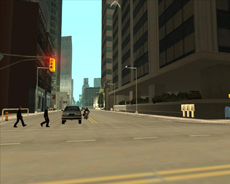 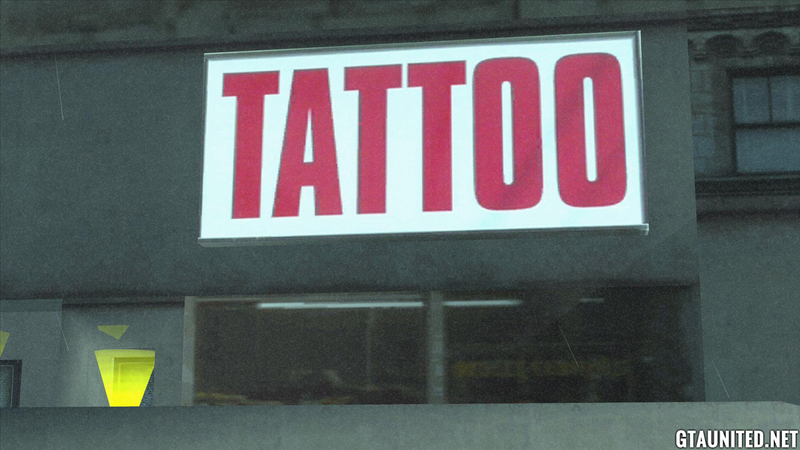 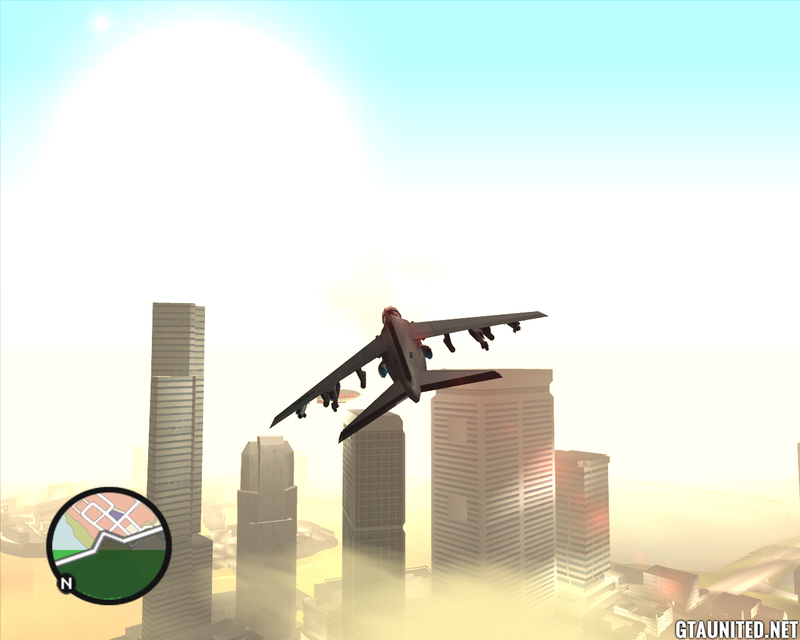 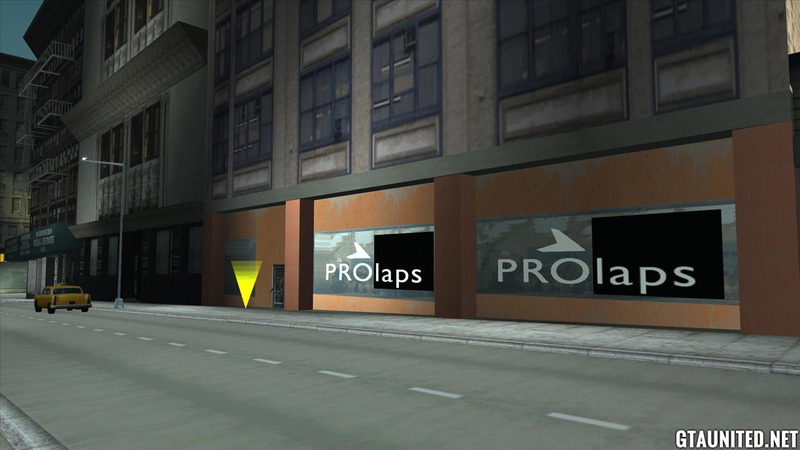 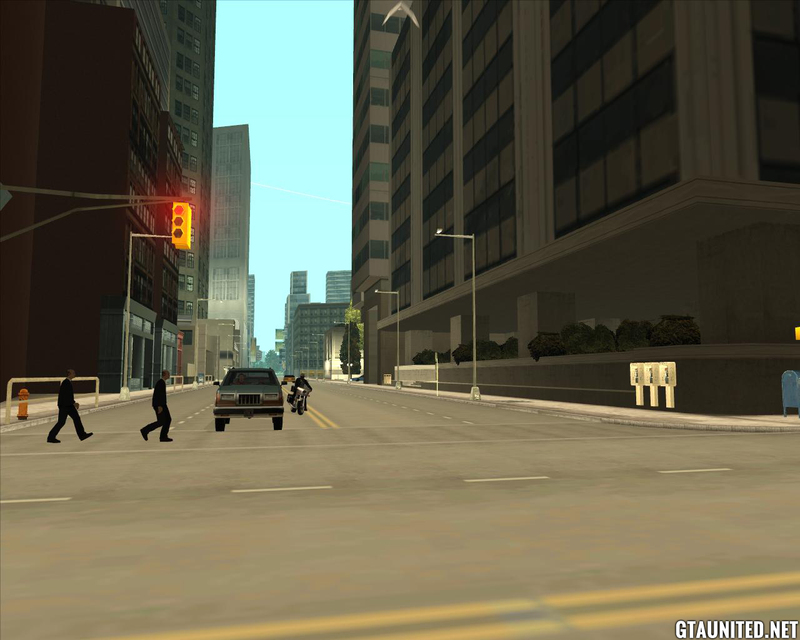 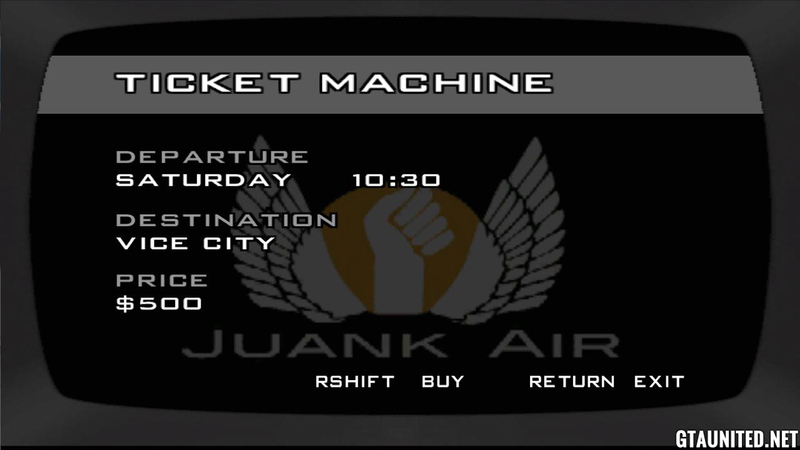 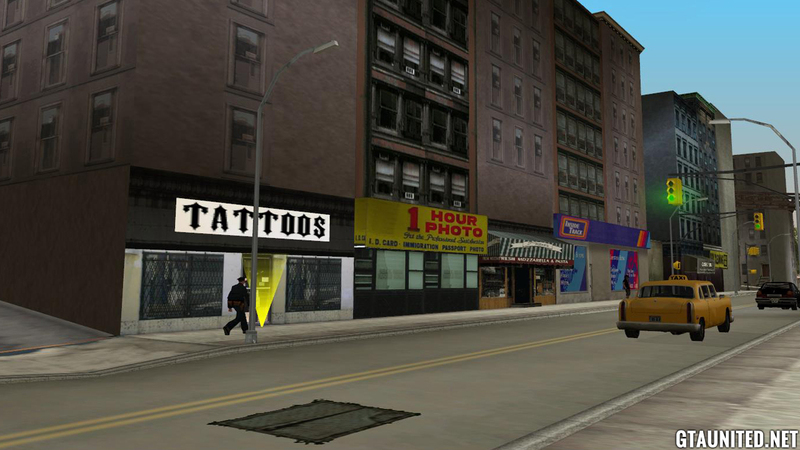 The cities in GTA United include a lot of new shops that we already know from San Andreas. 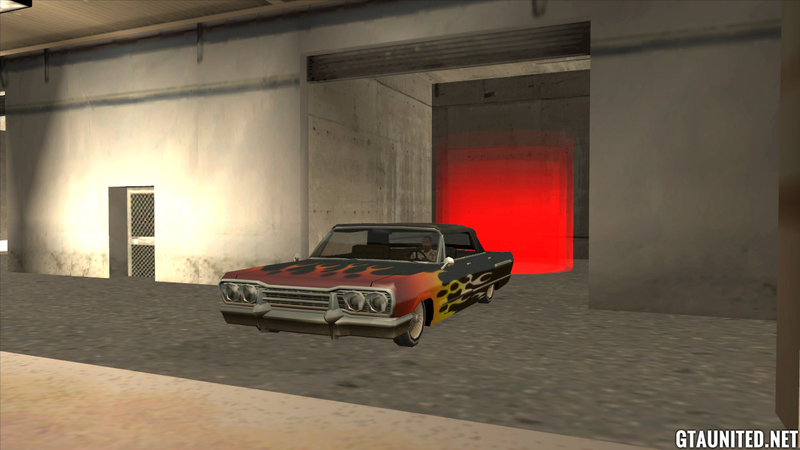 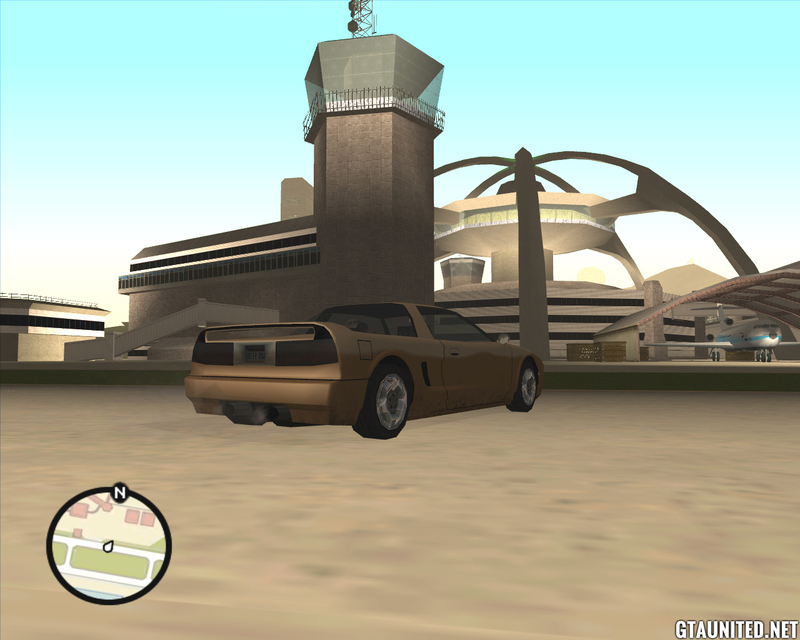 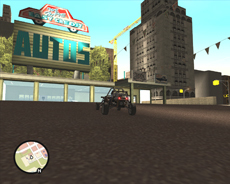 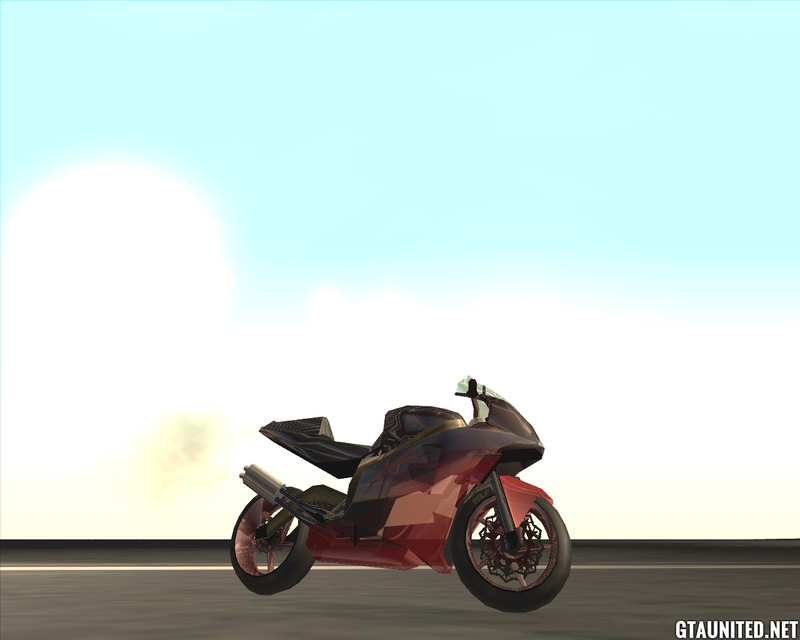 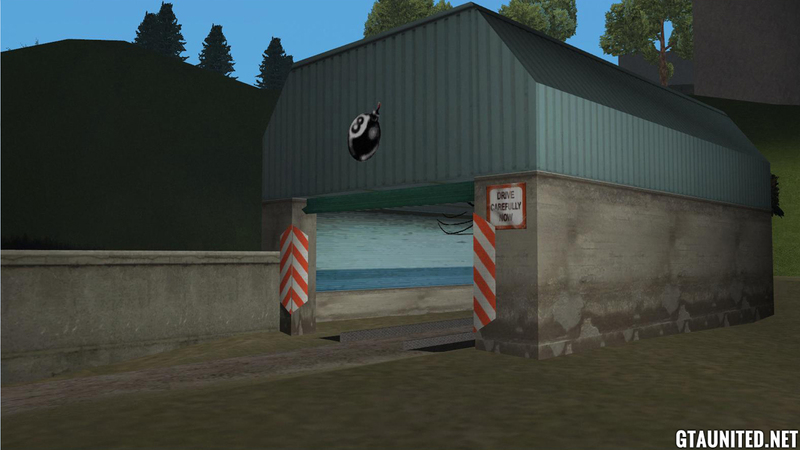 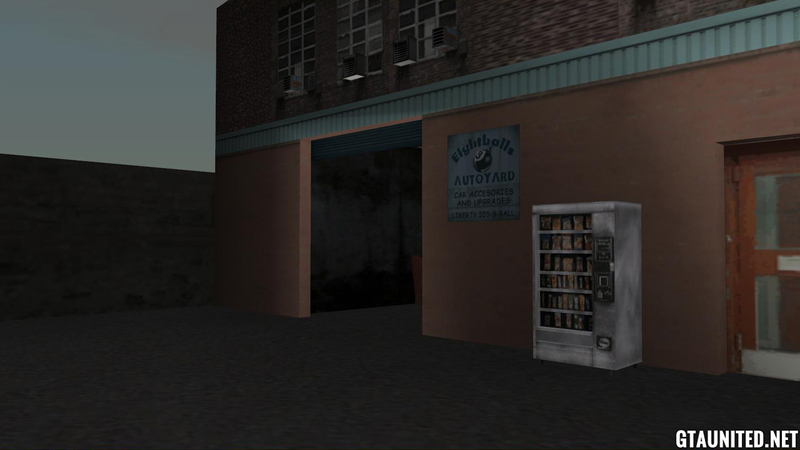 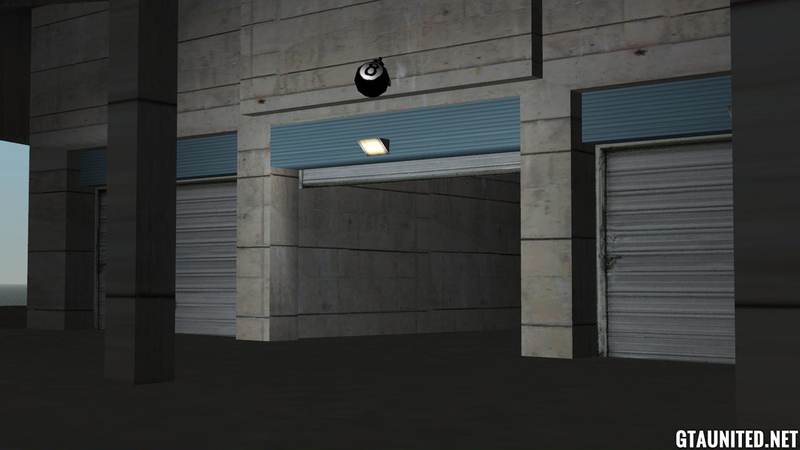 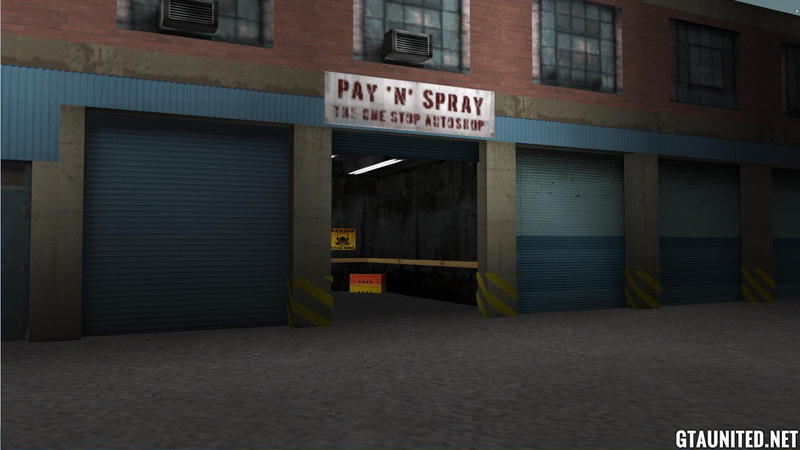 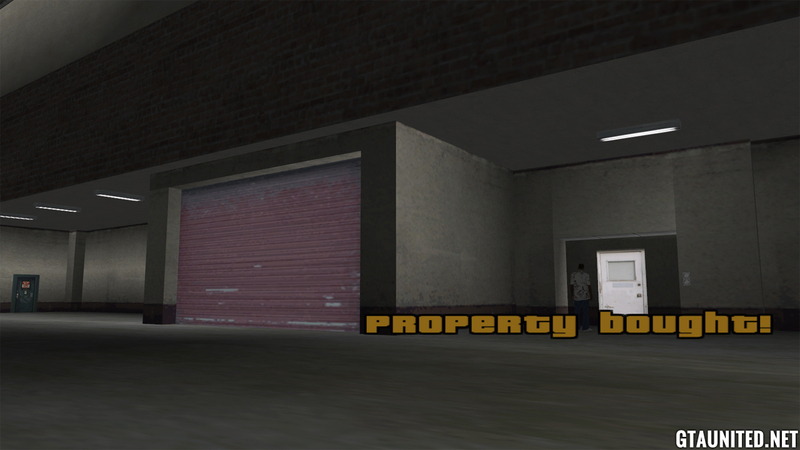 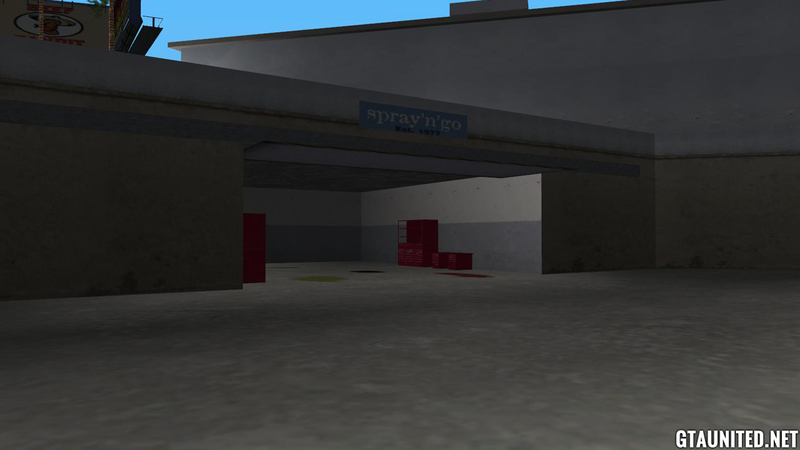 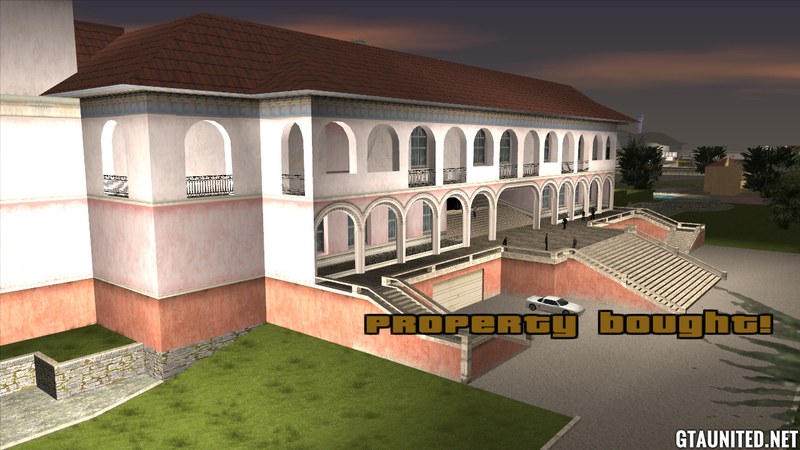 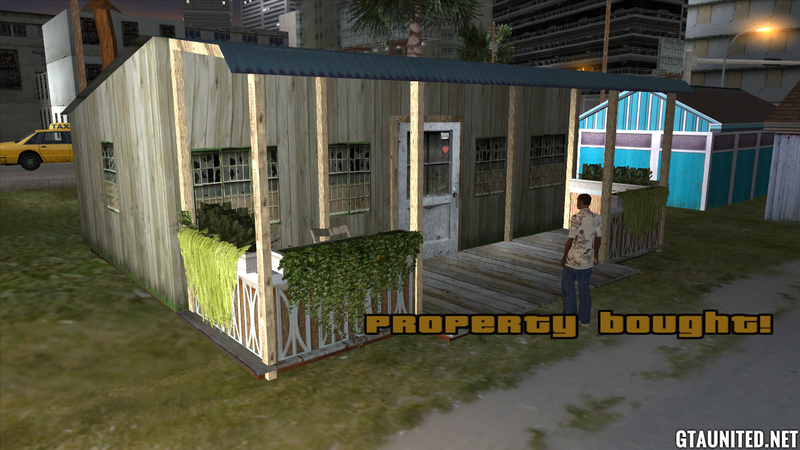 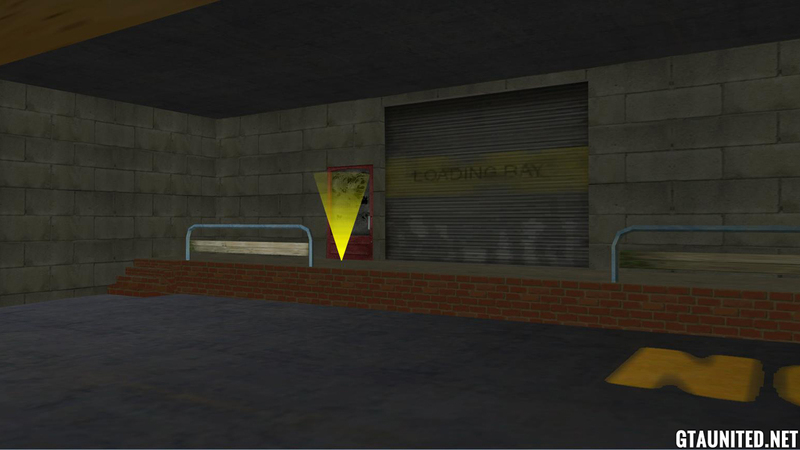 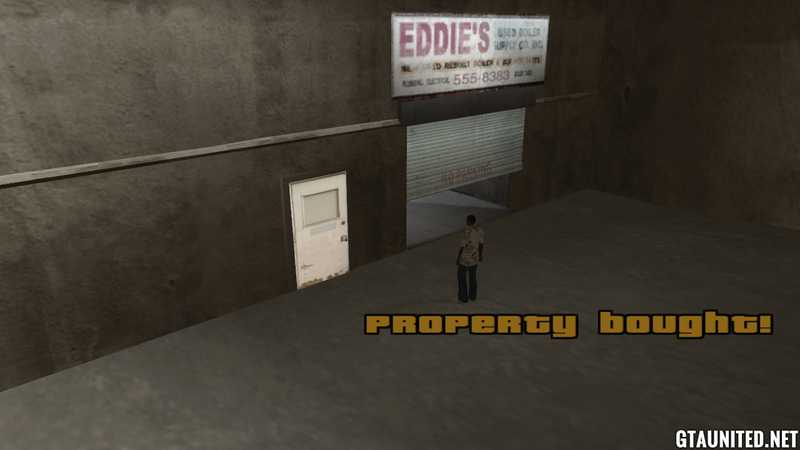 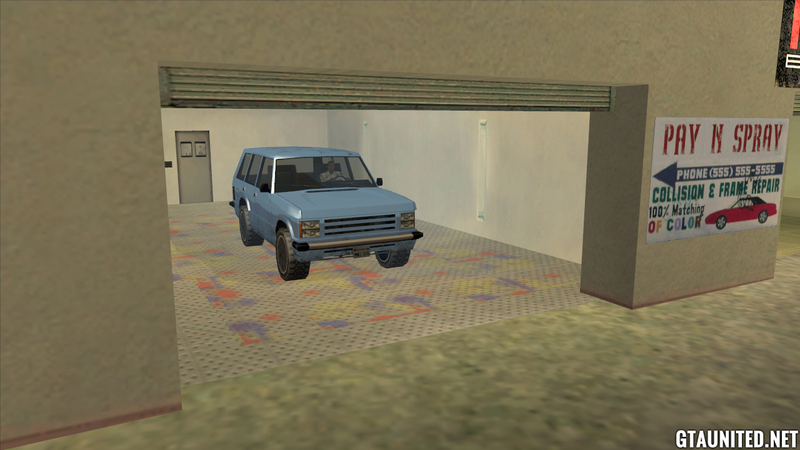 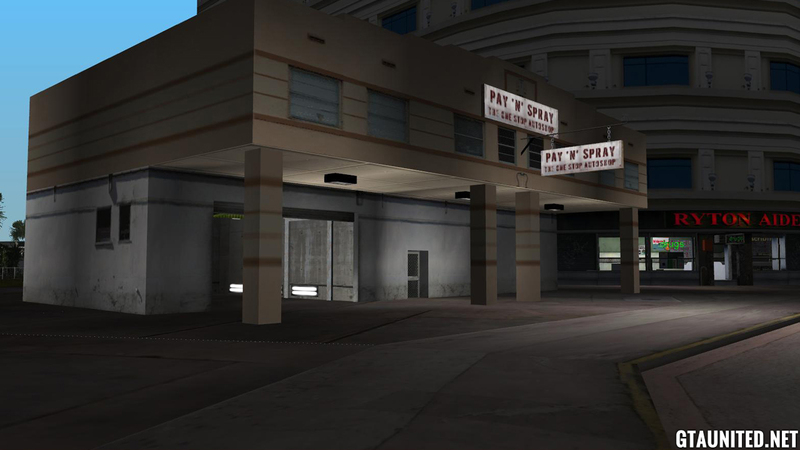 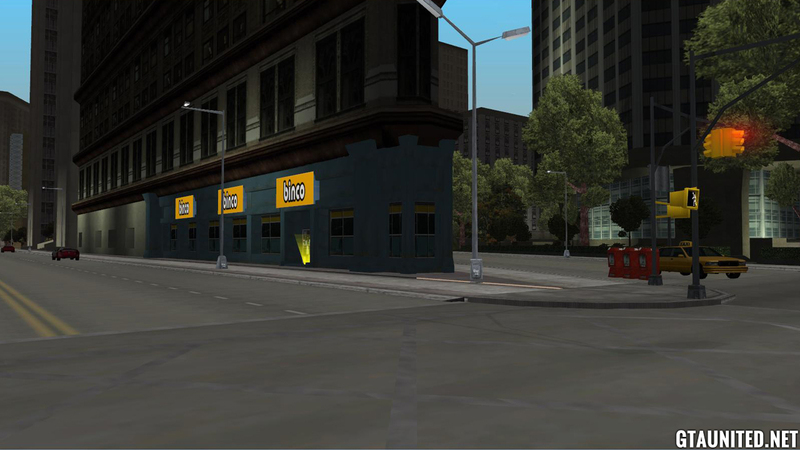 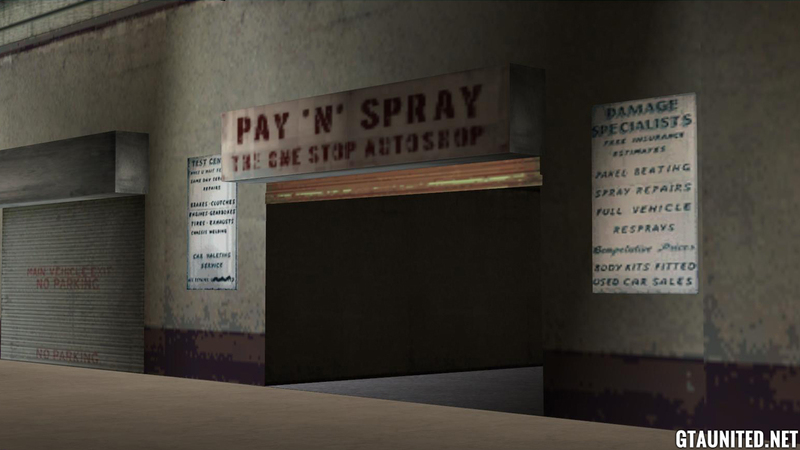 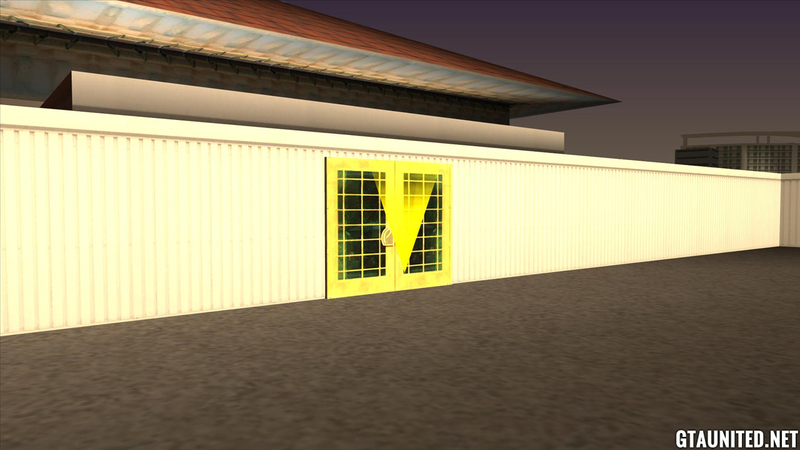 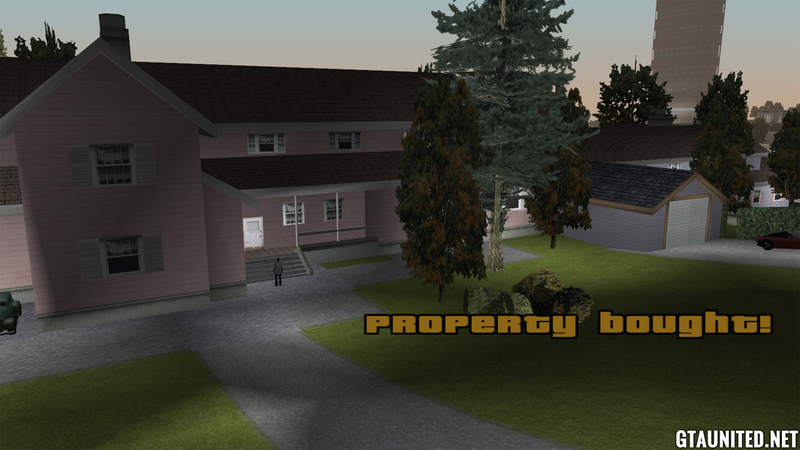 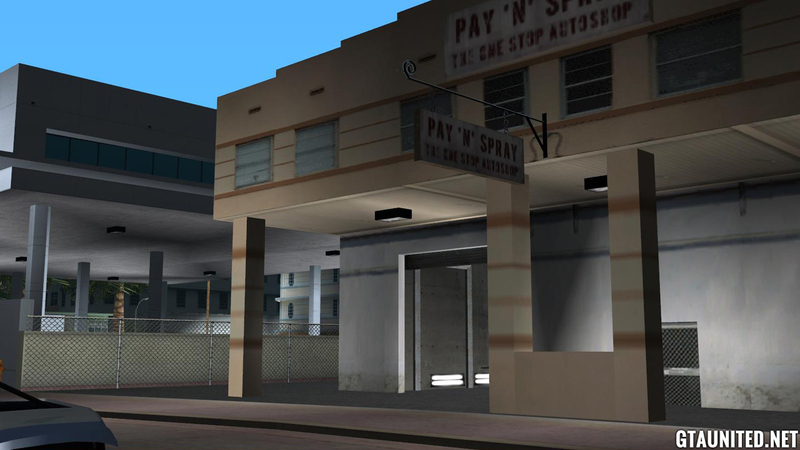 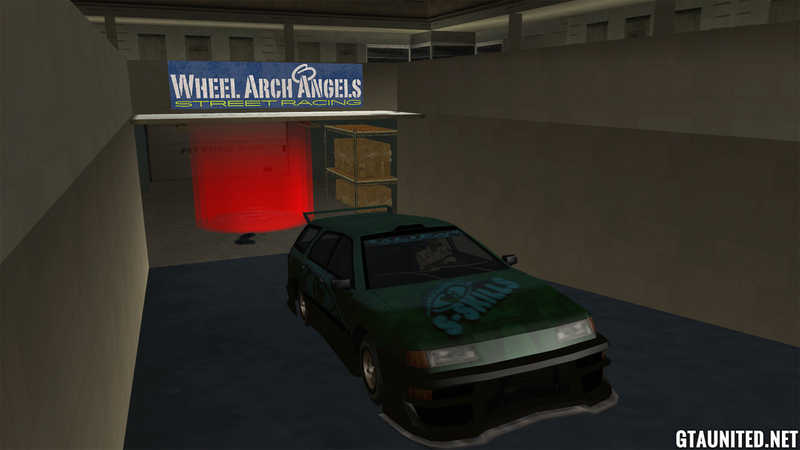 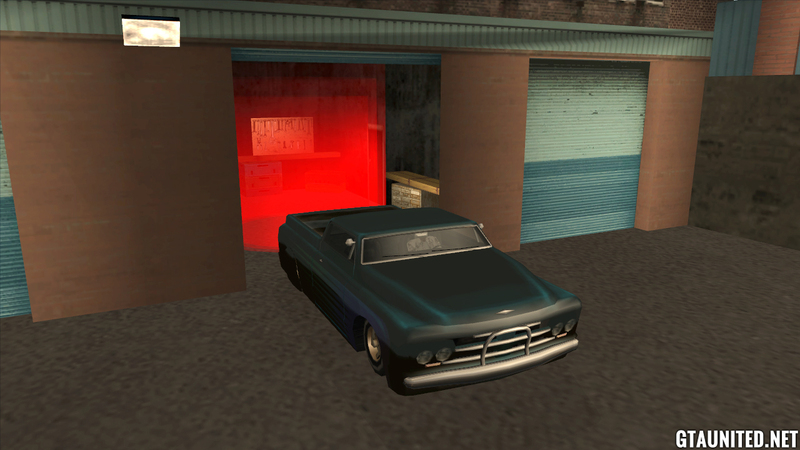 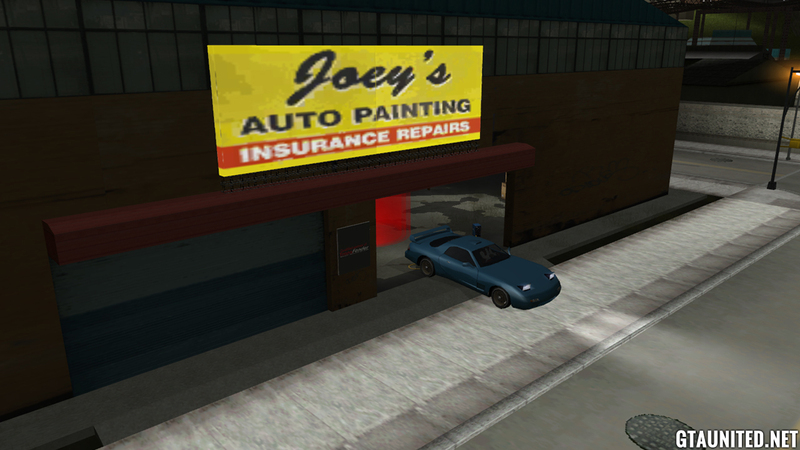 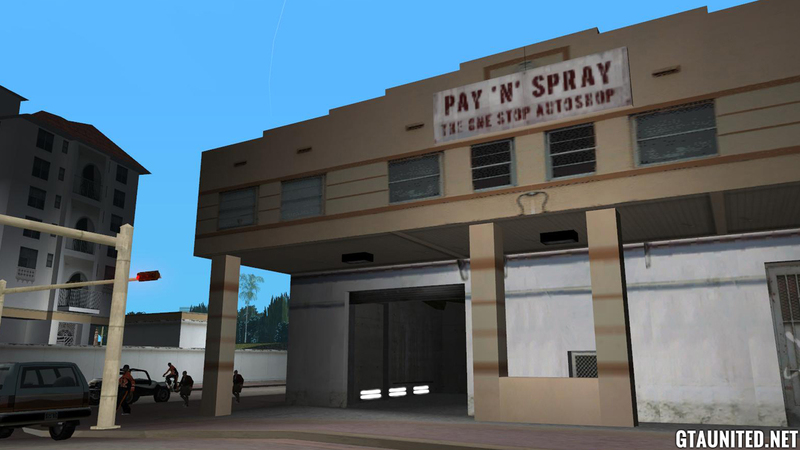 We added all the original garages from GTA III and GTA Vice City to GTA United and created also some new ones. 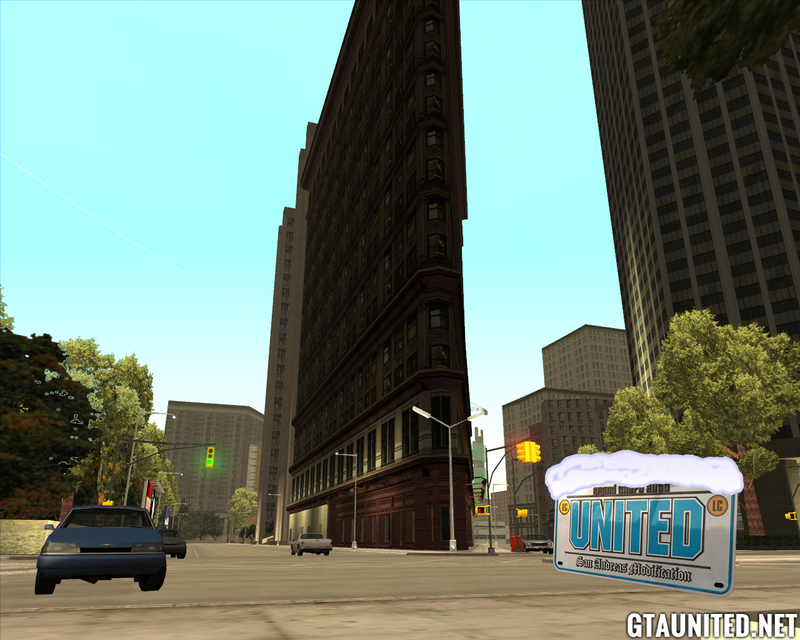 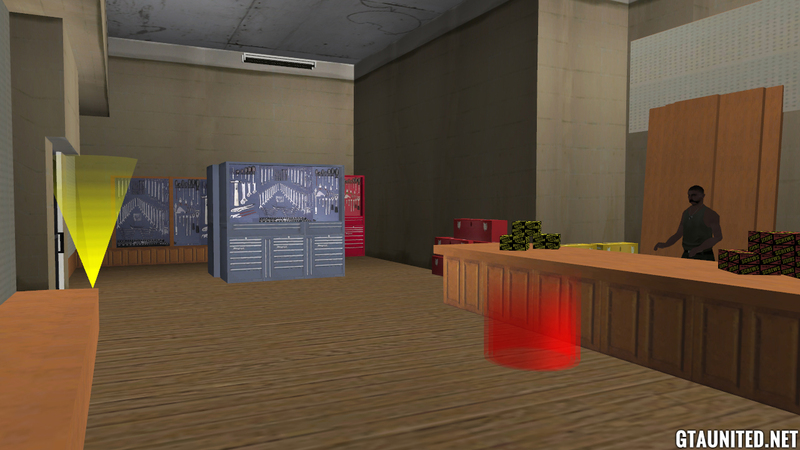 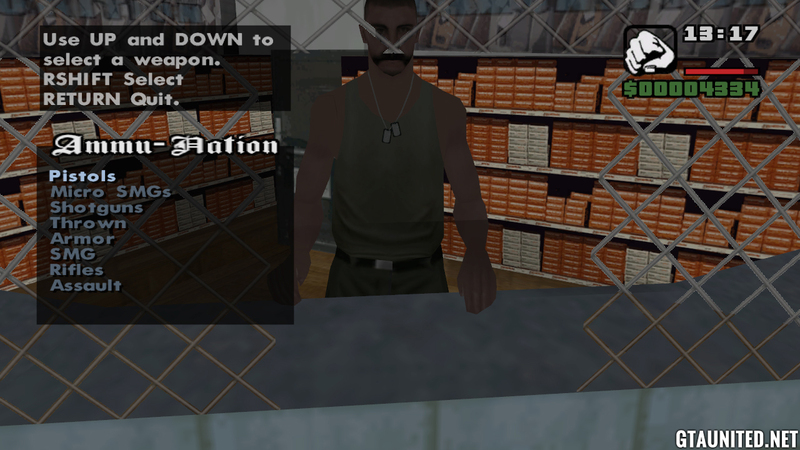 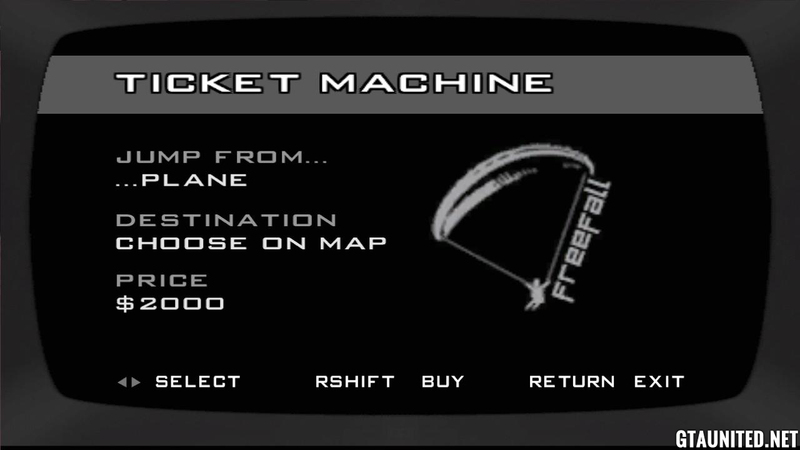 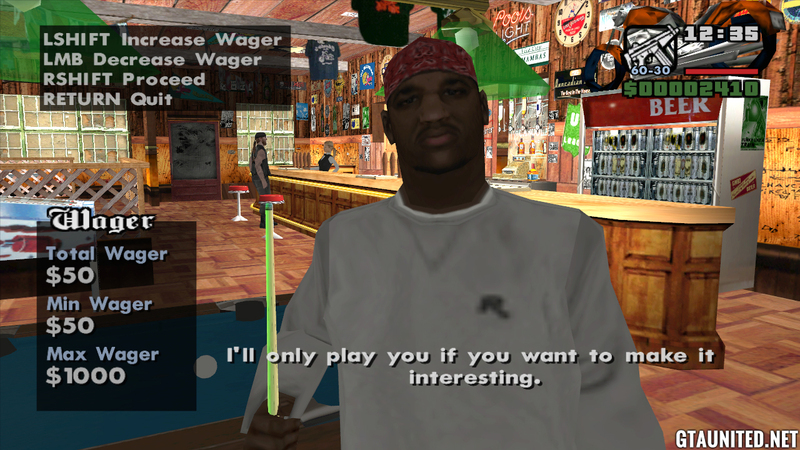 In this section you can see an excerpt of the new script stuff in Grand Theft Auto United 1.2.